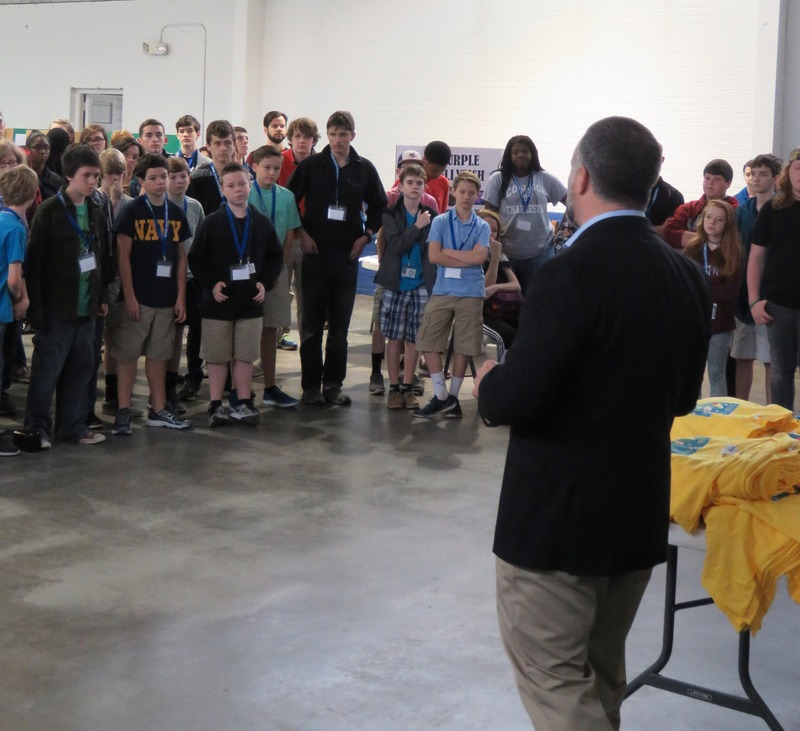 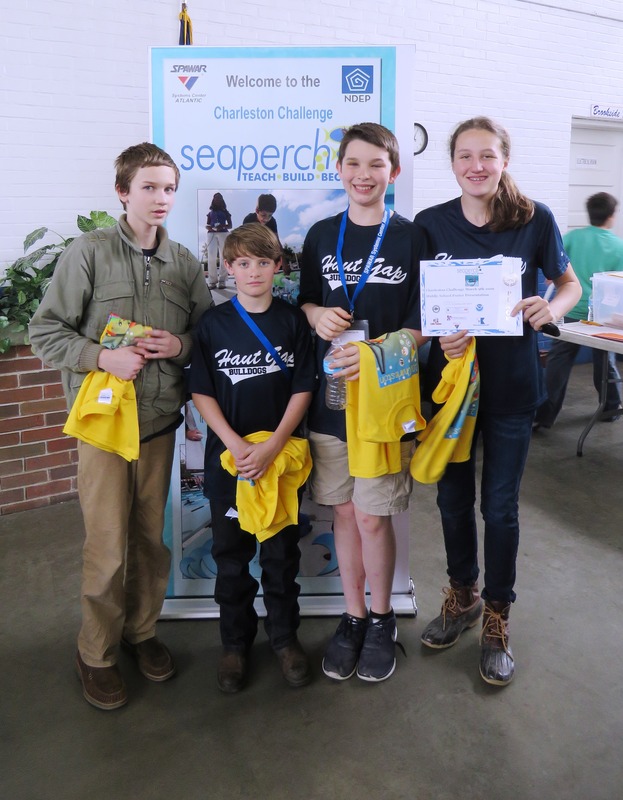 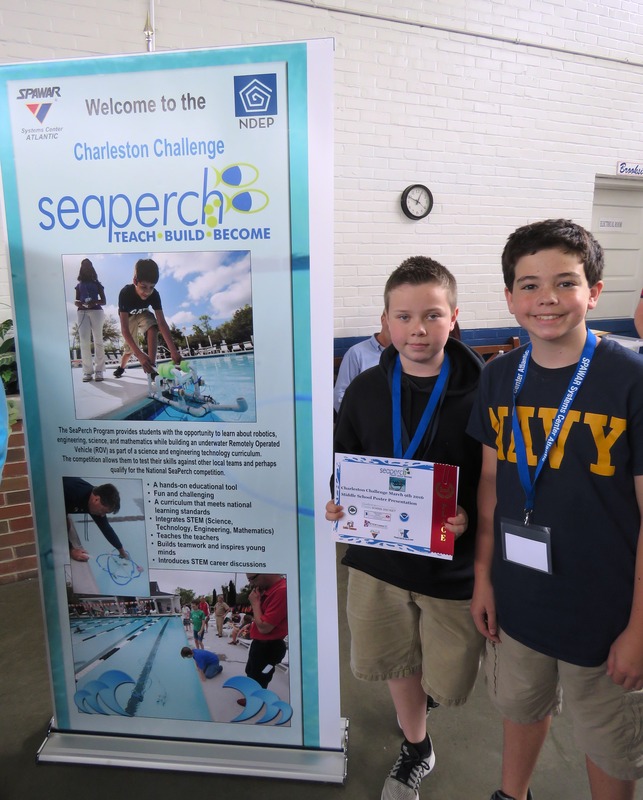 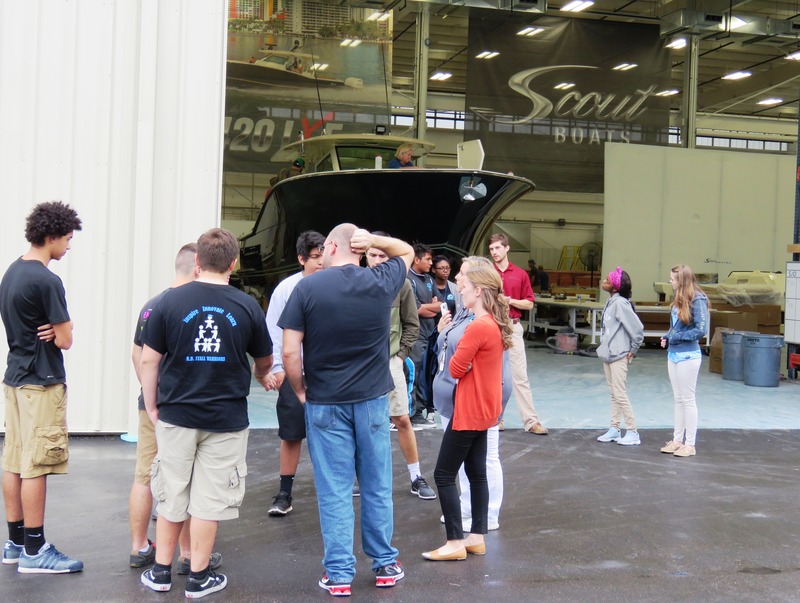 S cout Boats, a local boat manufacturer, invited students from R. B. 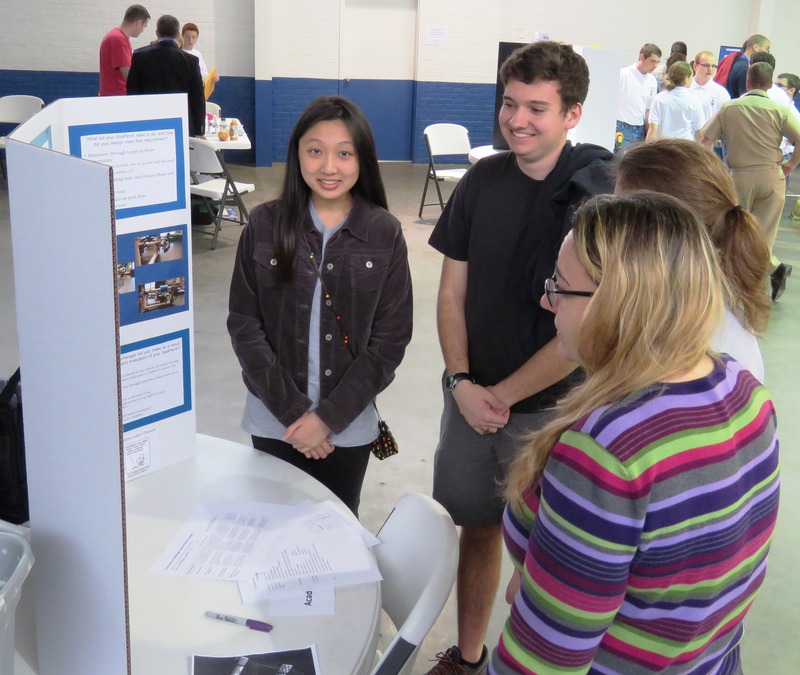 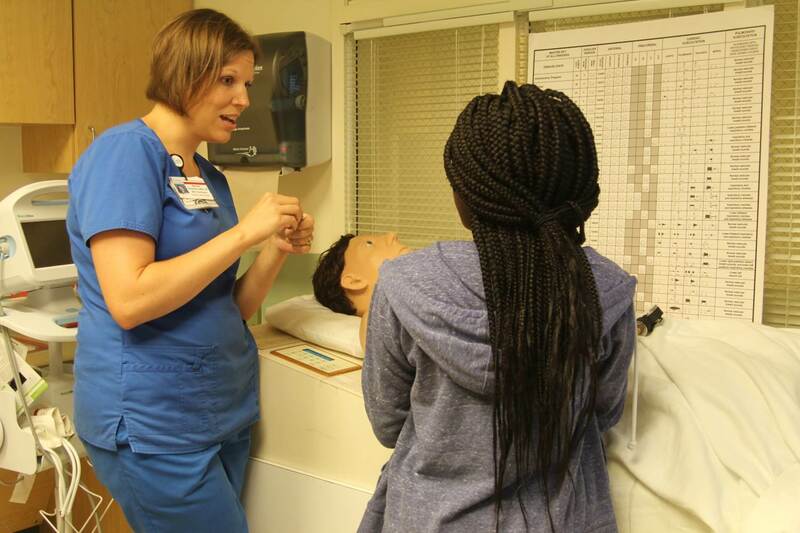 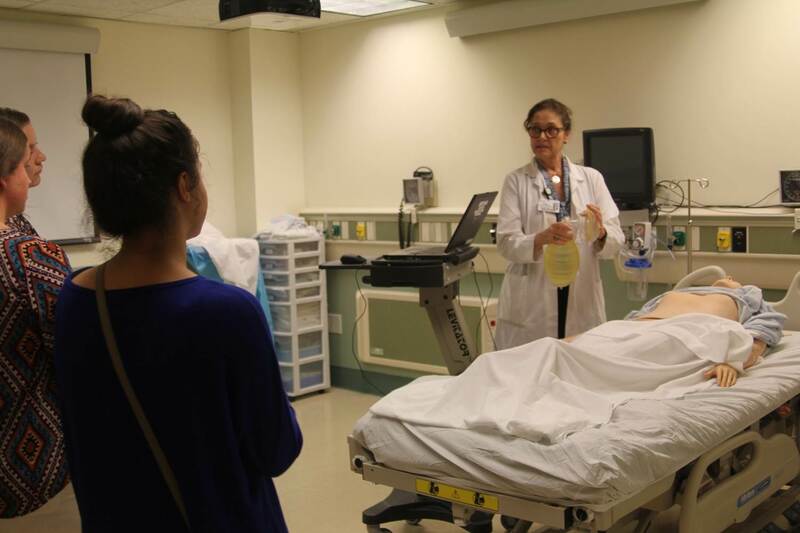 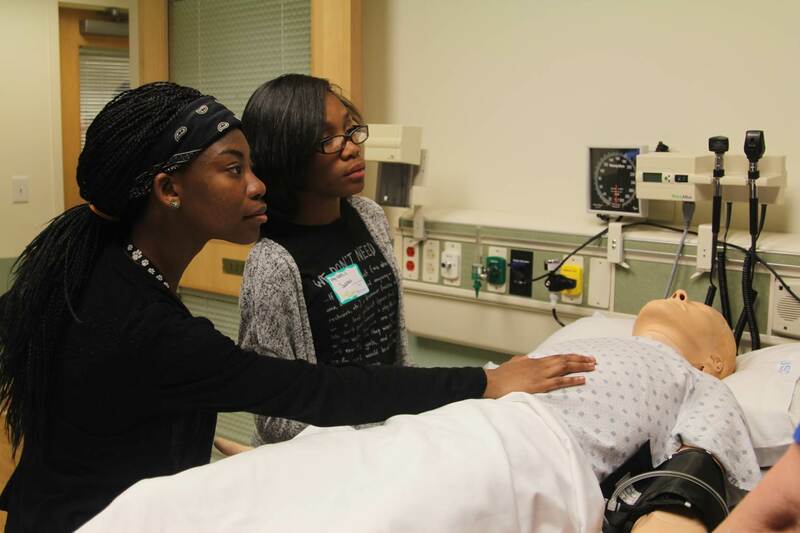 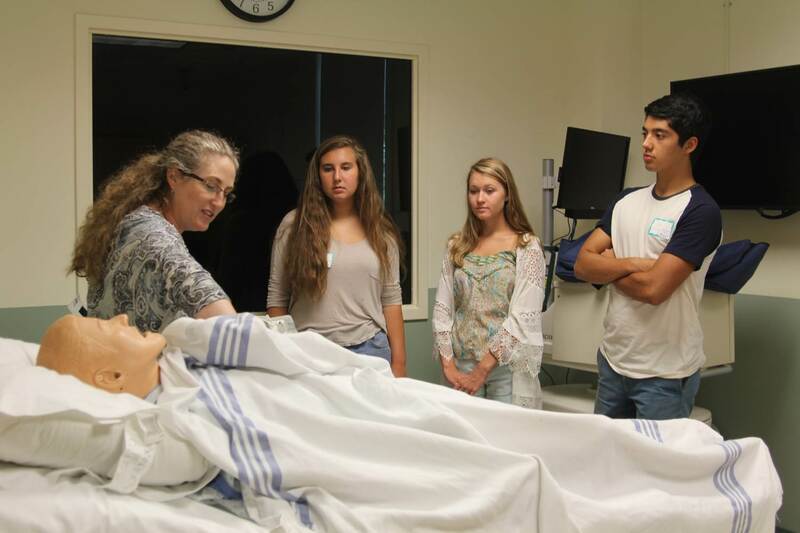 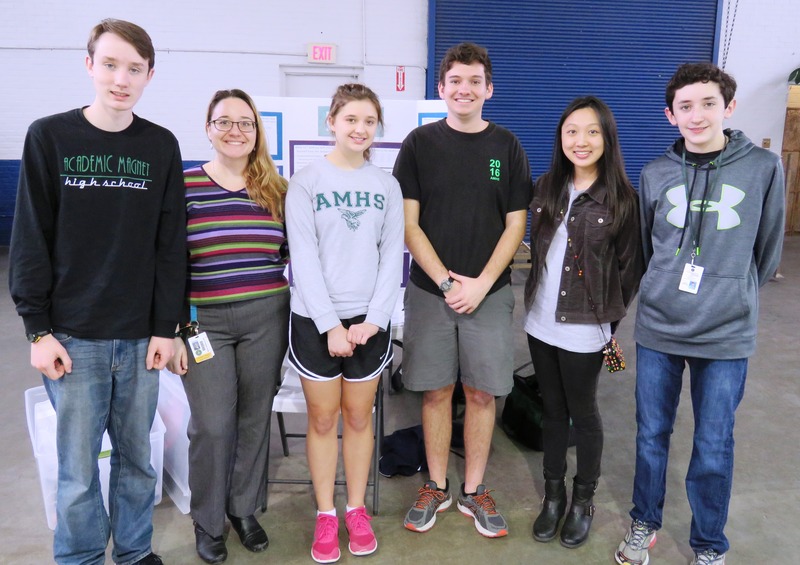 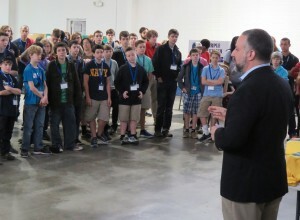 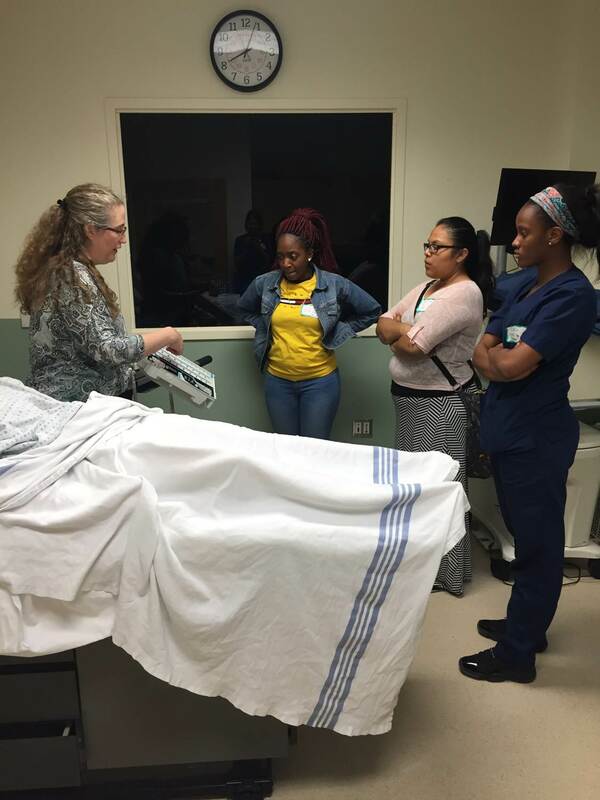 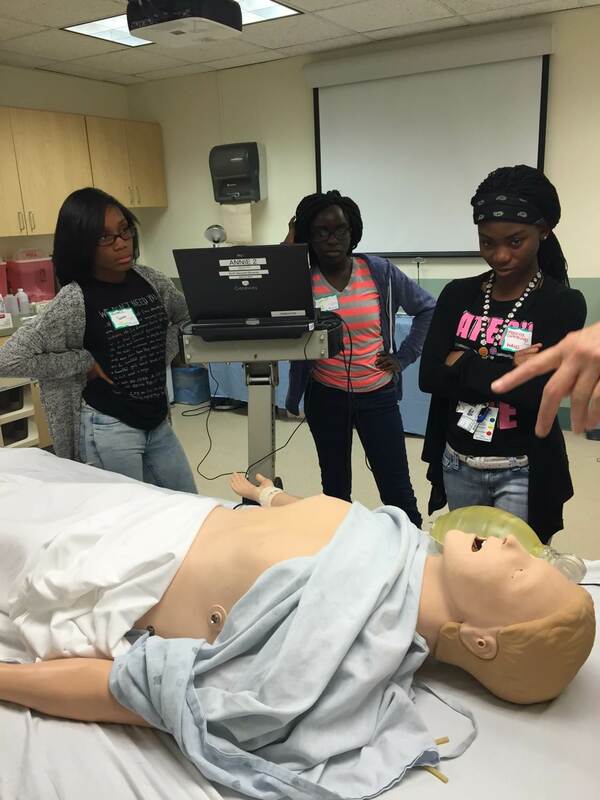 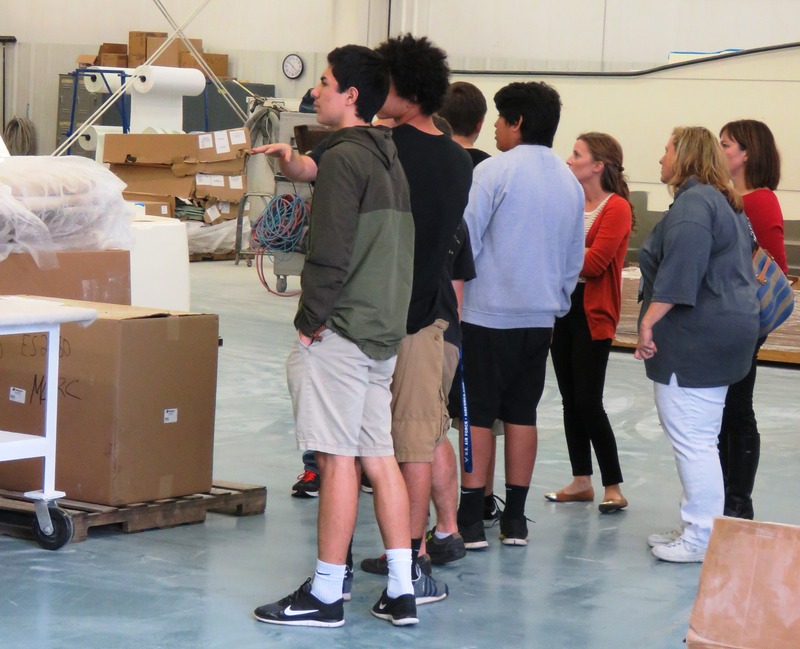 Stall High School to tour their facility and learn more about the operations. 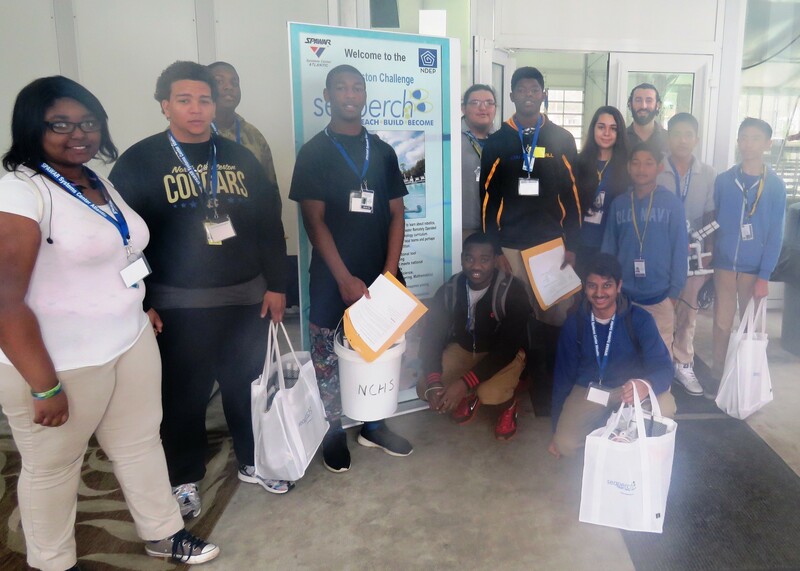 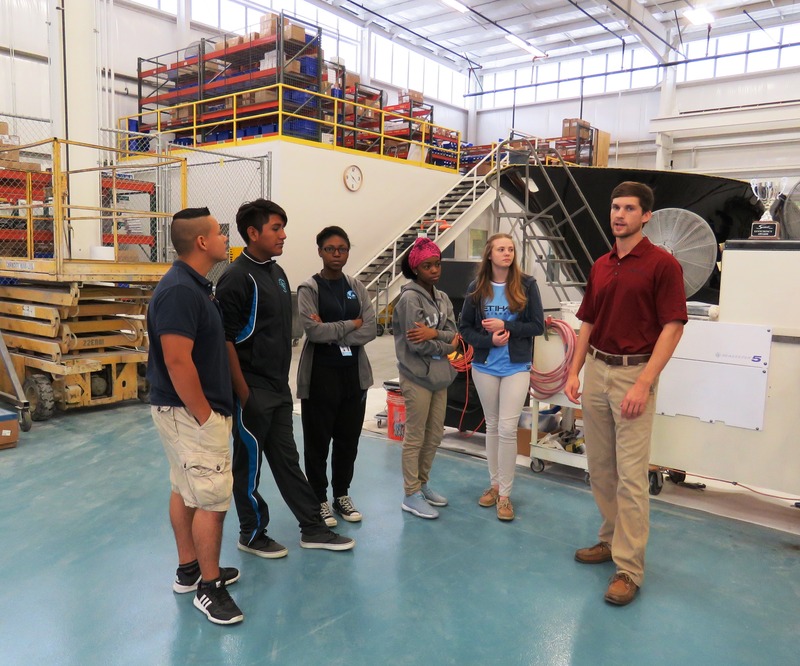 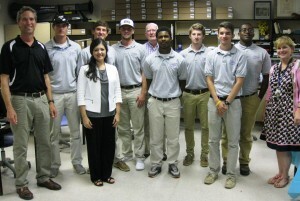 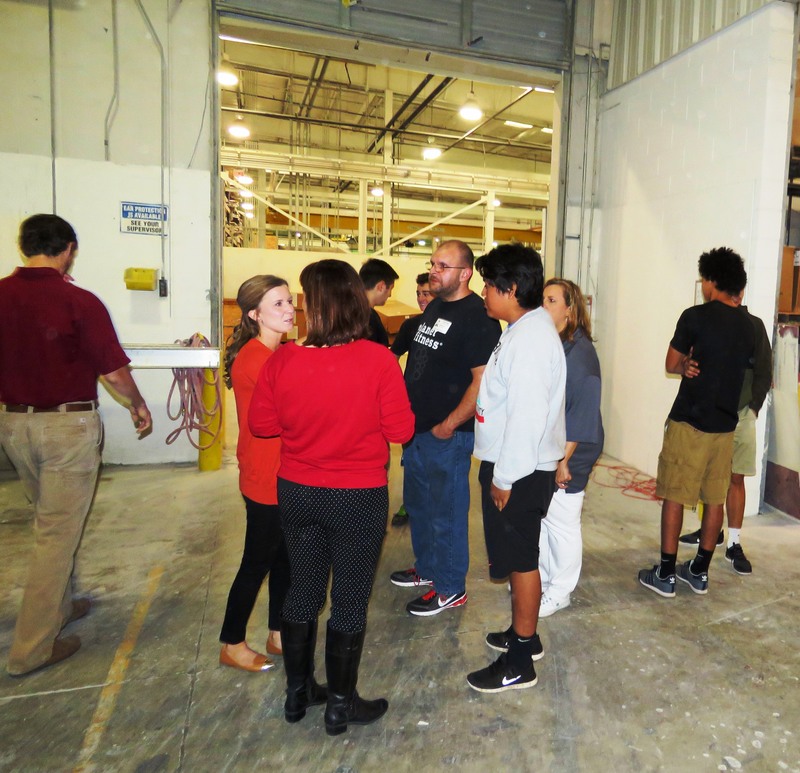 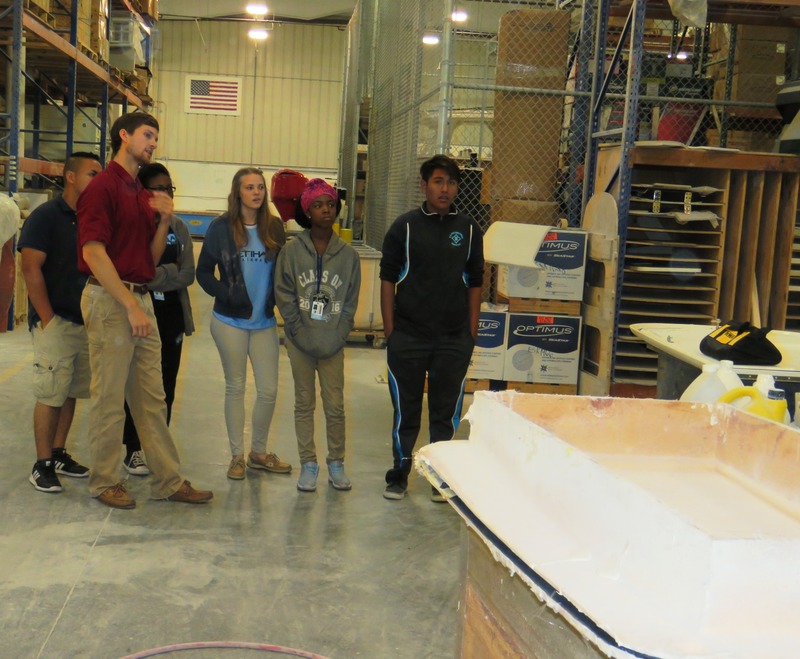 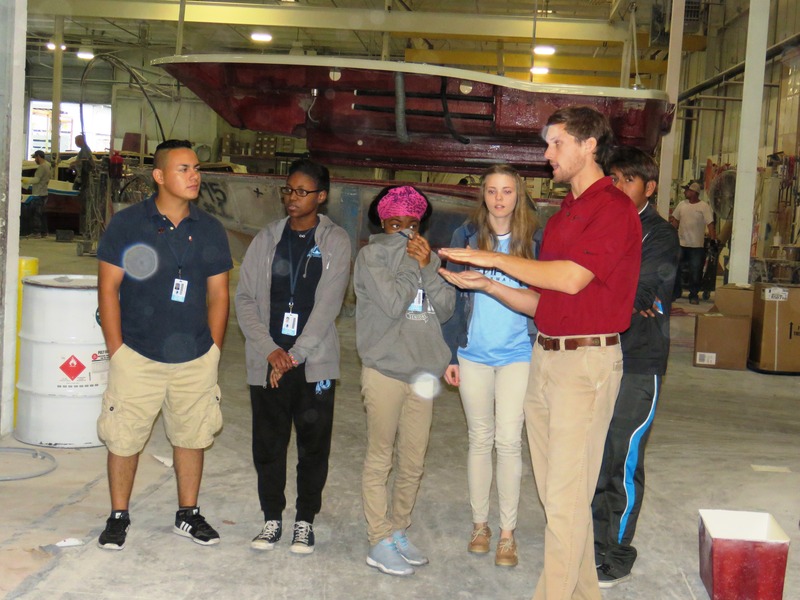 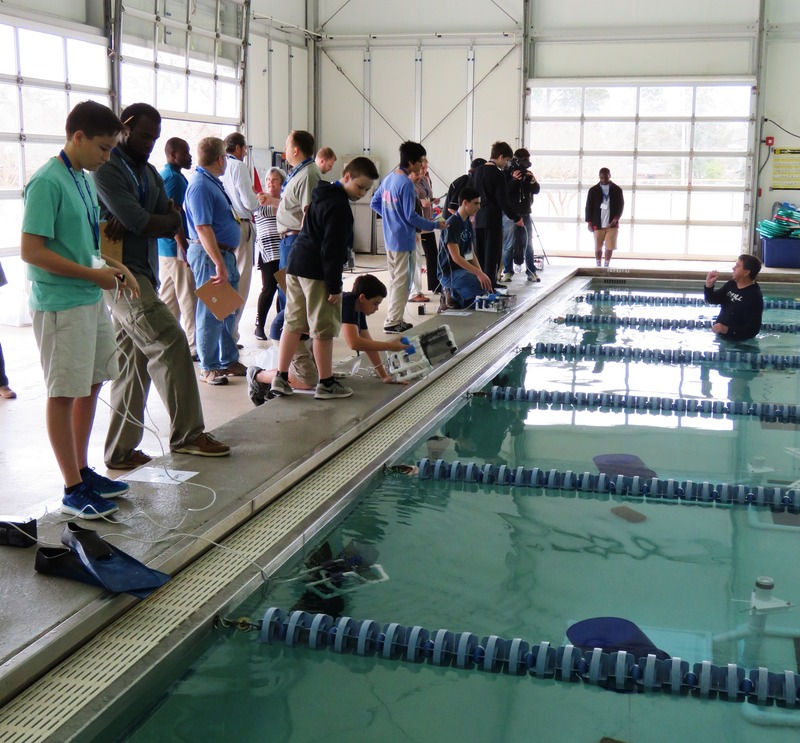 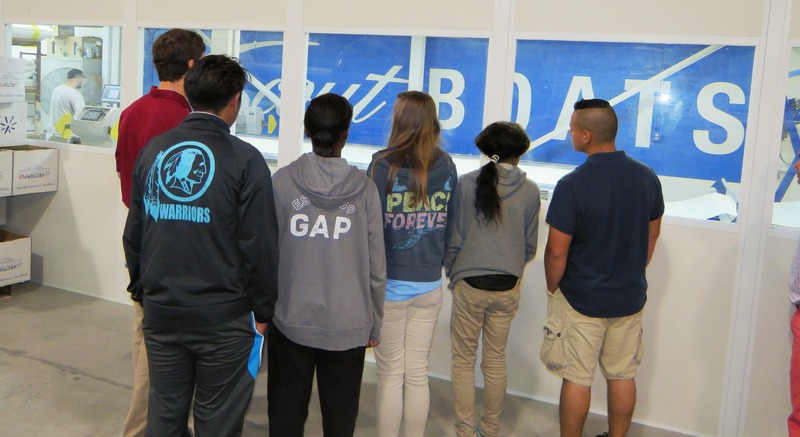 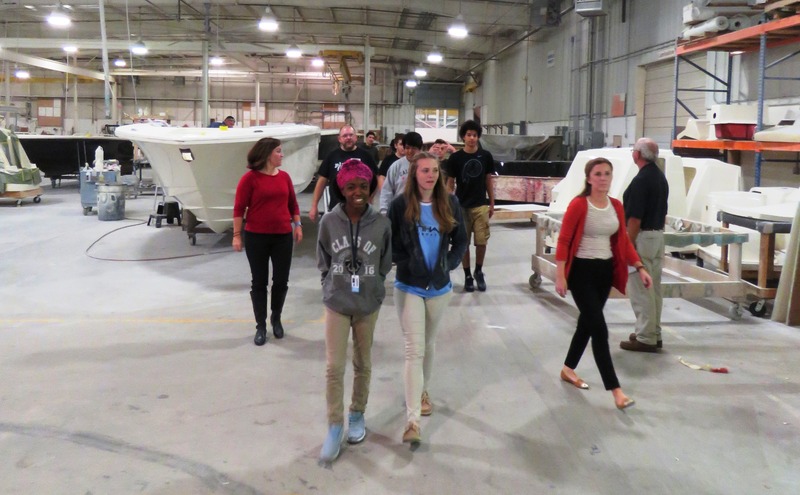 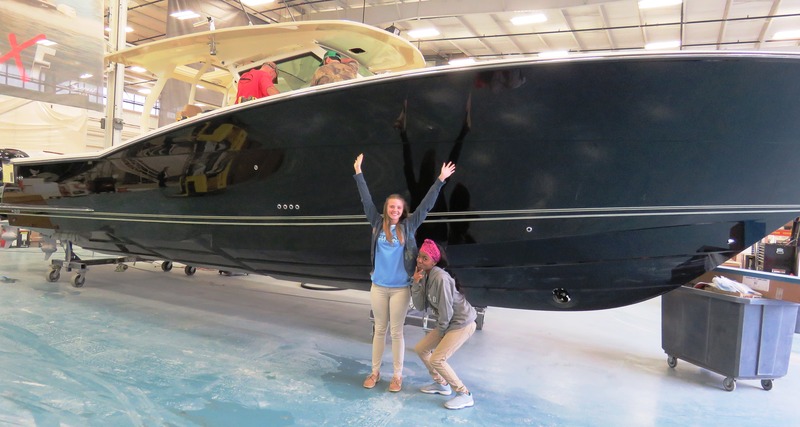 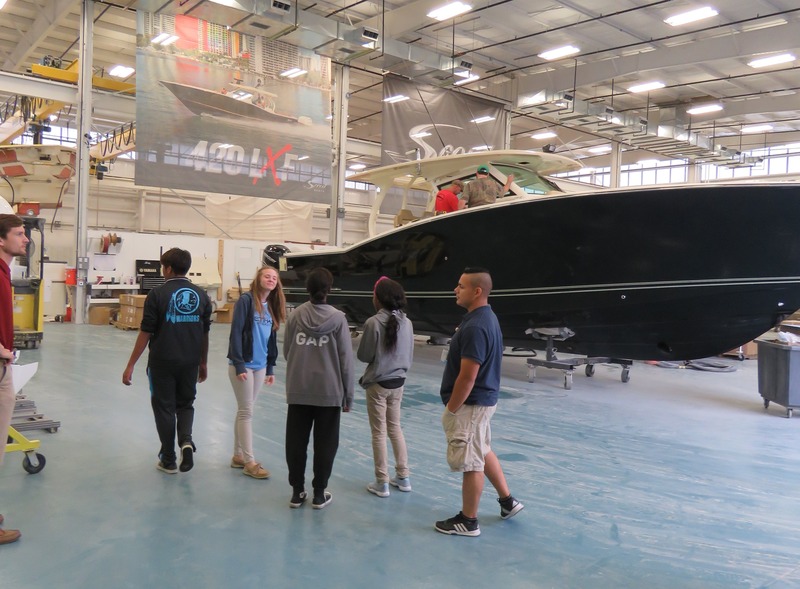 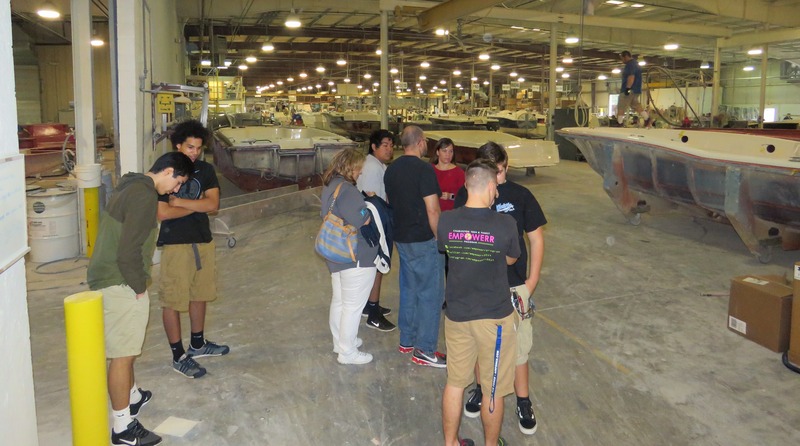 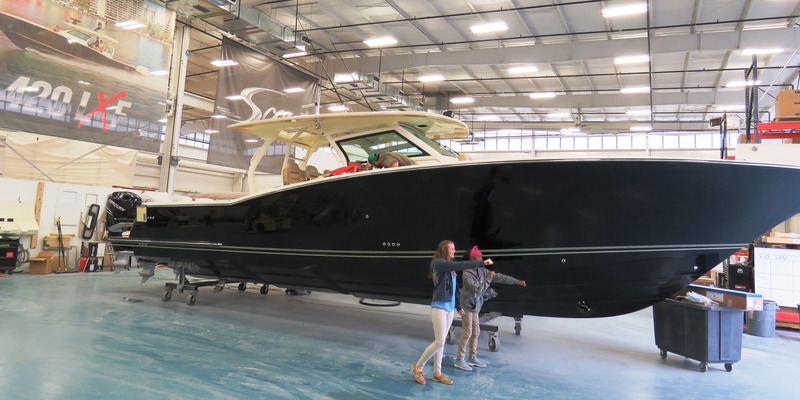 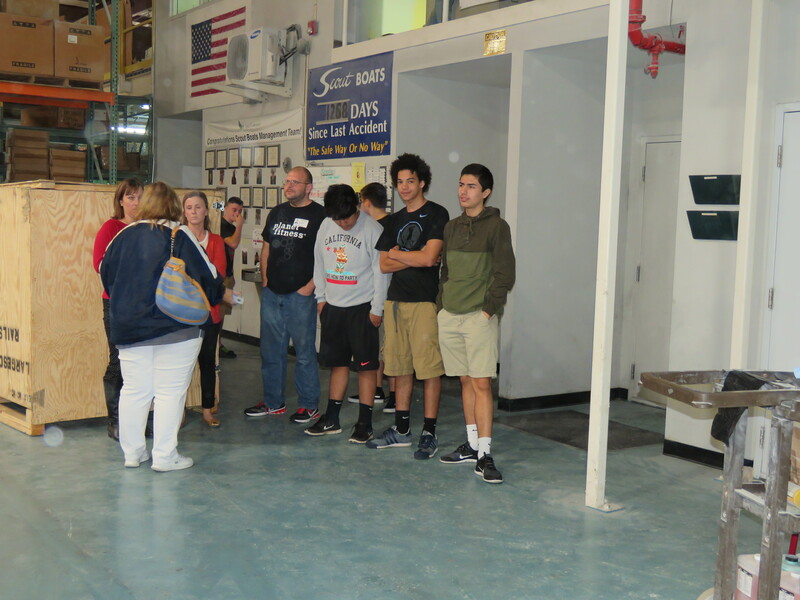 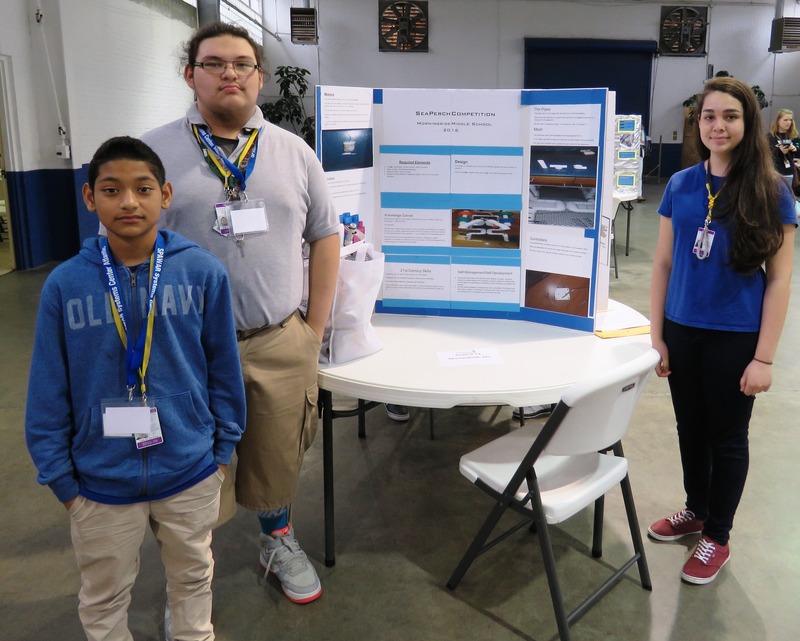 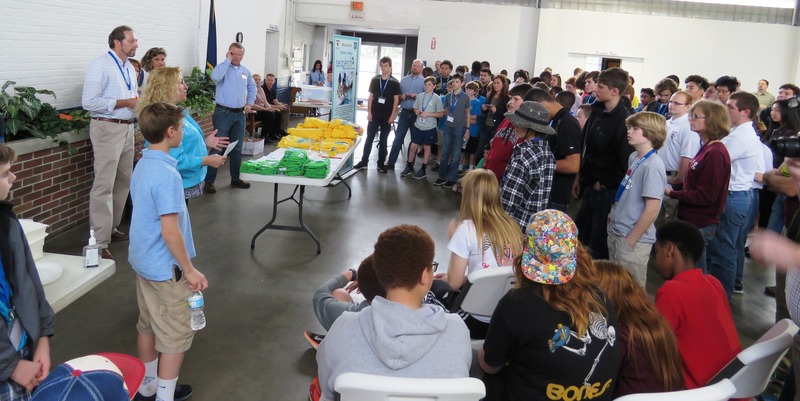 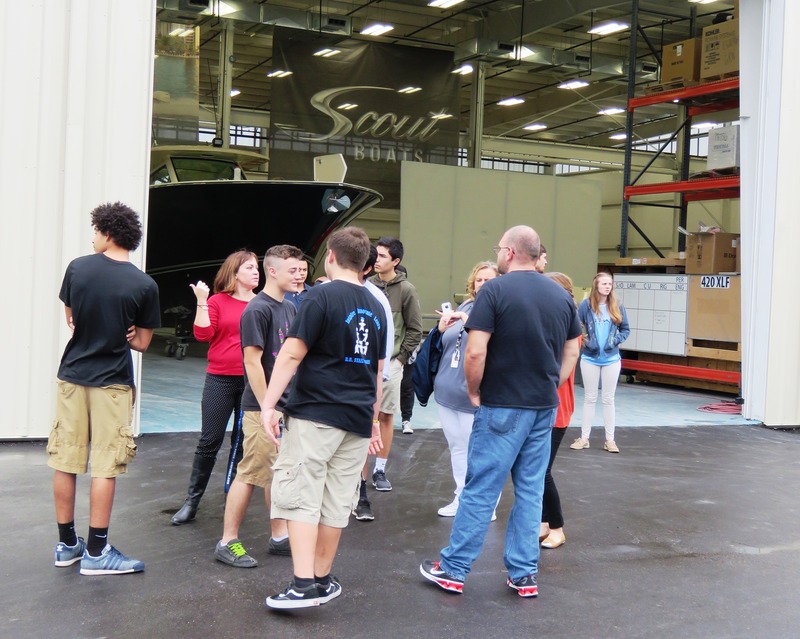 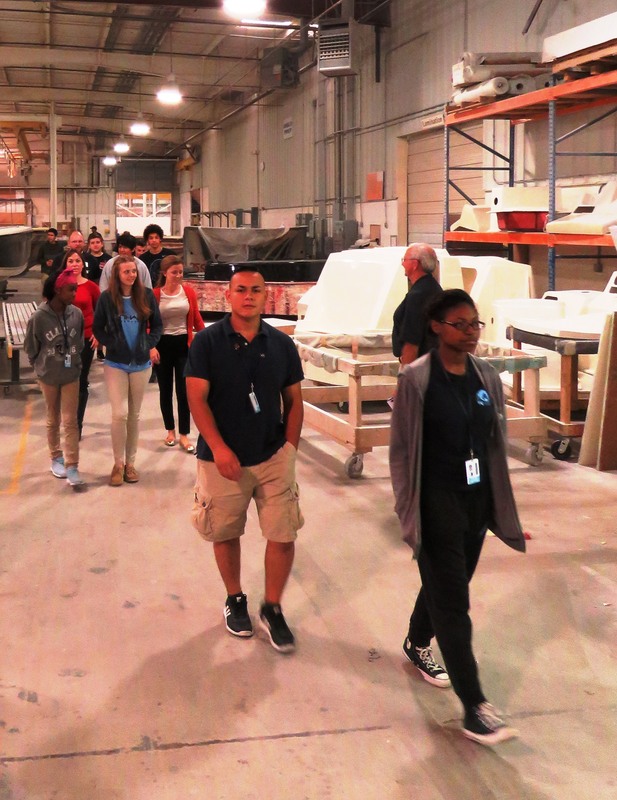 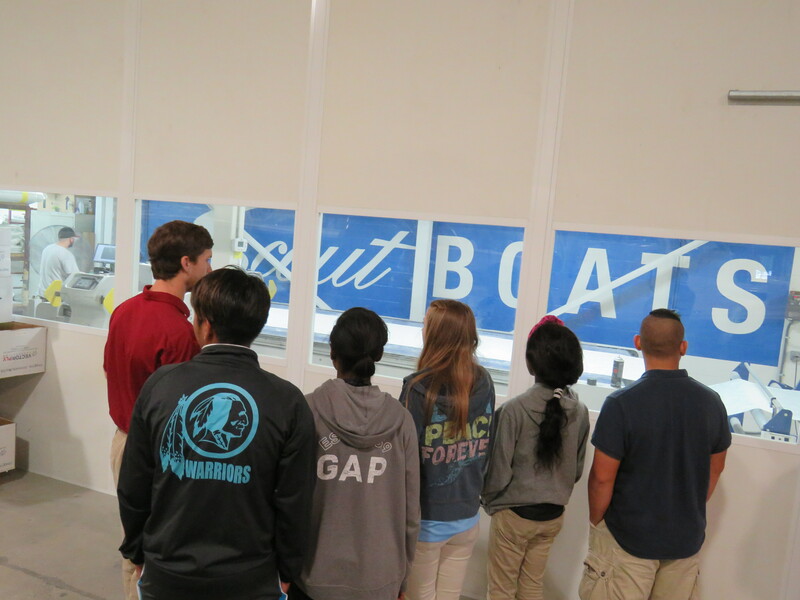 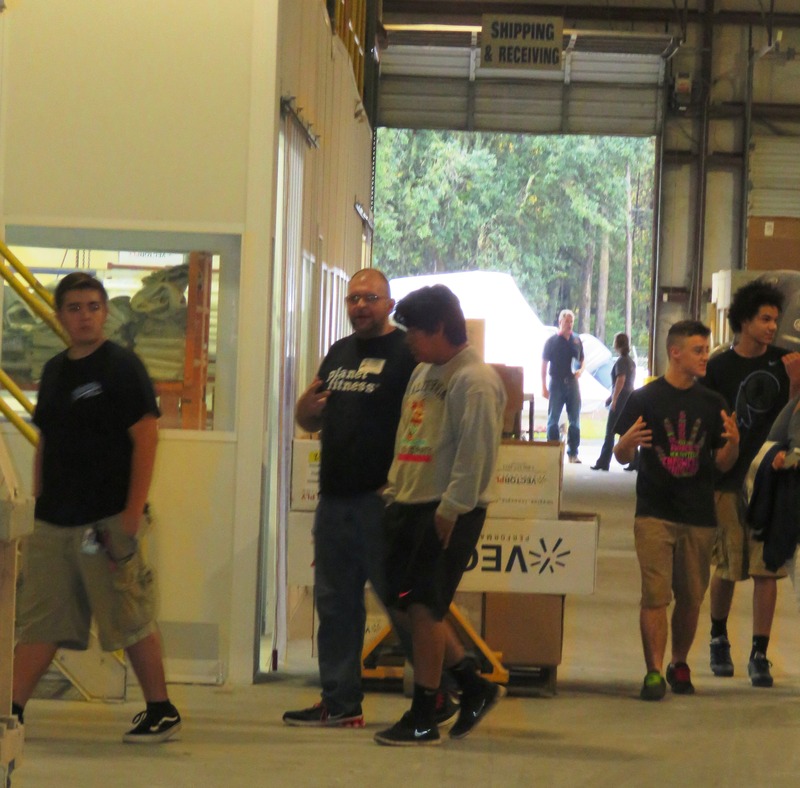 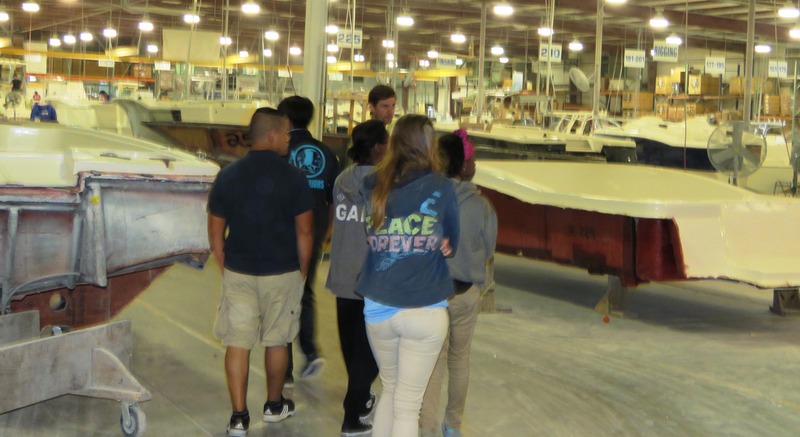 Mrs. Kimberly Pickett’s students were treated to an extensive tour of the manufacturing facility that produces boats from 17′ to 41′ in length for customers worldwide. 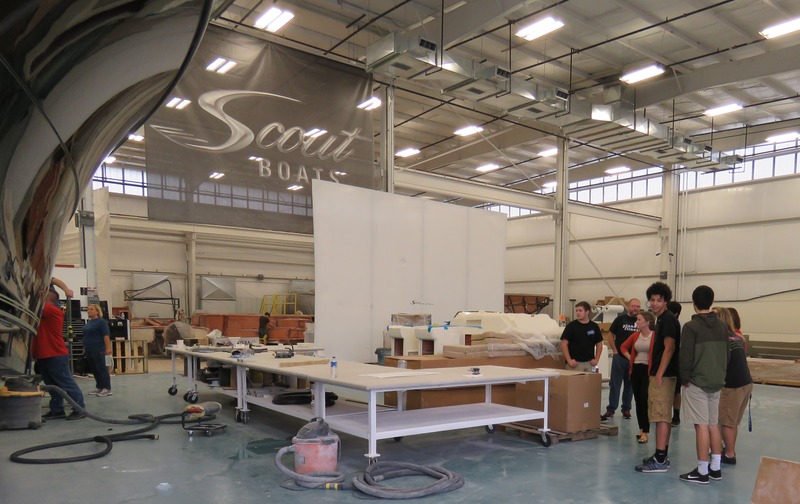 With the strong demand for quality boats, Scout Boats has been steadily increasing production capacity and hiring new team members monthly. 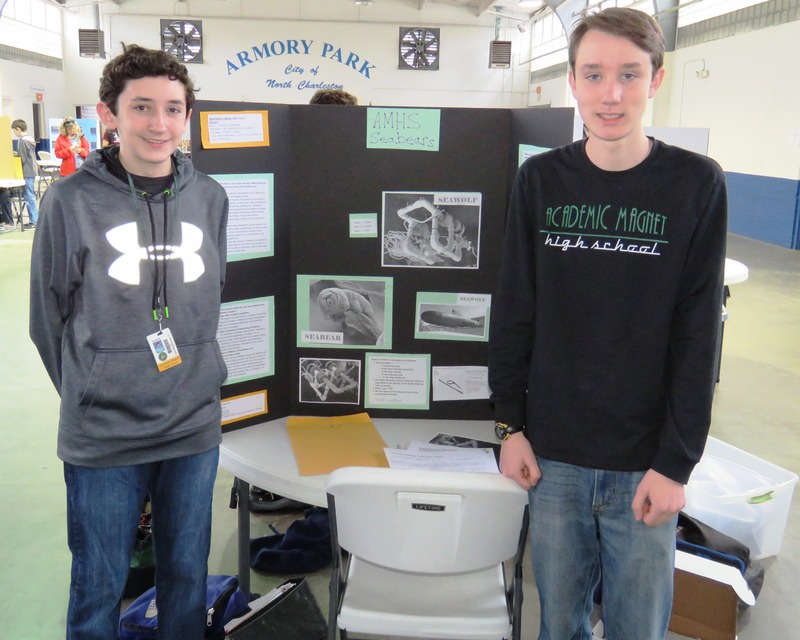 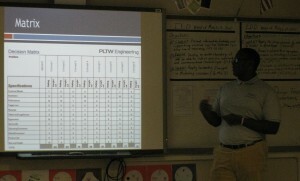 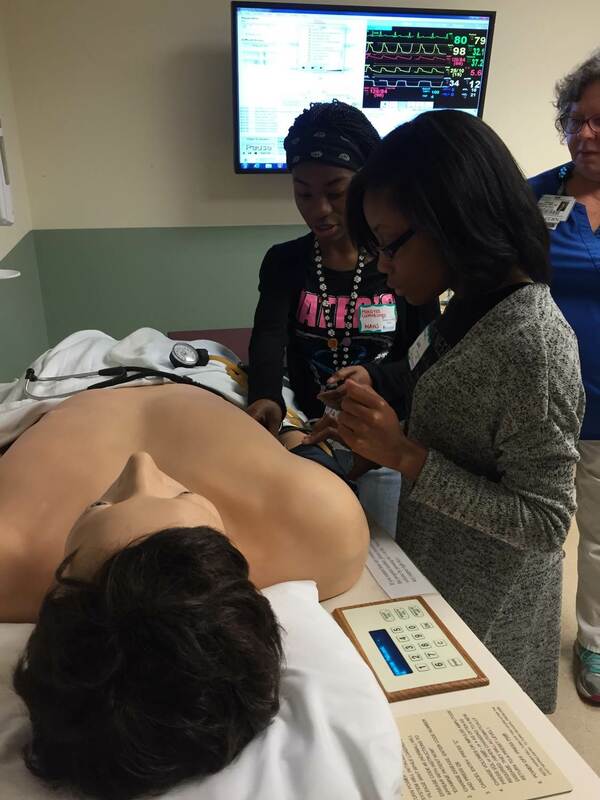 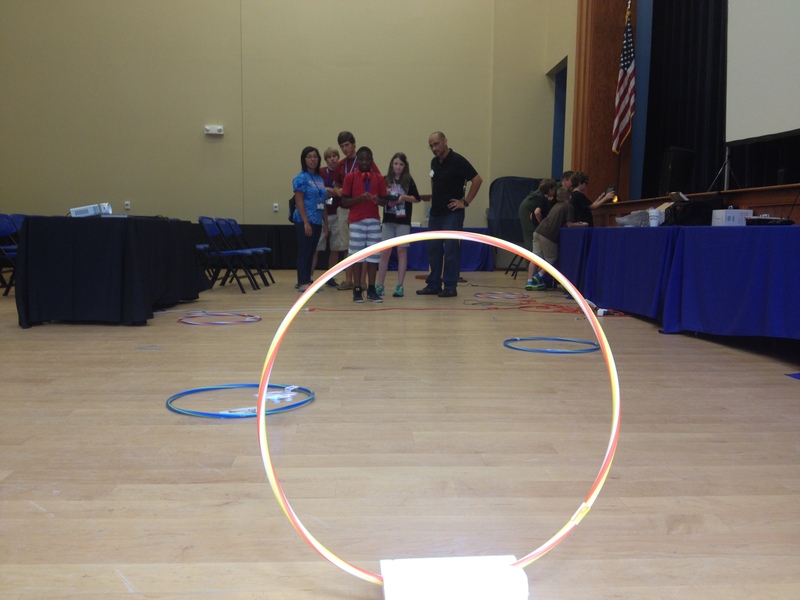 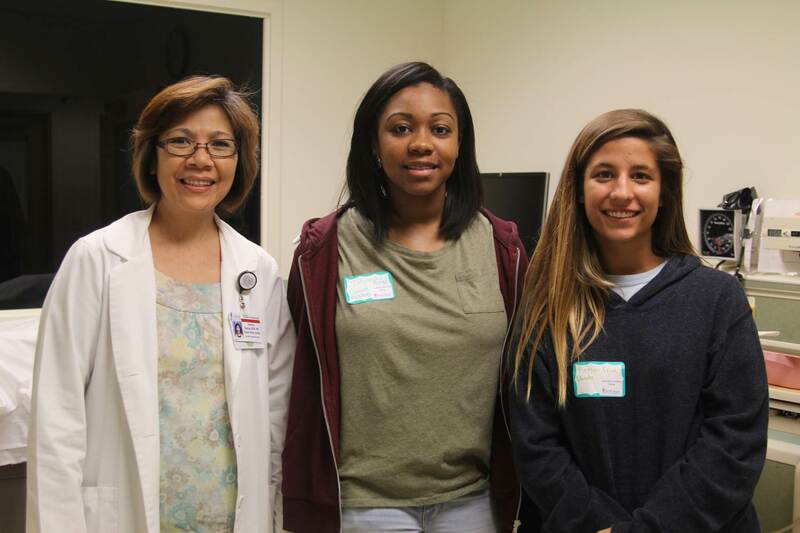 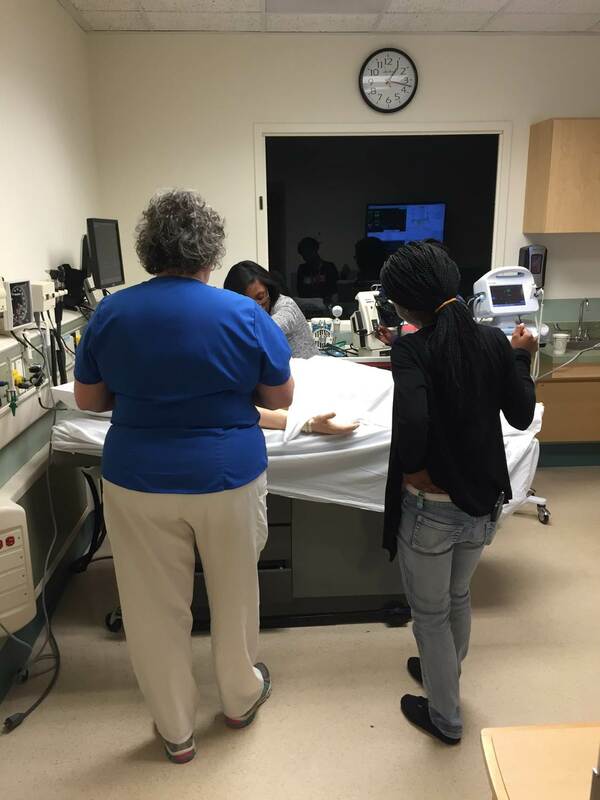 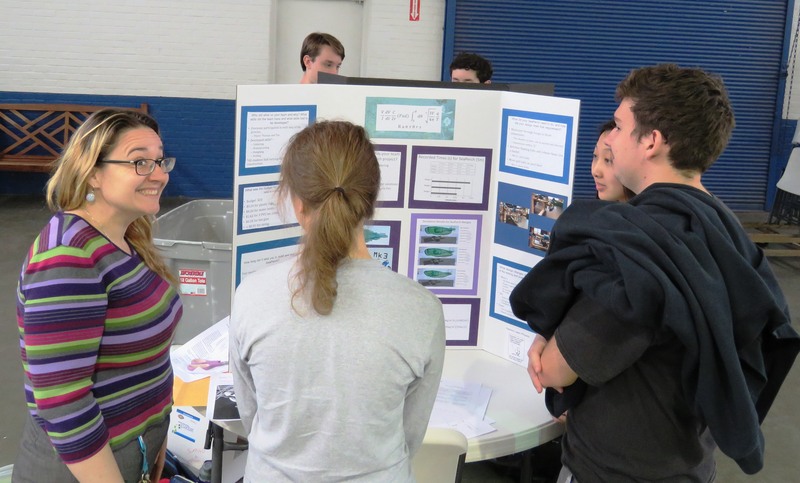 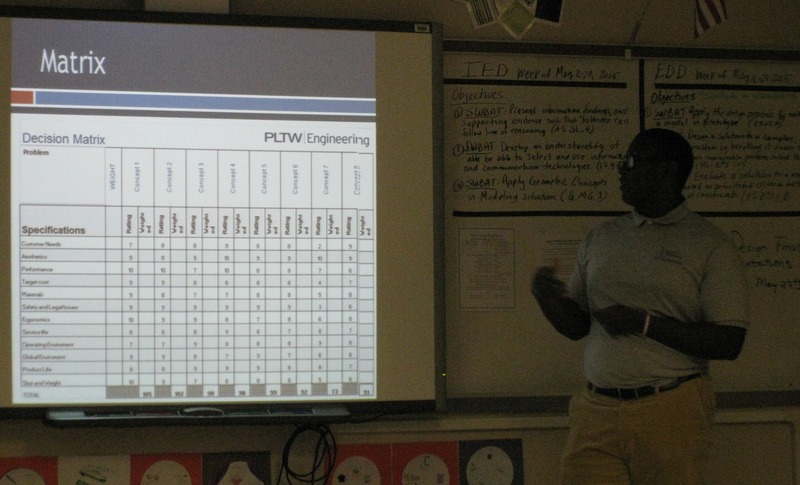 Students learned about the importance of a strong work ethic, critical thinking, and math skills for this STEM centered profession. 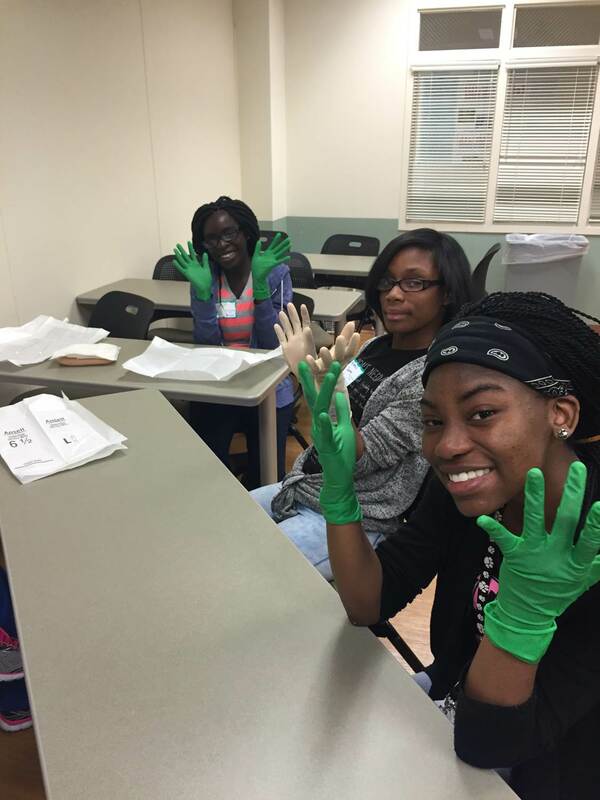 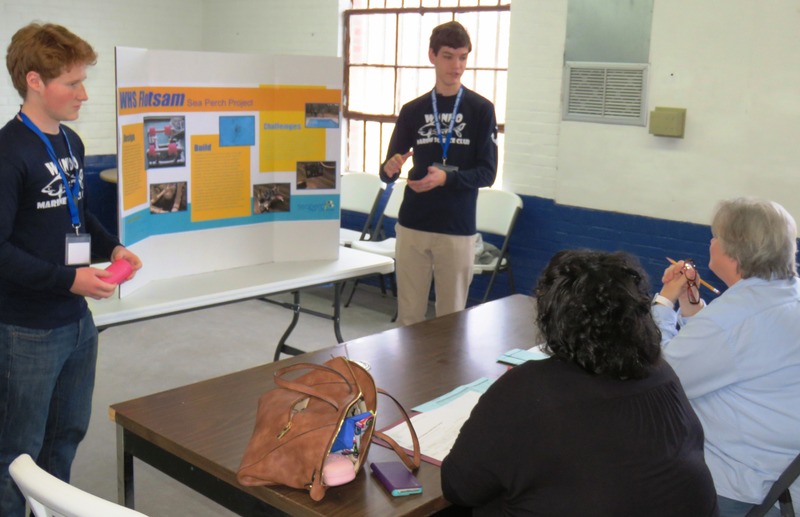 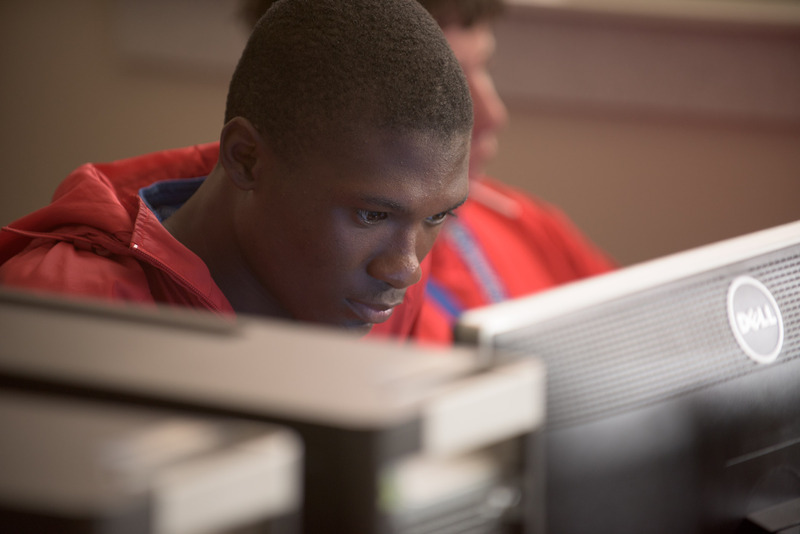 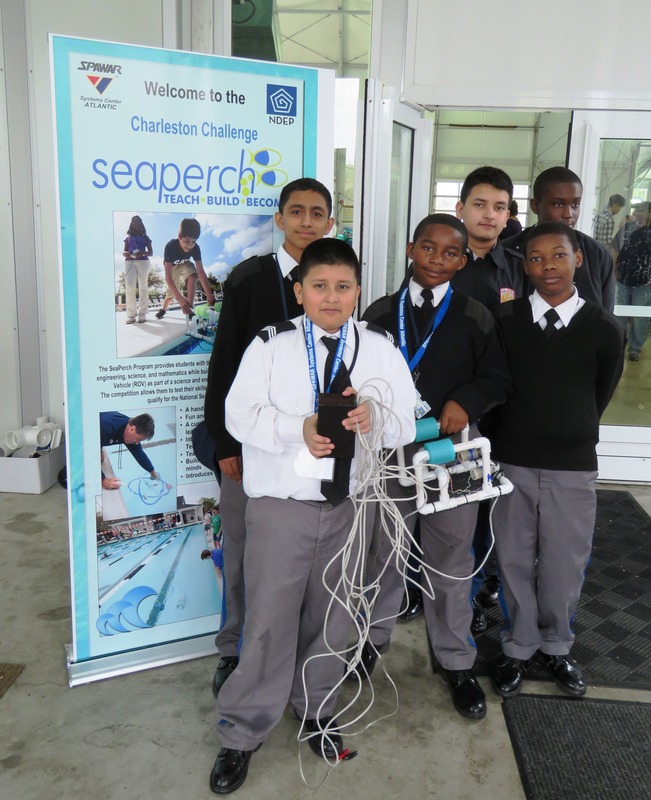 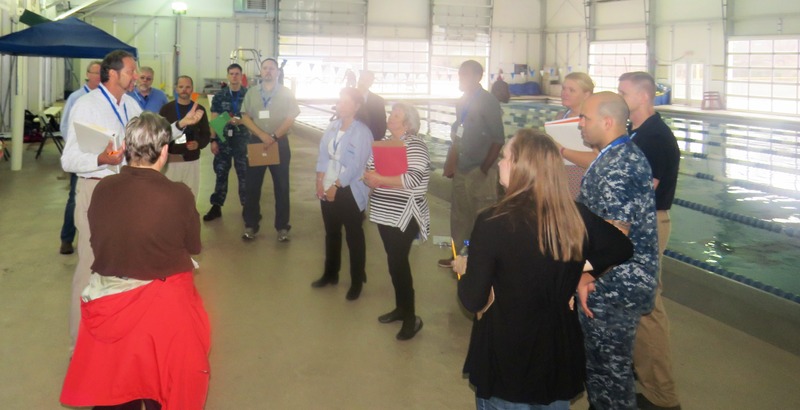 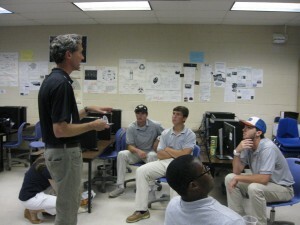 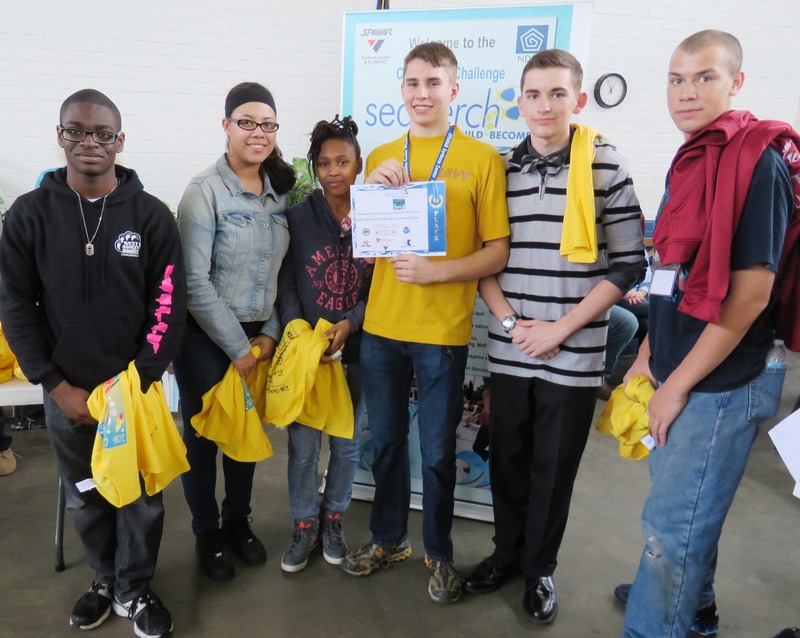 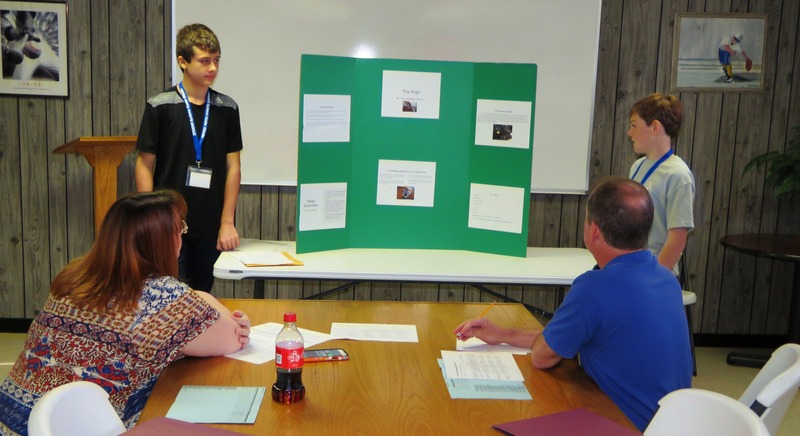 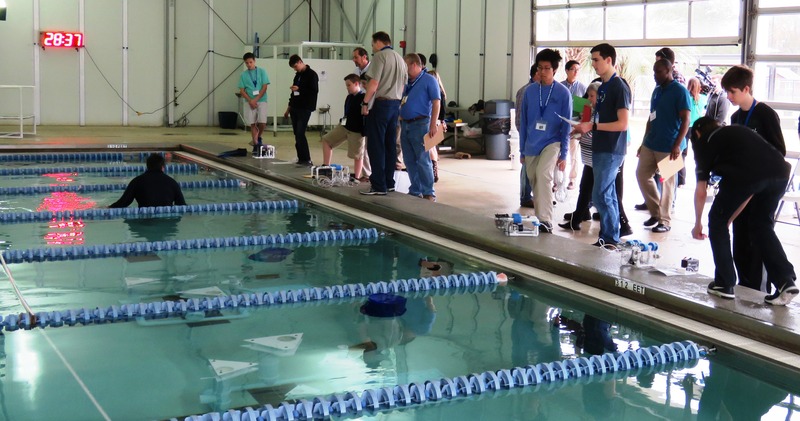 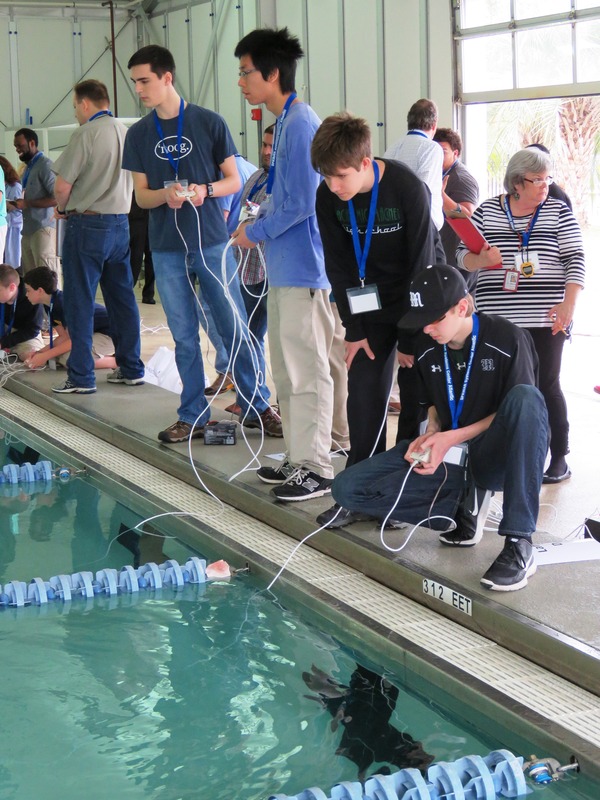 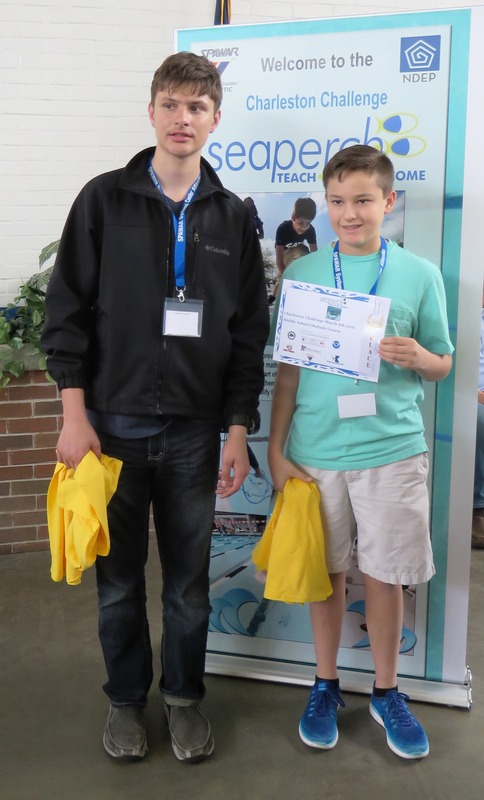 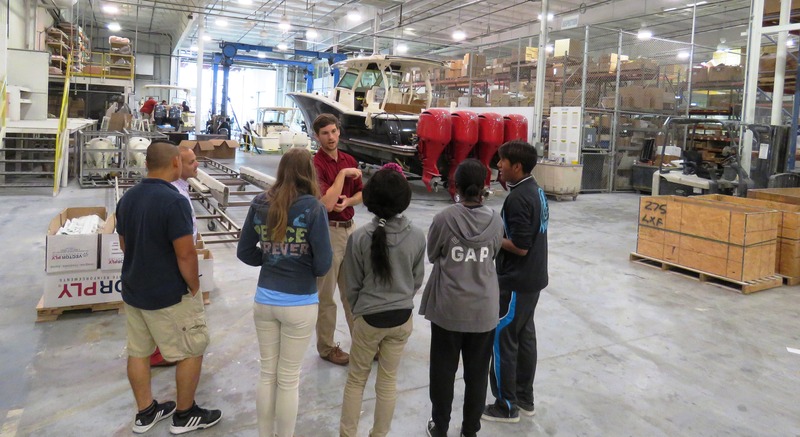 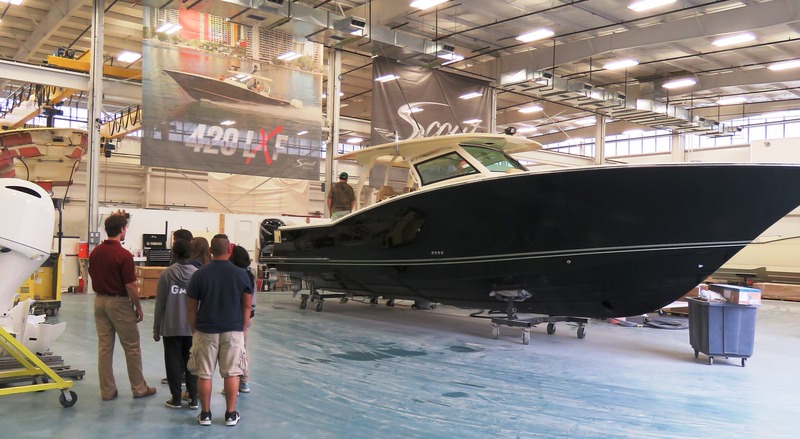 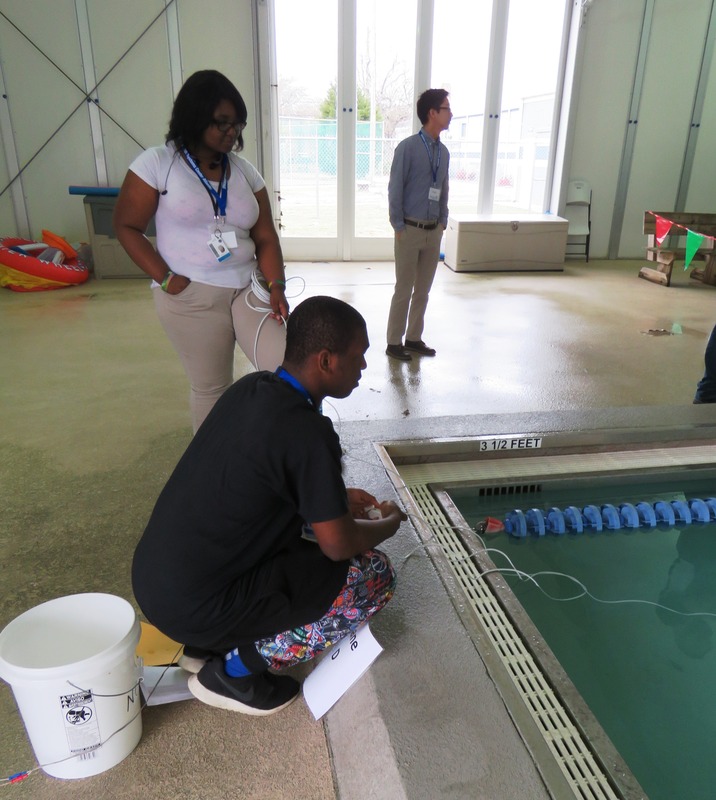 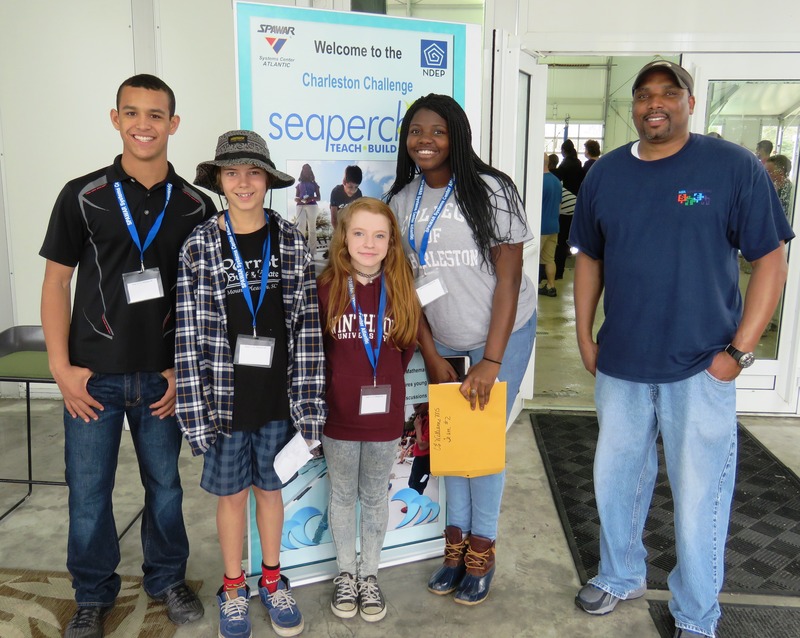 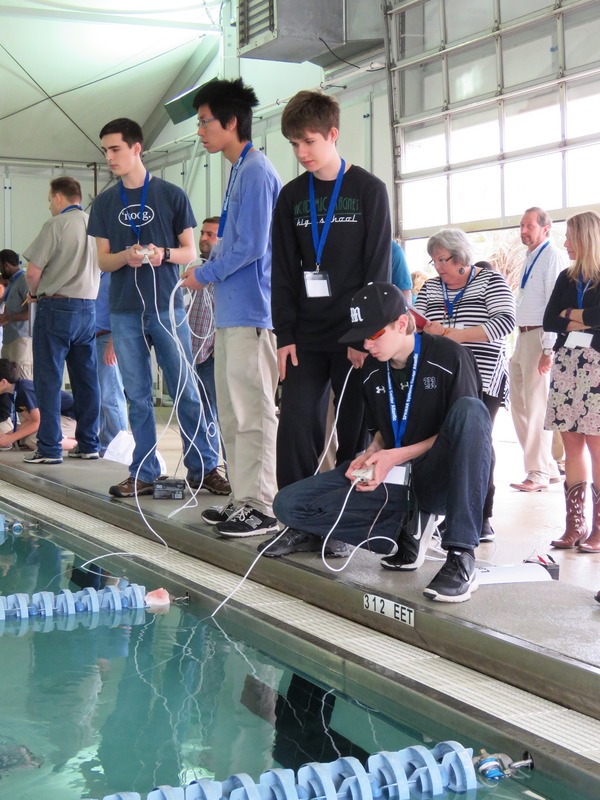 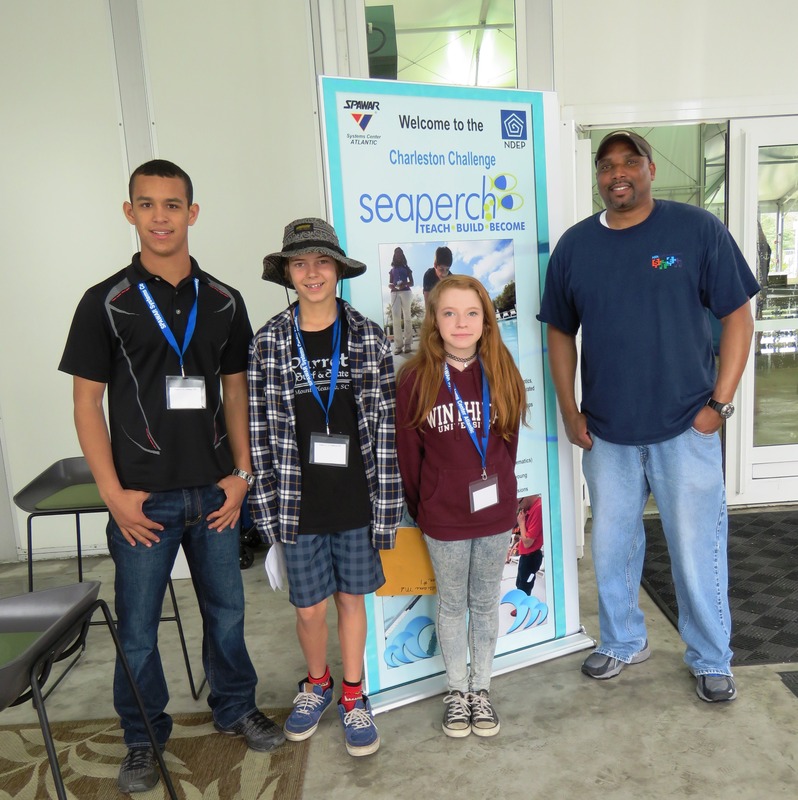 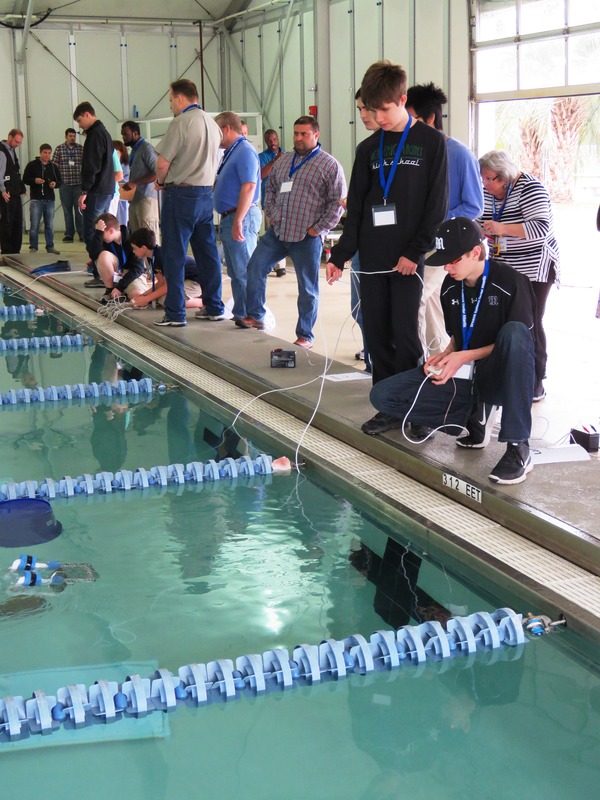 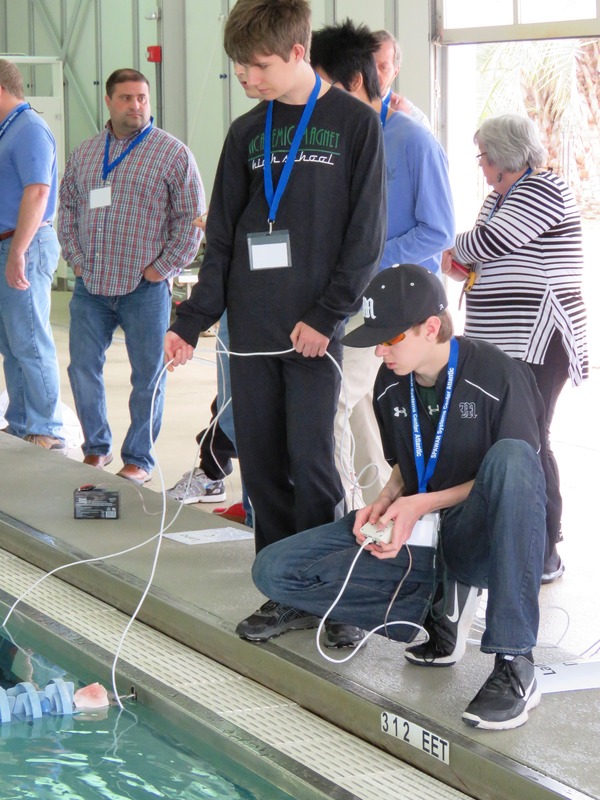 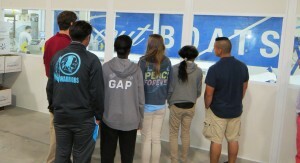 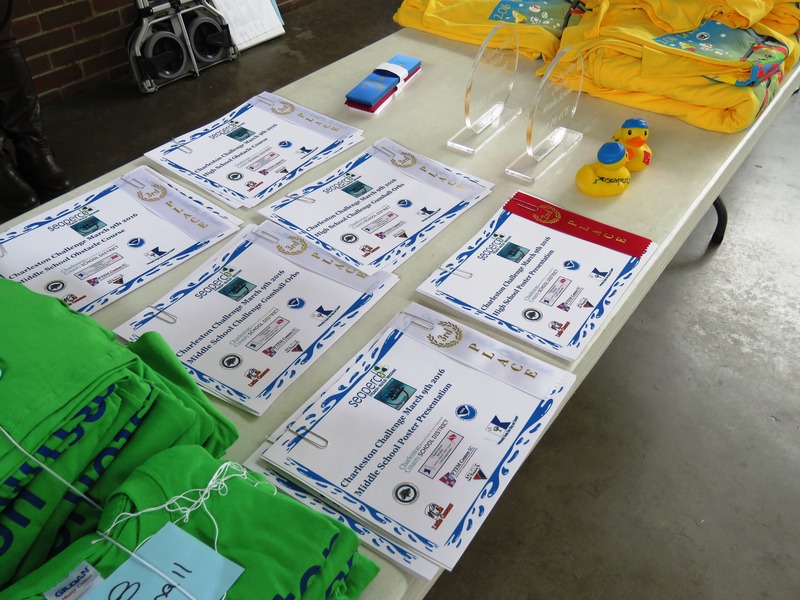 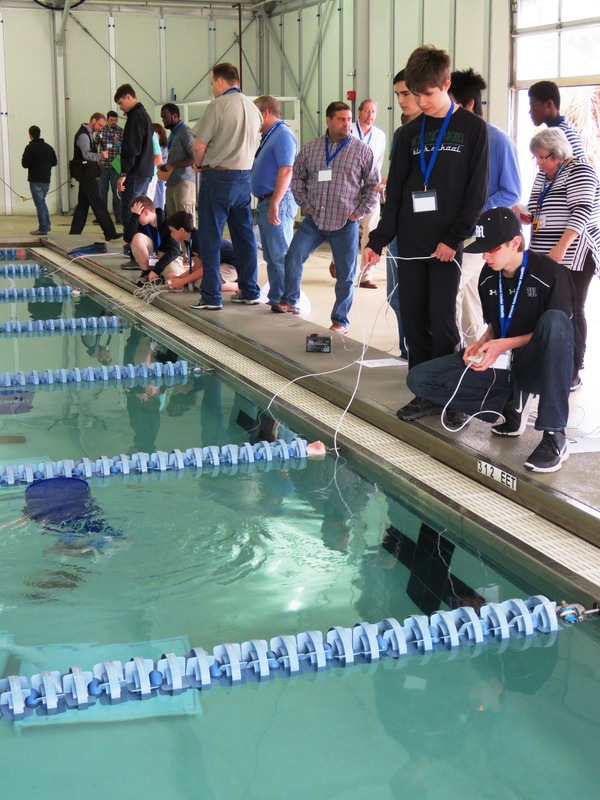 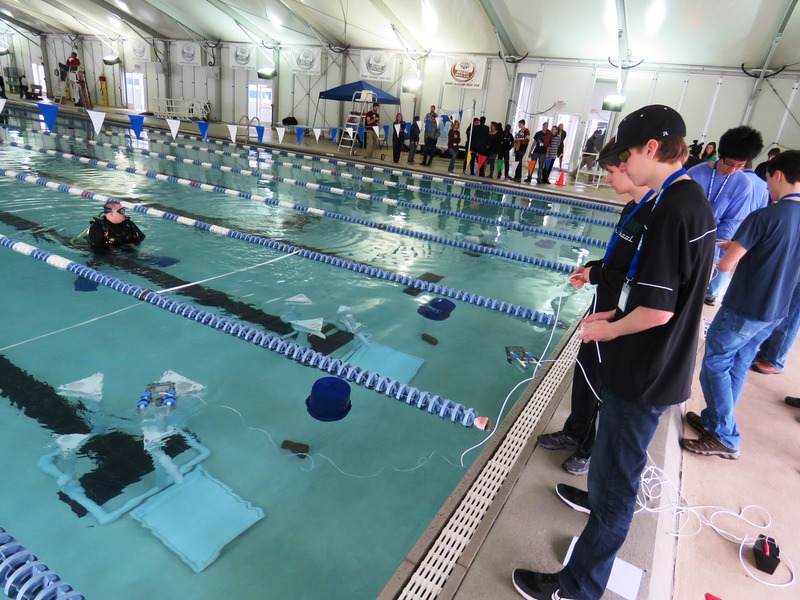 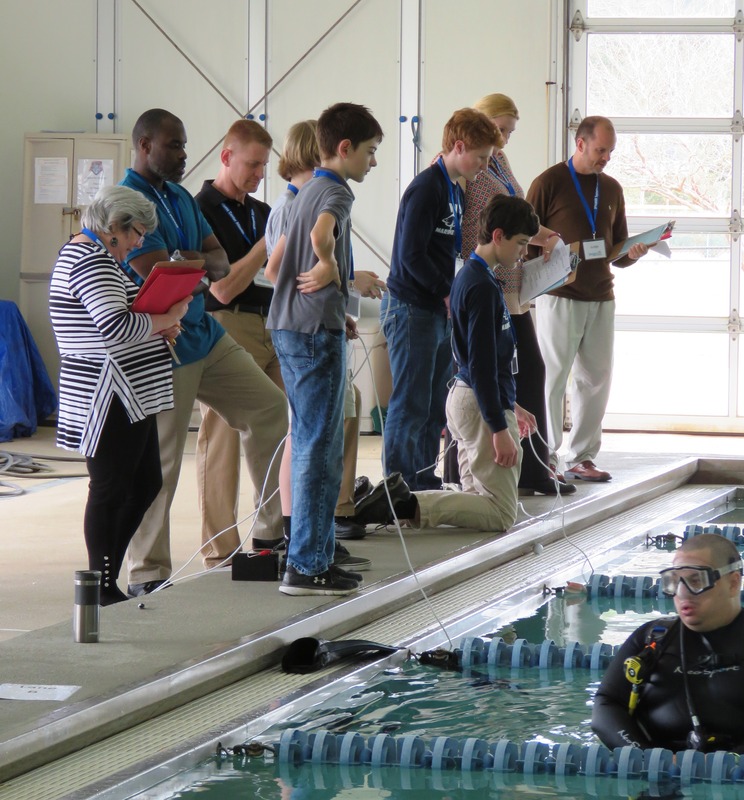 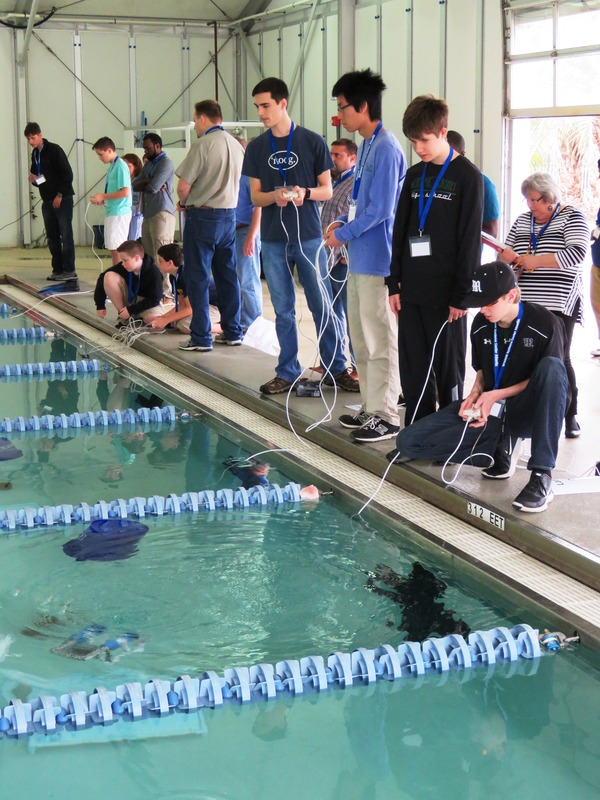 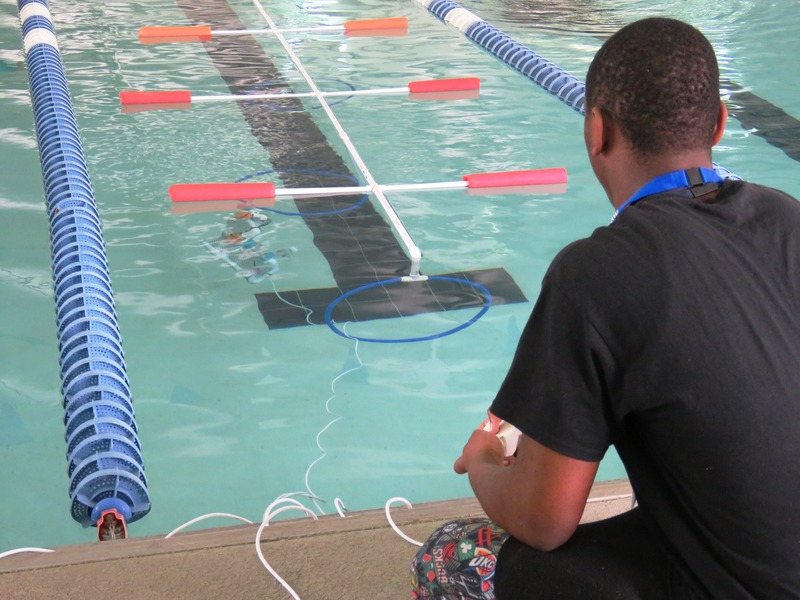 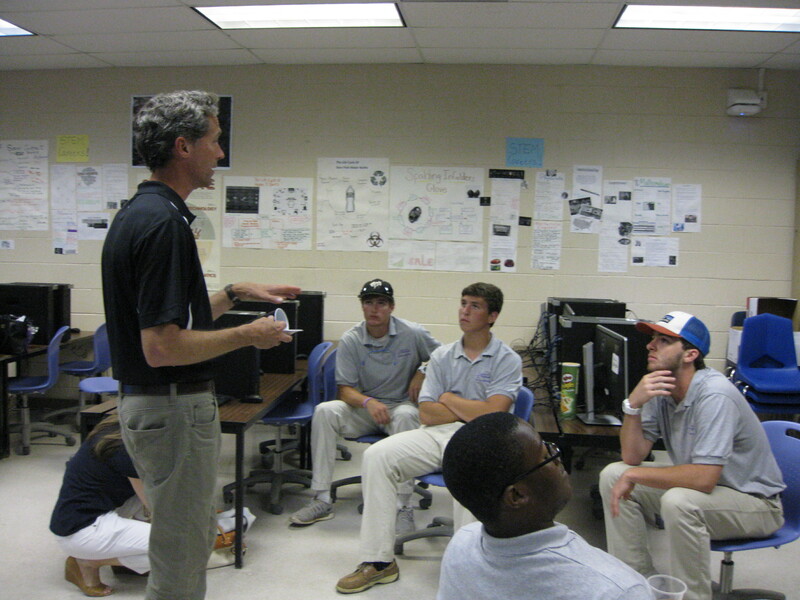 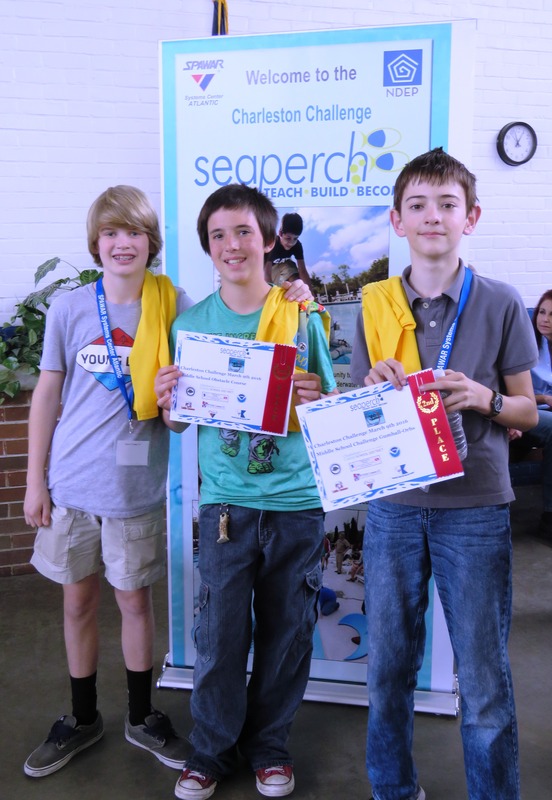 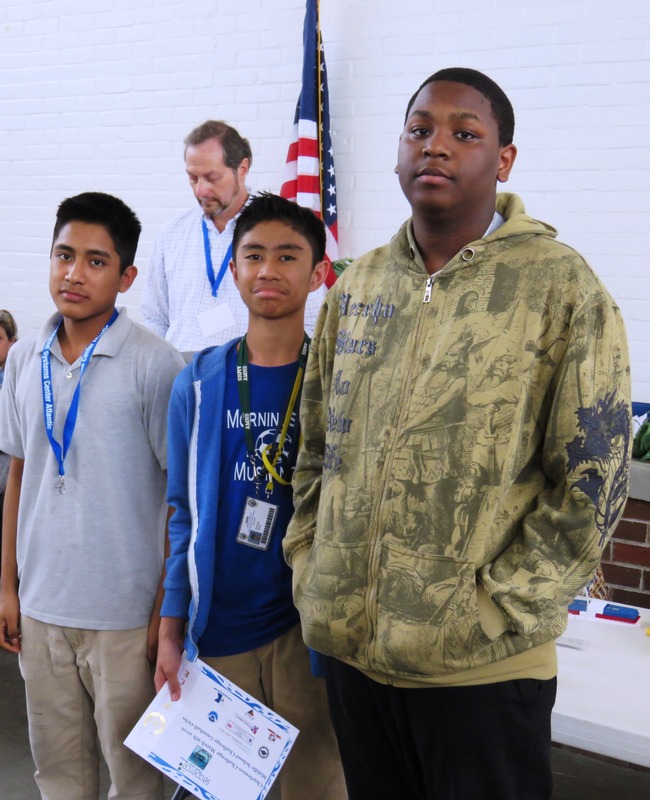 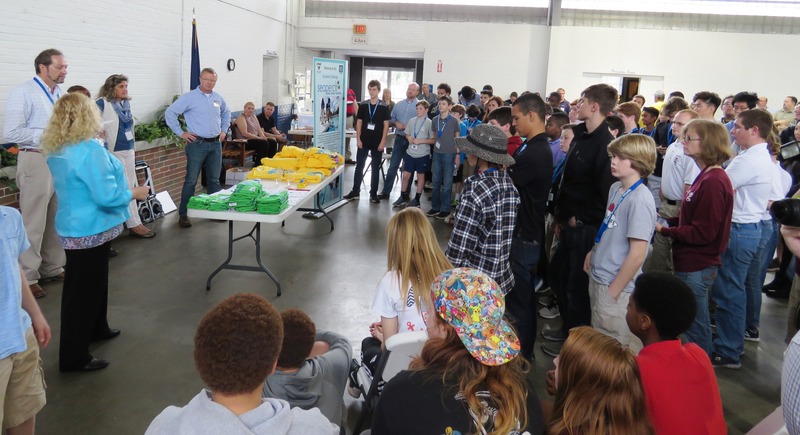 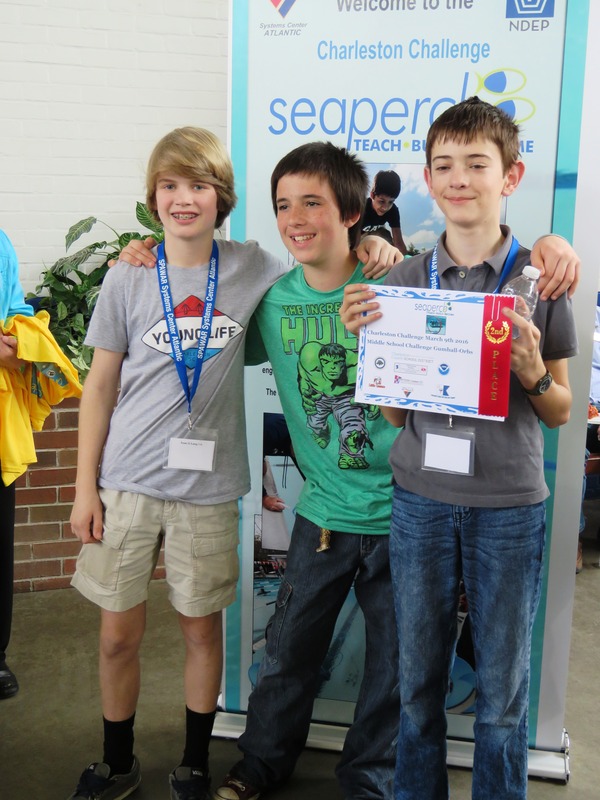 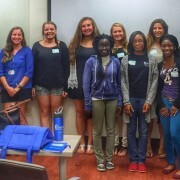 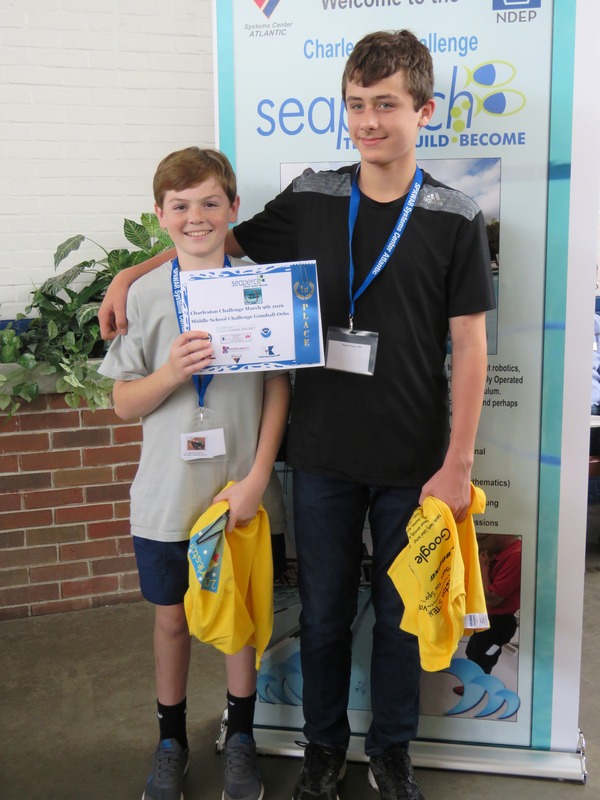 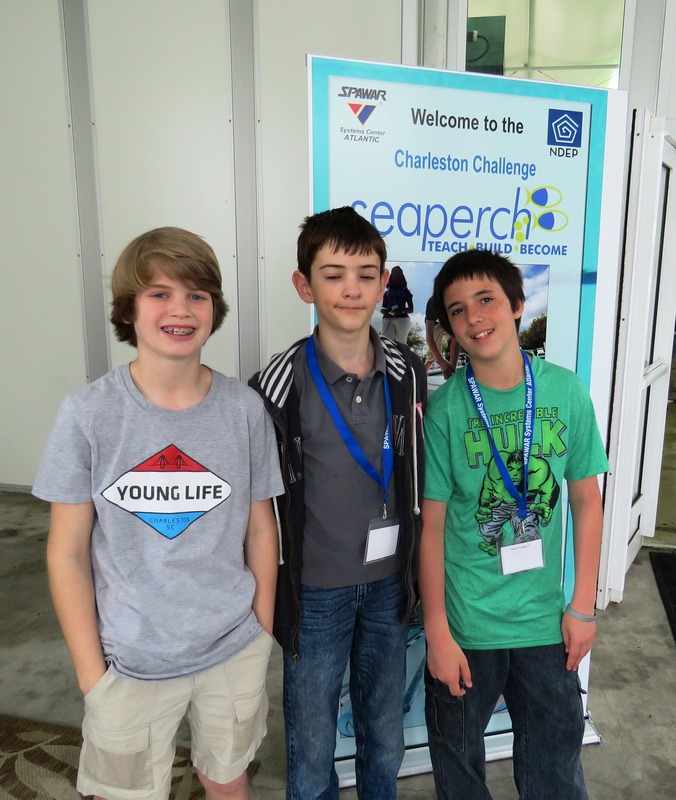 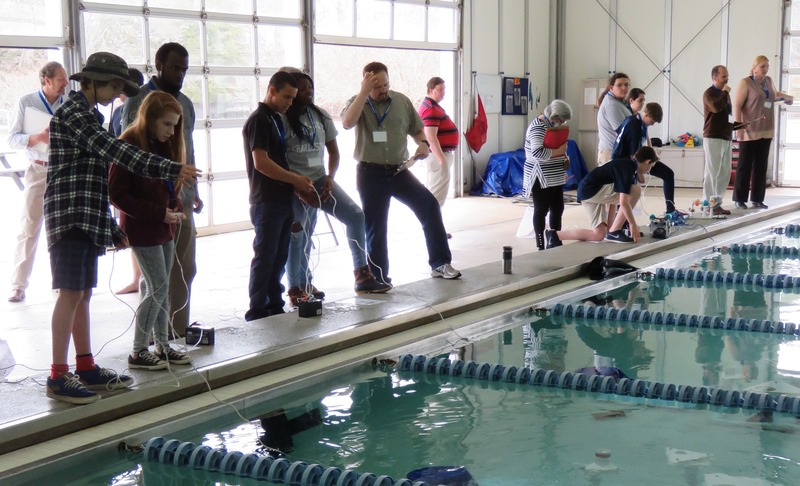 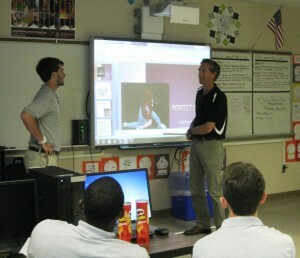 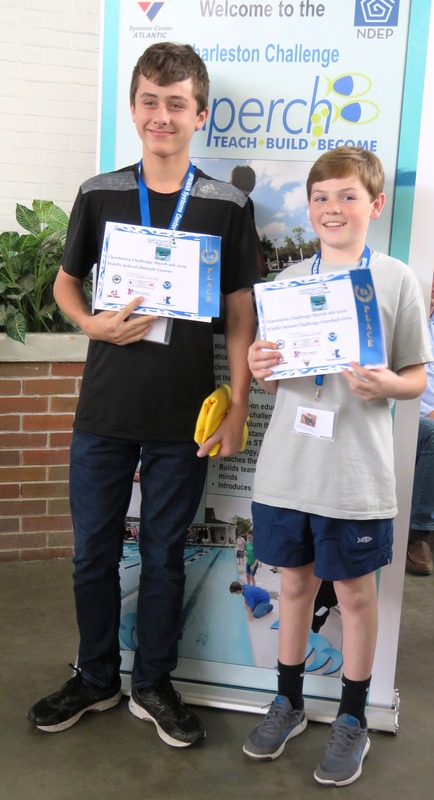 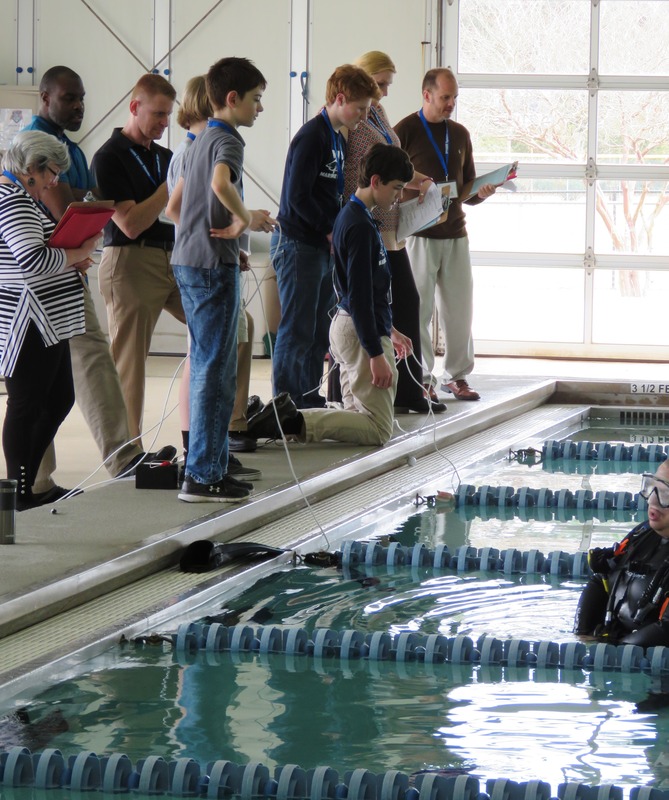 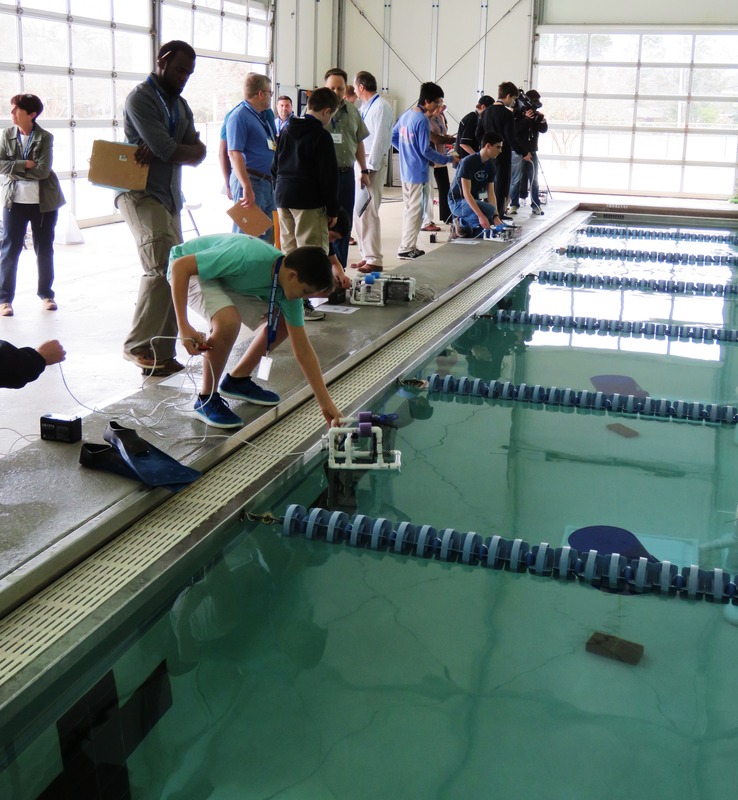 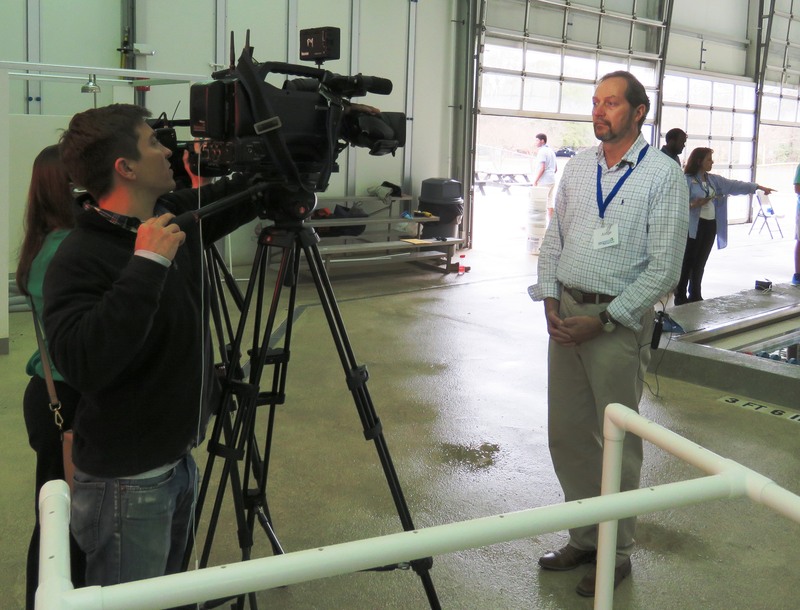 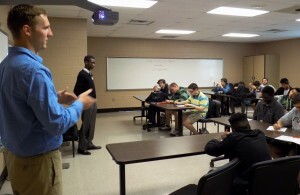 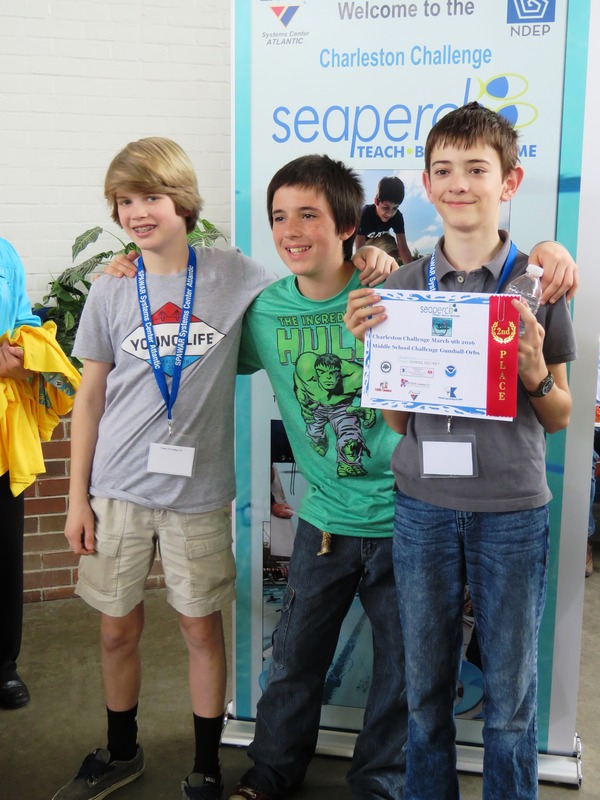 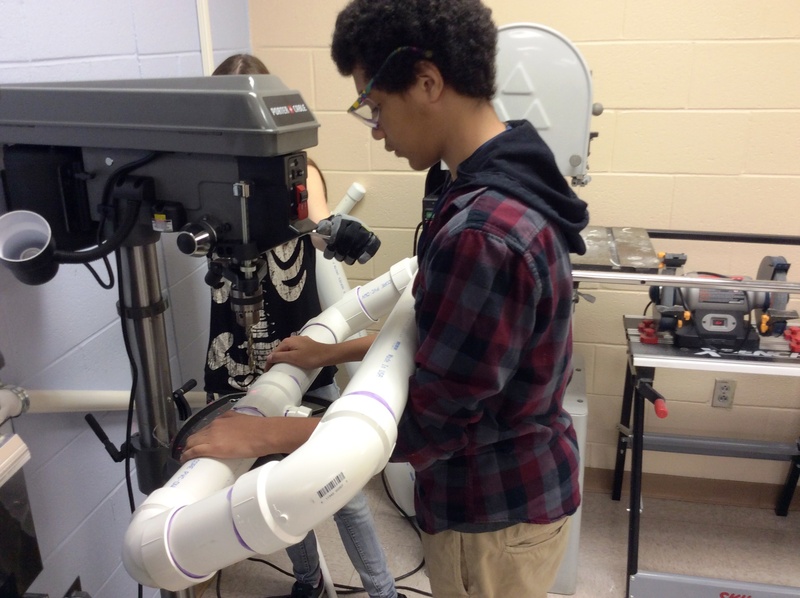 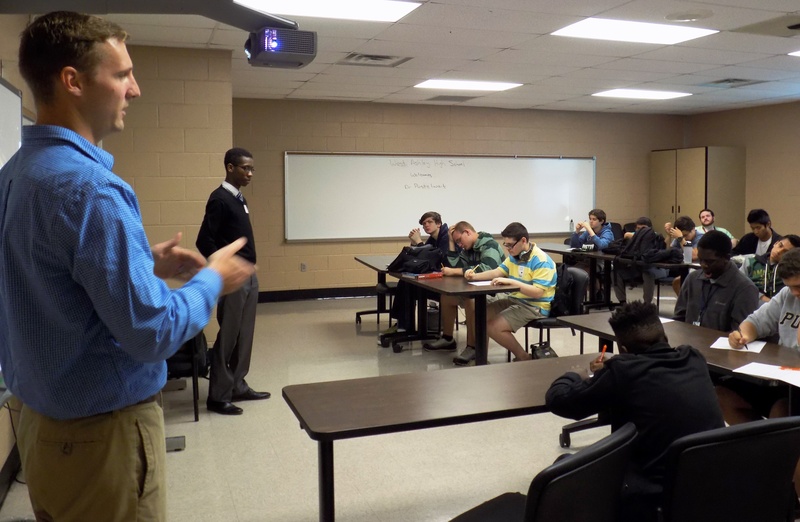 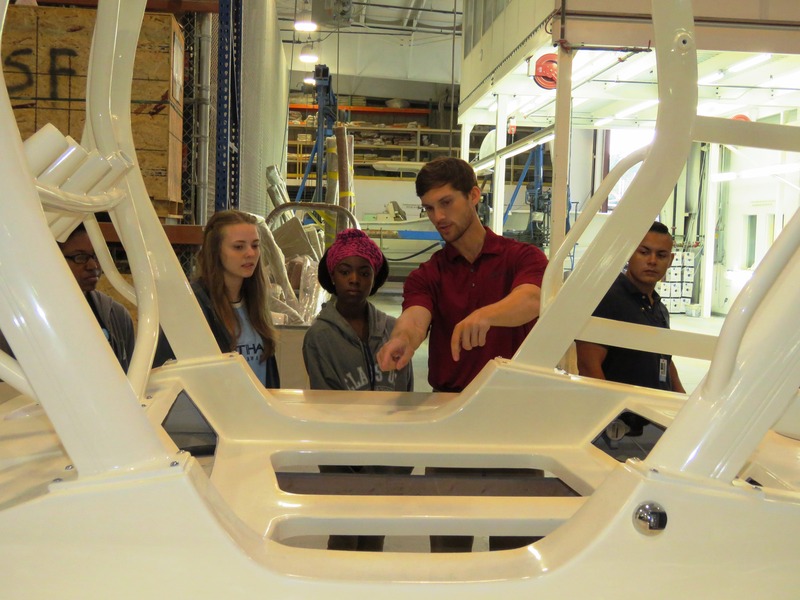 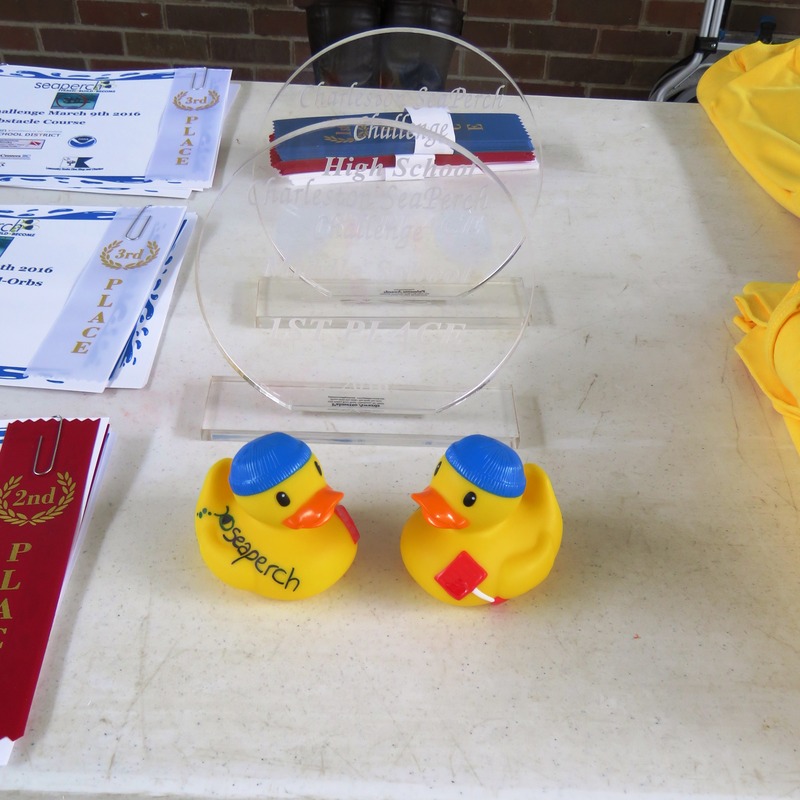 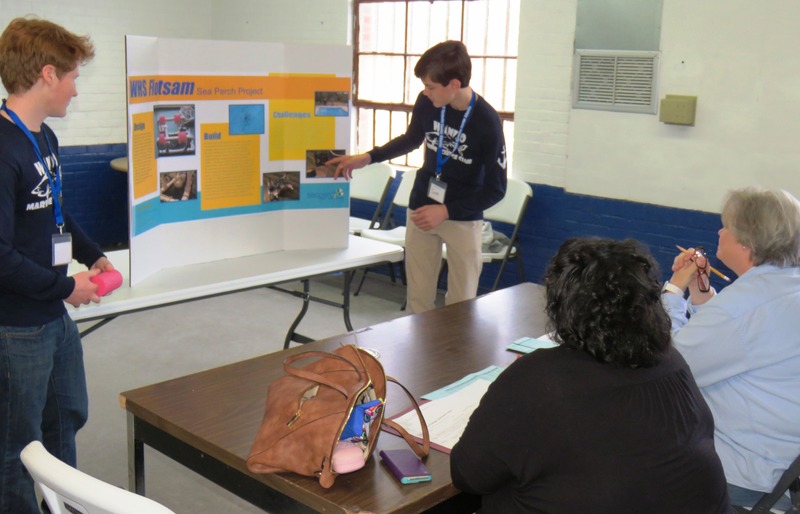 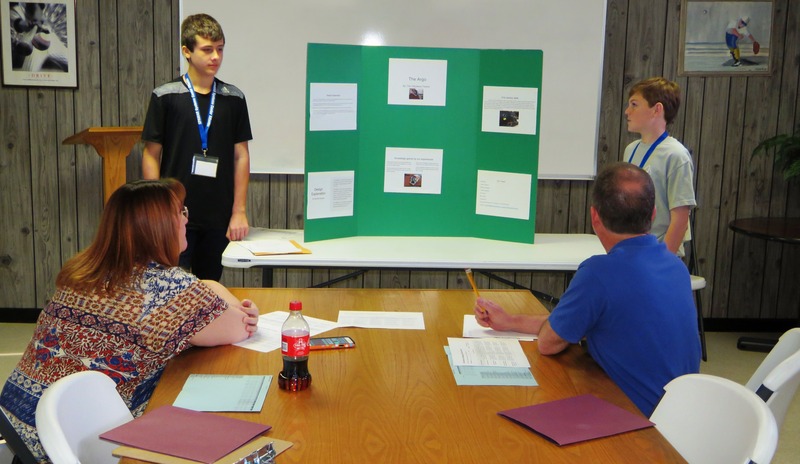 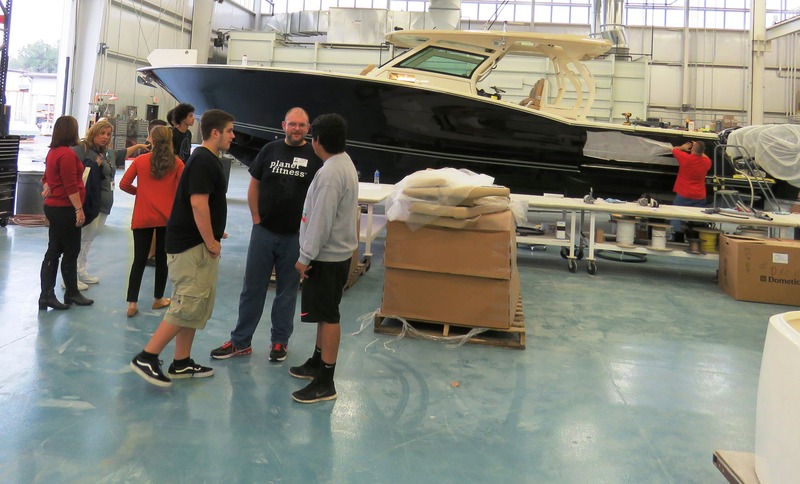 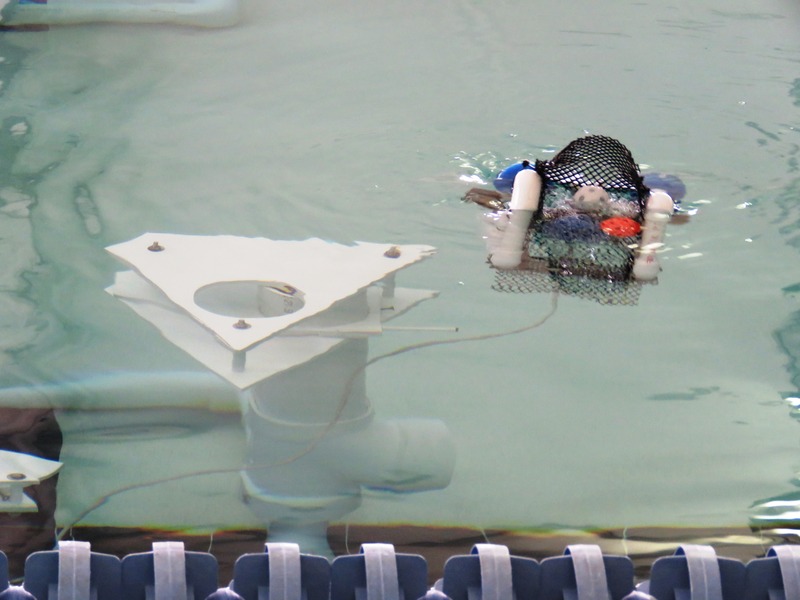 Scout Boats also participates in the Youth Apprenticeship program, and students were encouraged to consider applying. 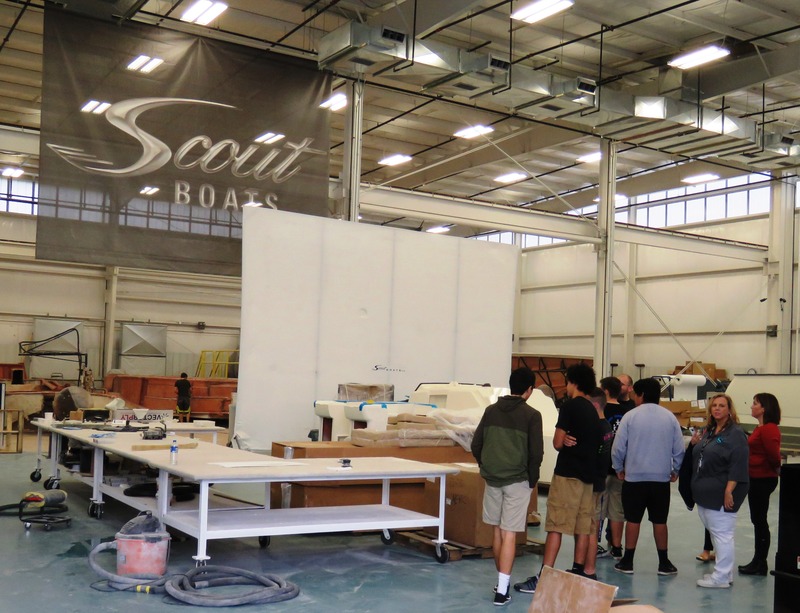 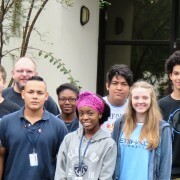 Thank you to everyone at Scout Boats for providing this terrific work-based learning opportunity for these students! 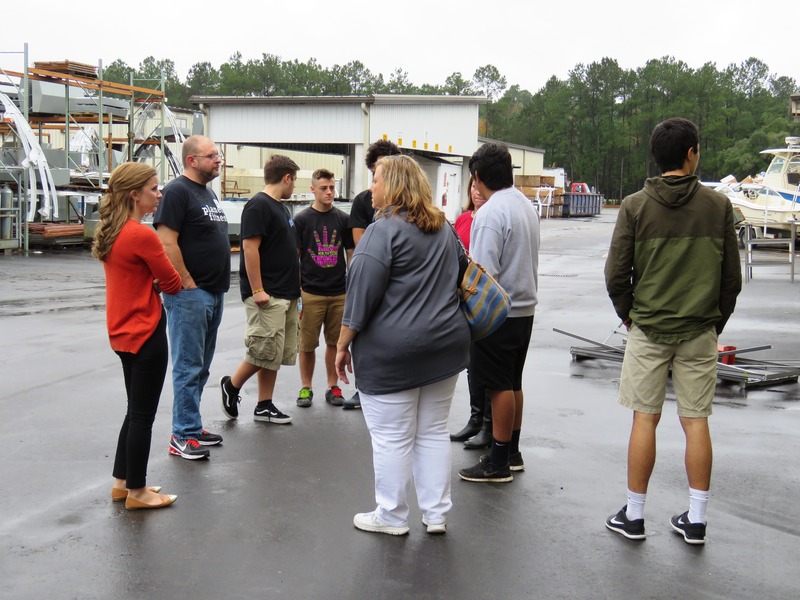 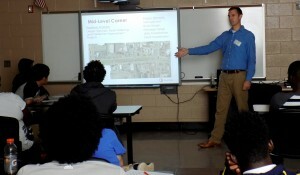 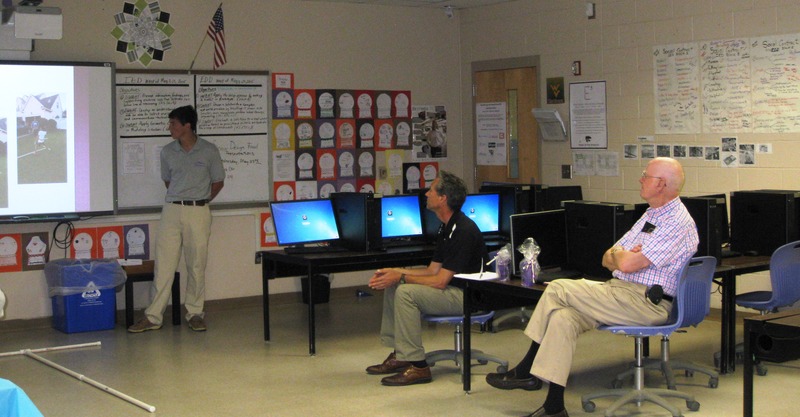 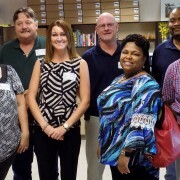 Engineers & Managers from Charleston Water System toured the West Ashley High School CTE department yesterday as part of the outreach of the Charleston Metro Chamber STEM Academy Advisory Board. 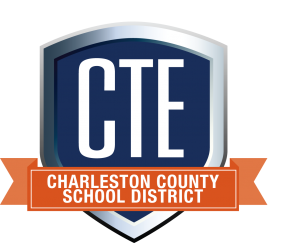 Charleston County School District CTE programs are best when business partners and educators collaborate! 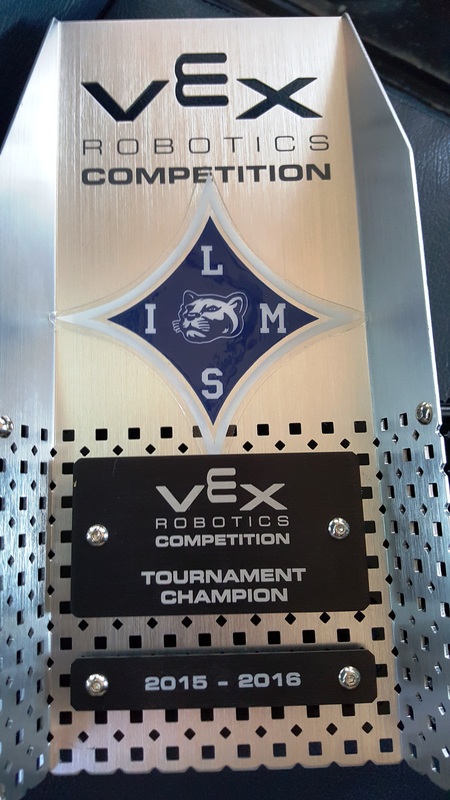 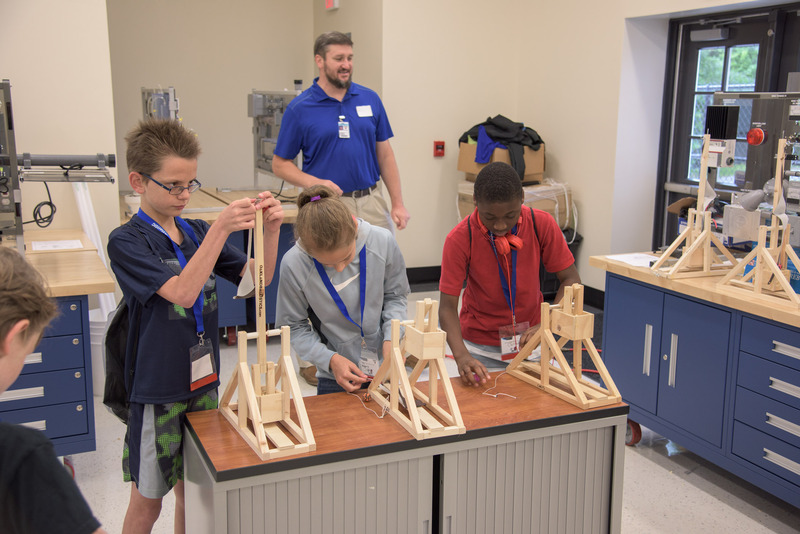 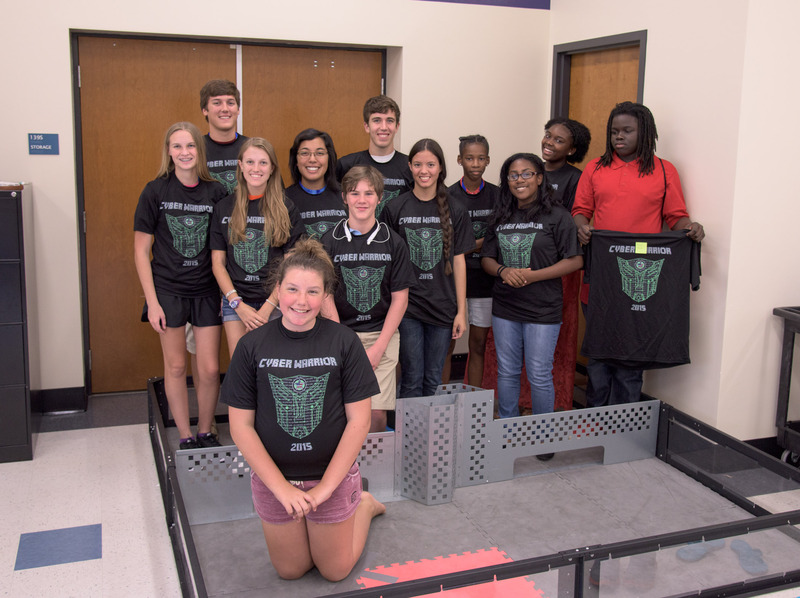 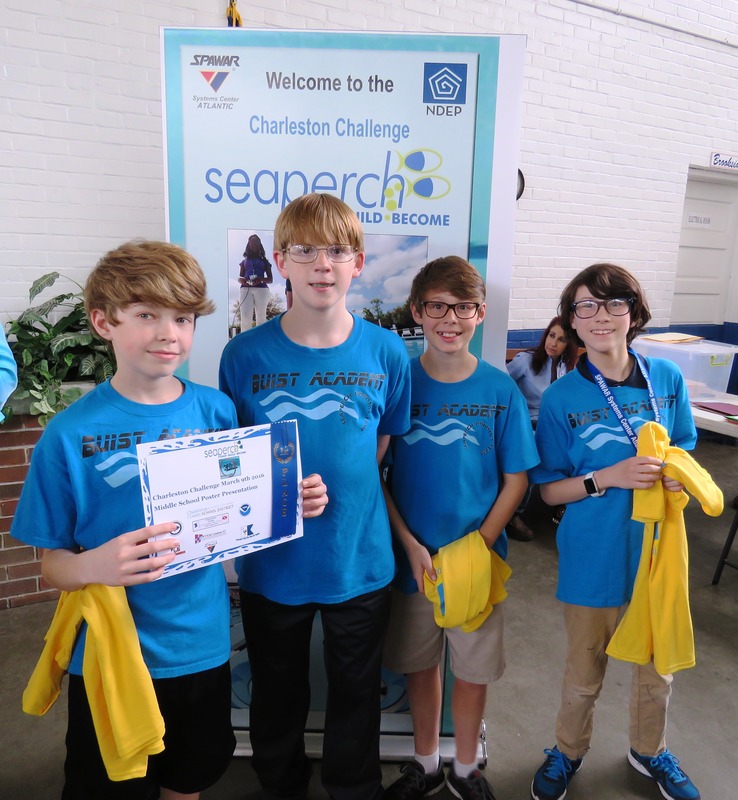 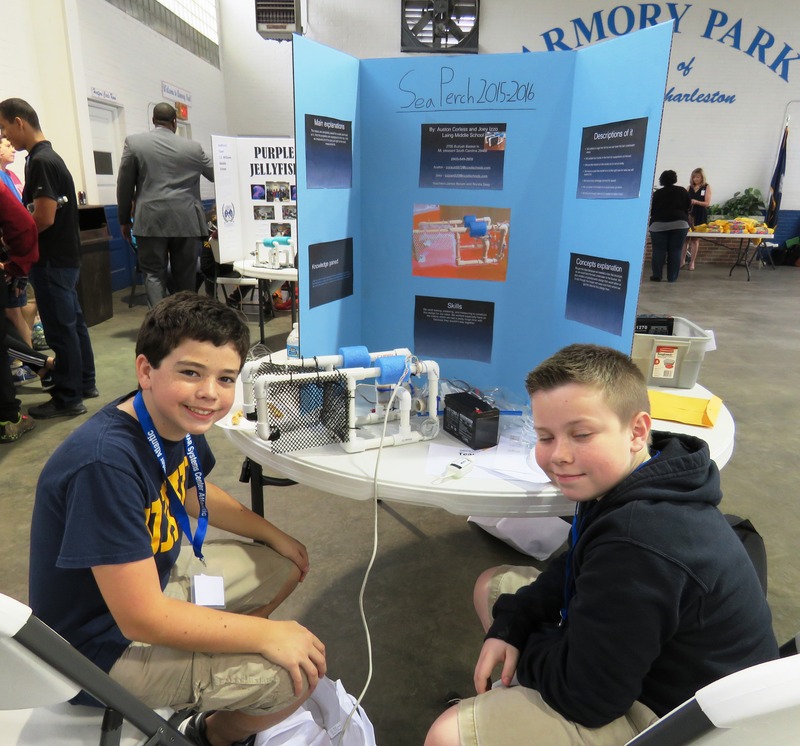 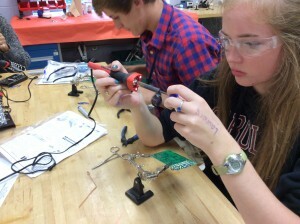 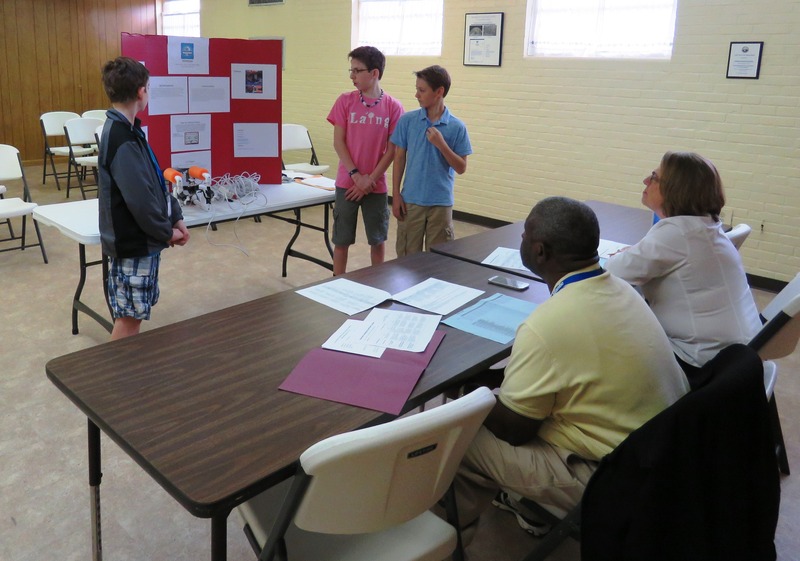 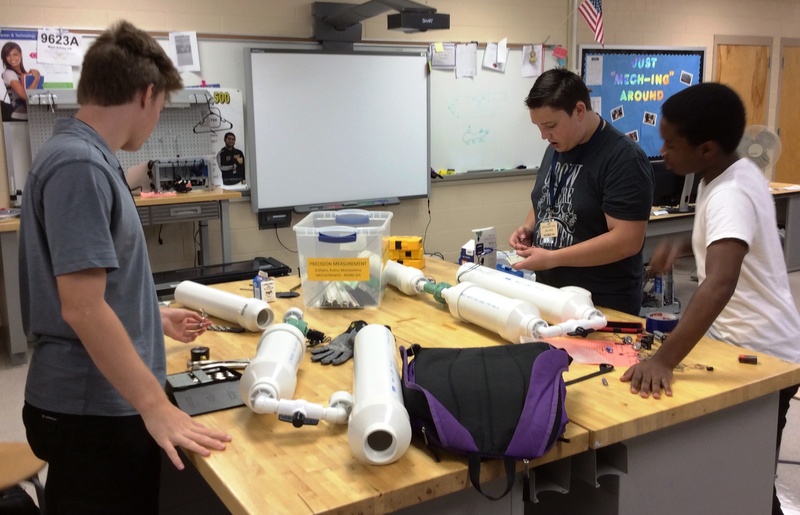 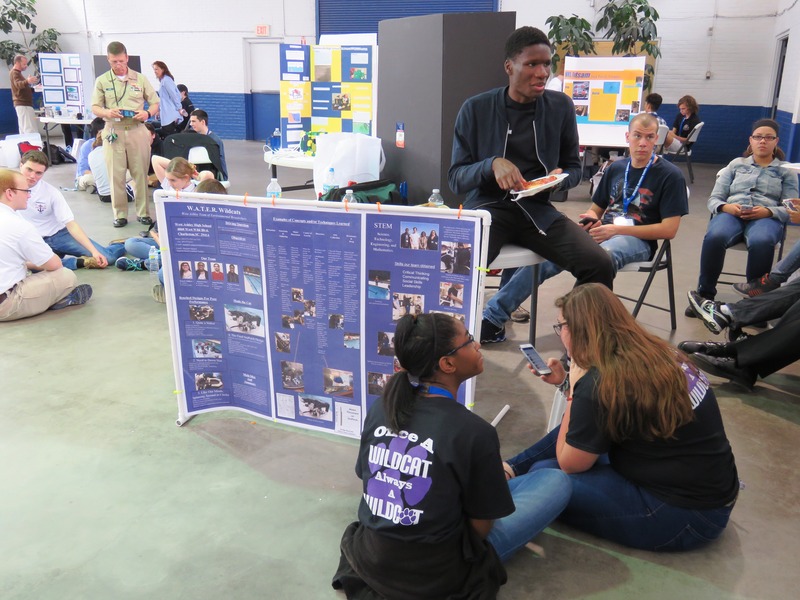 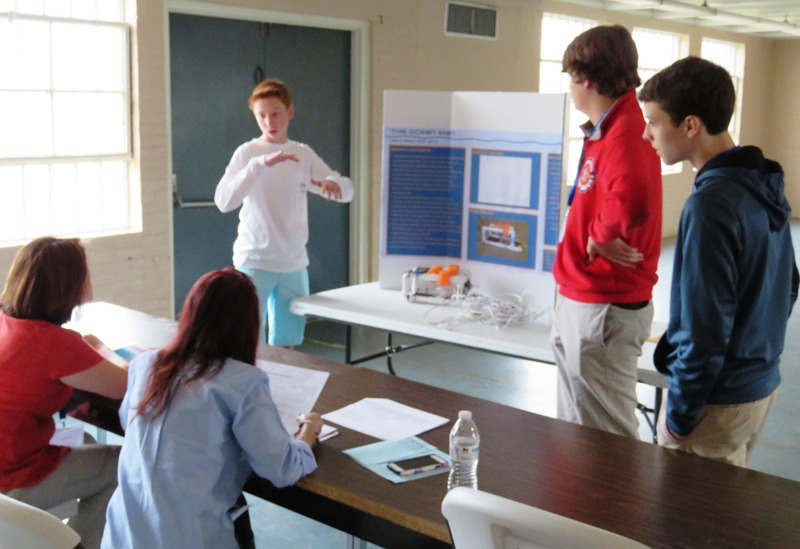 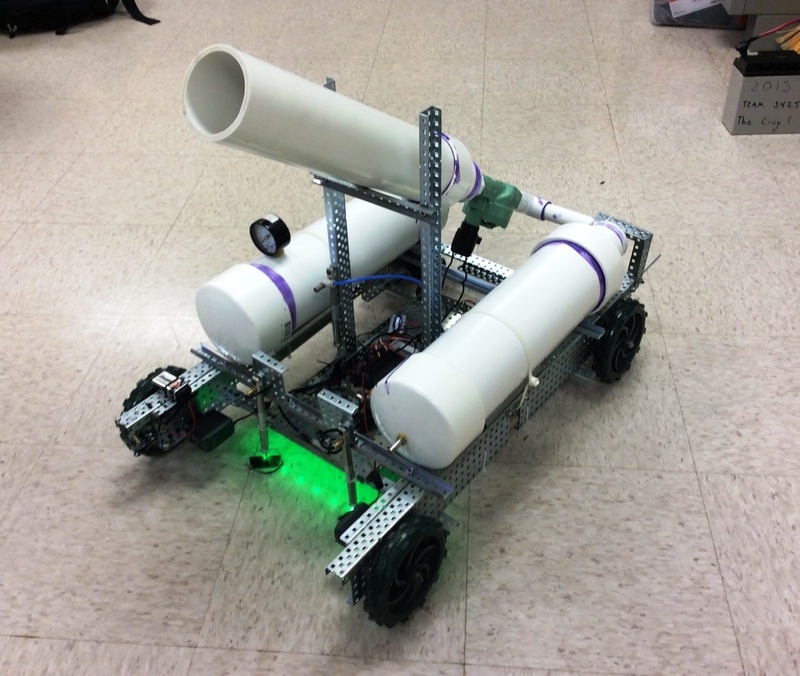 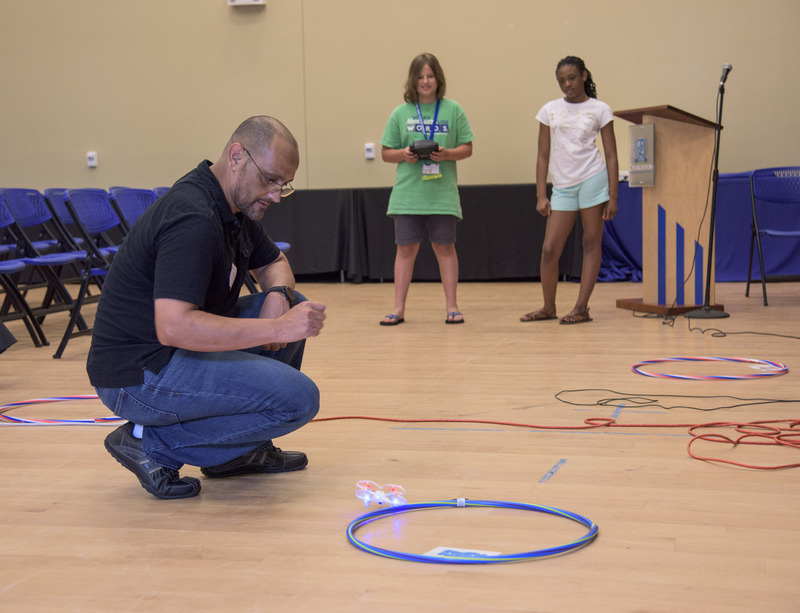 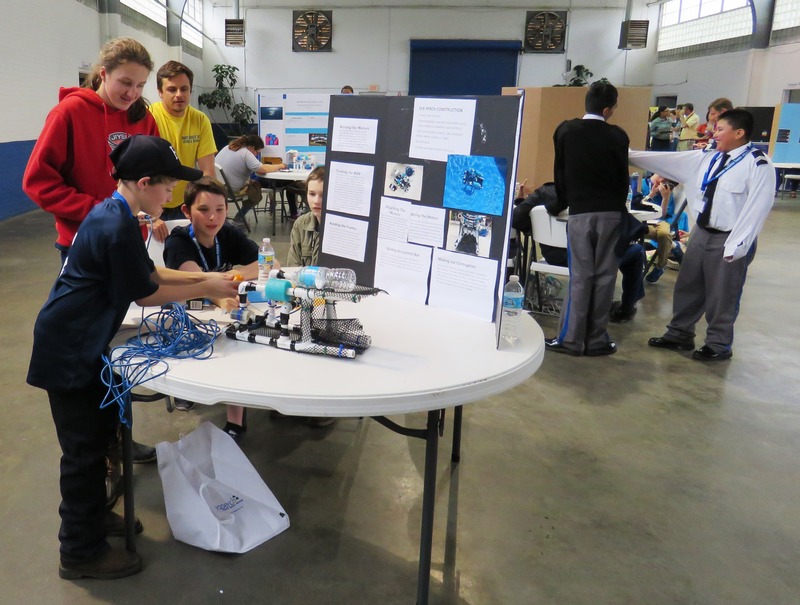 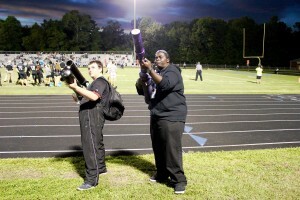 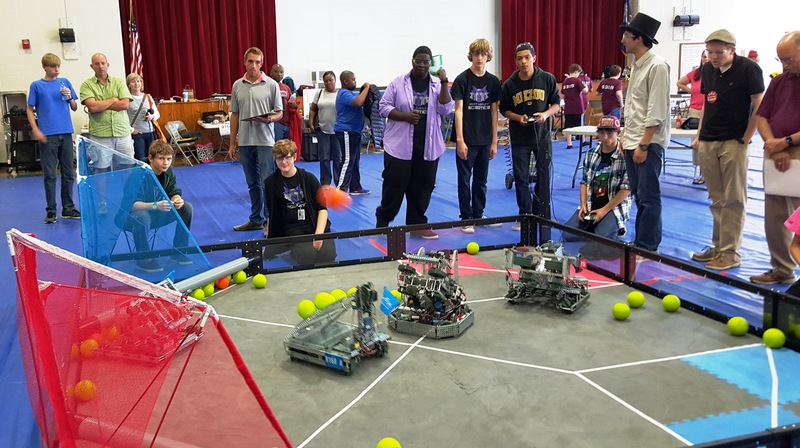 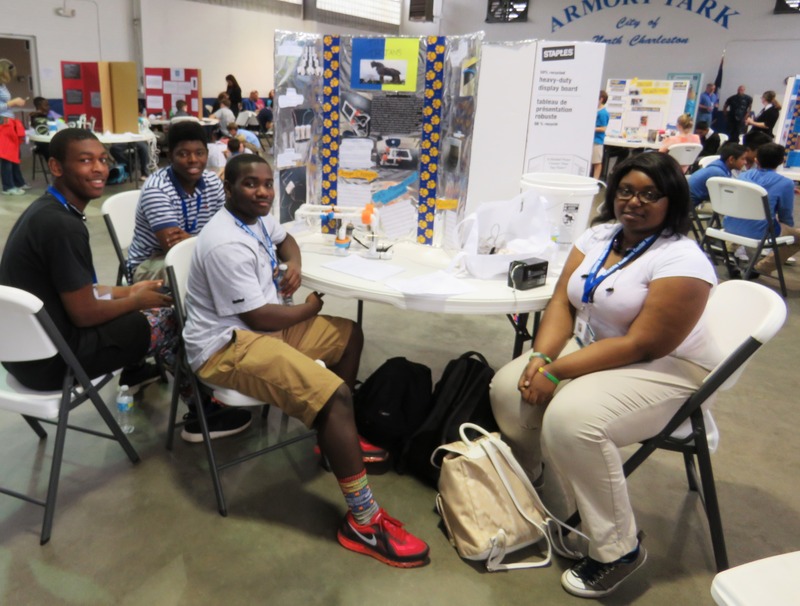 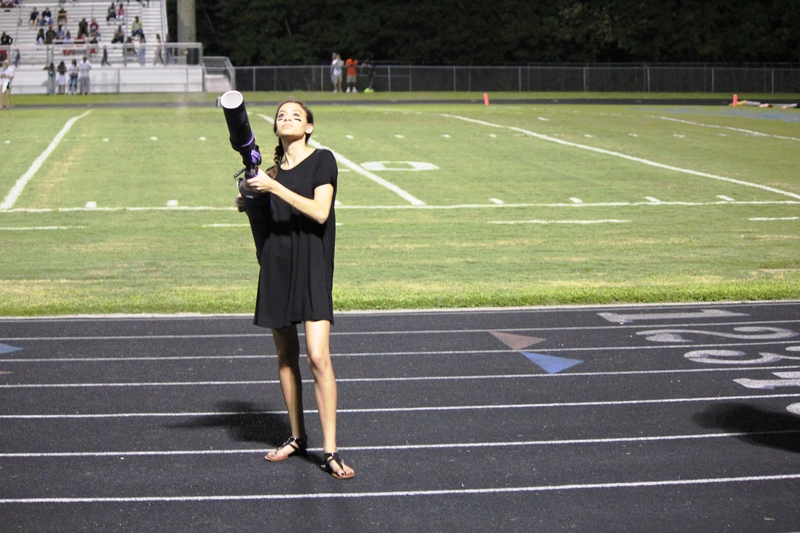 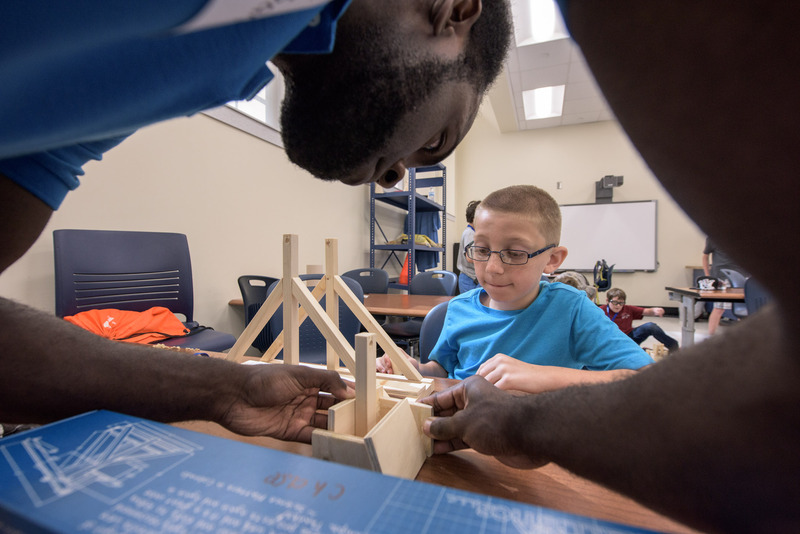 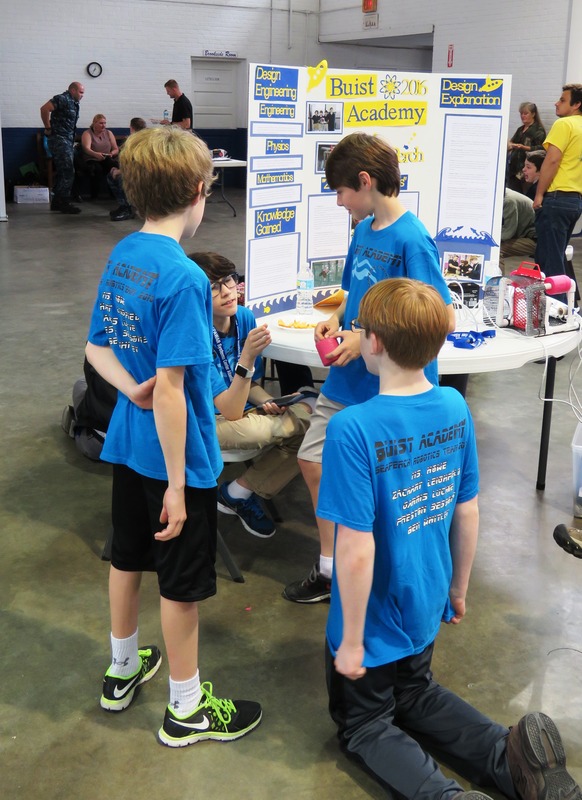 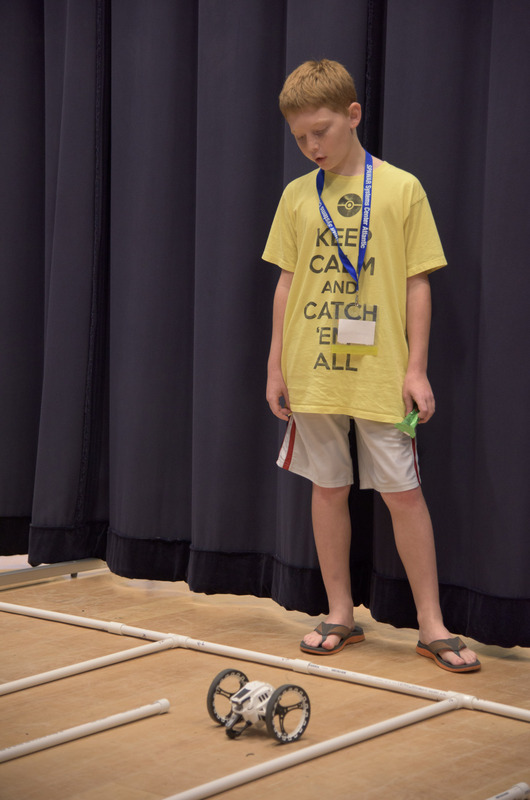 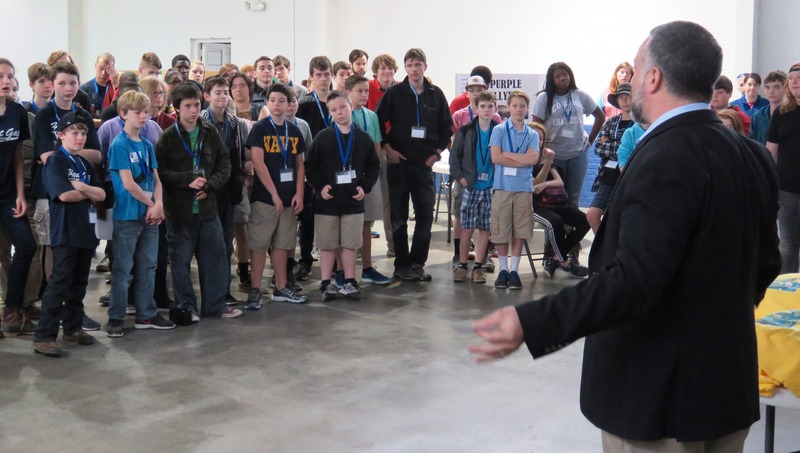 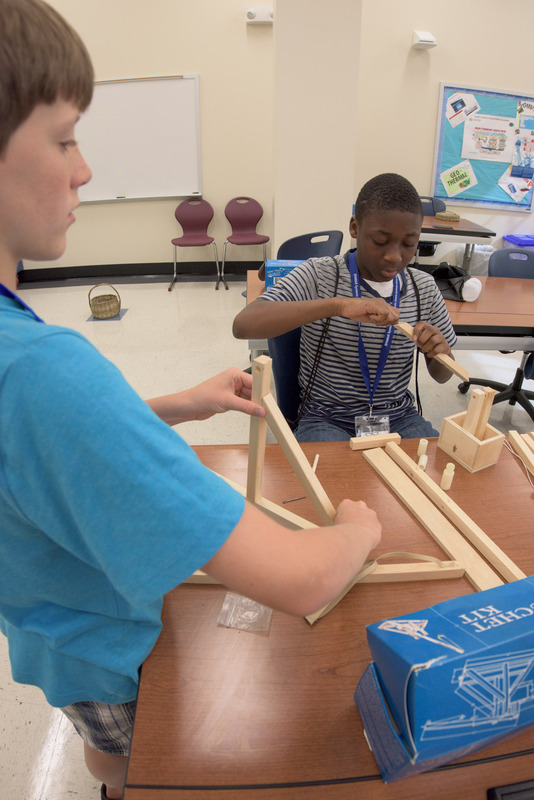 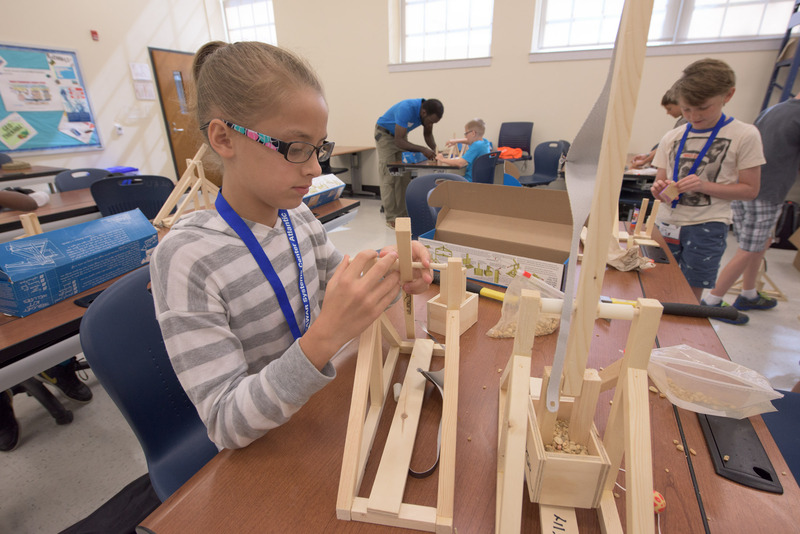 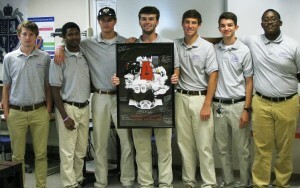 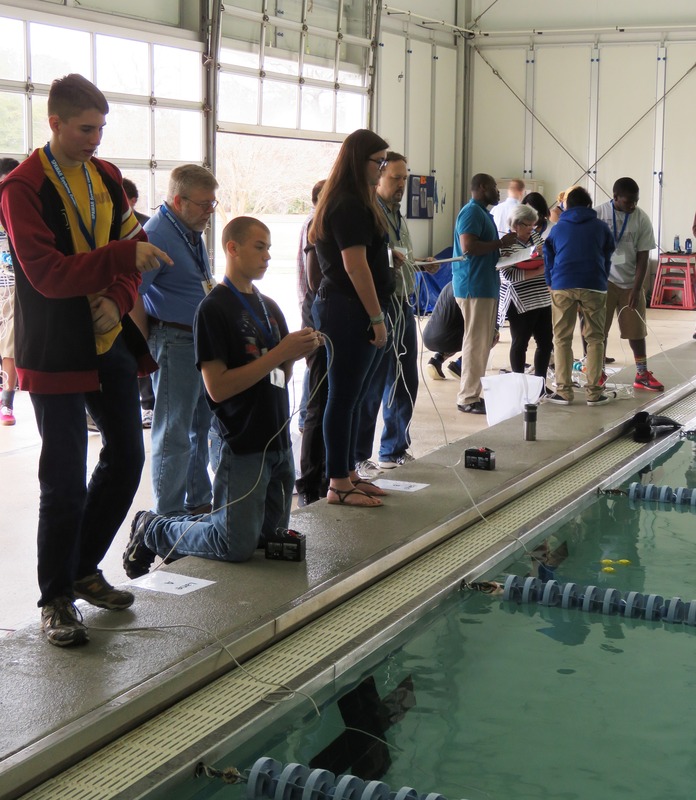 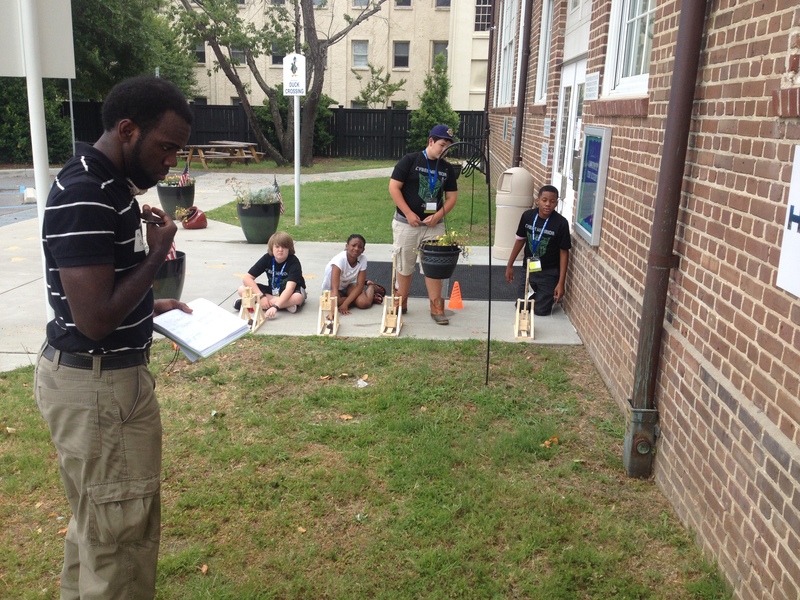 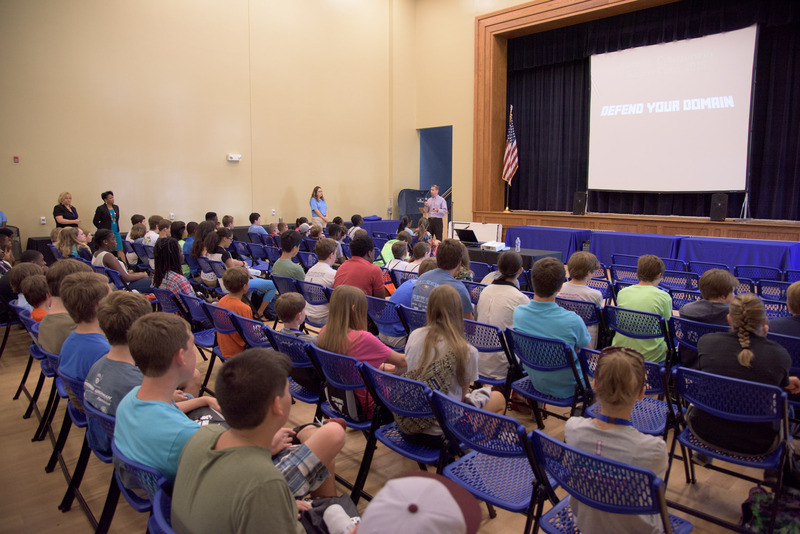 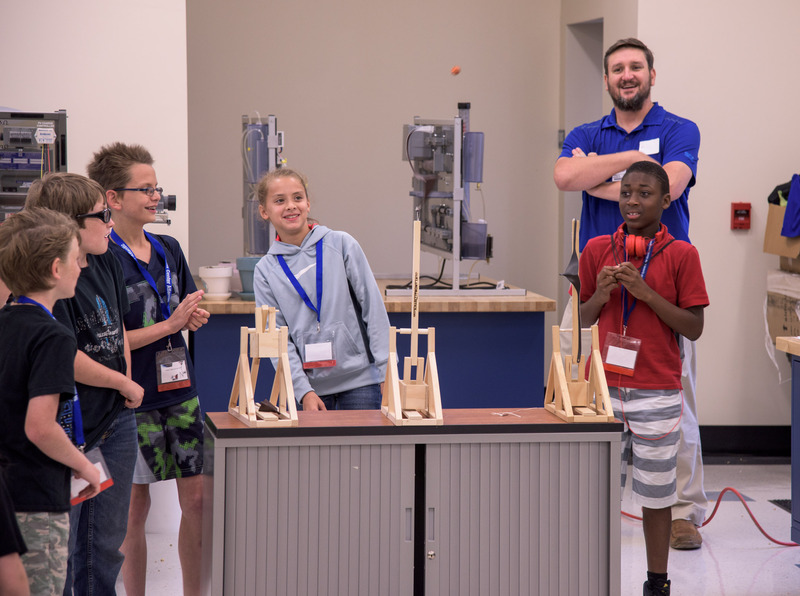 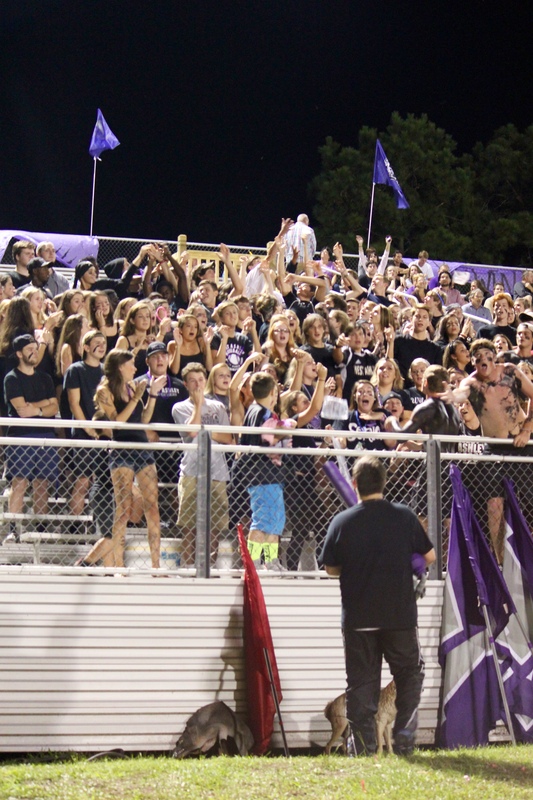 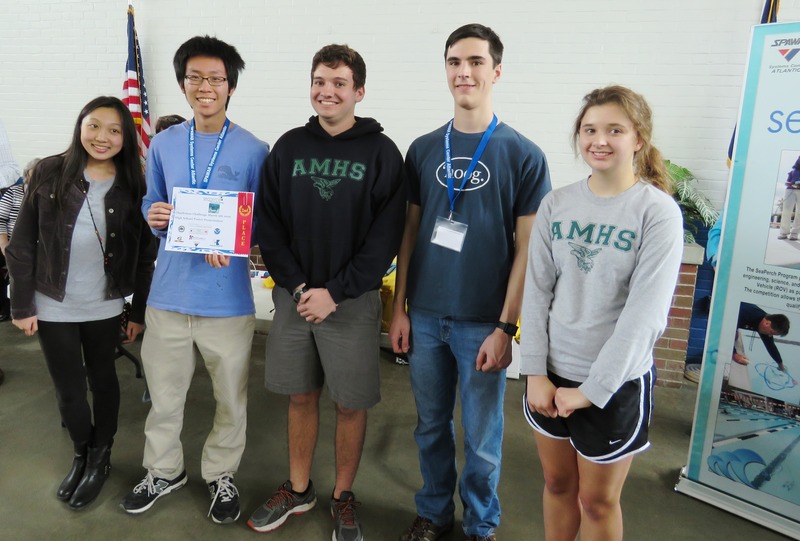 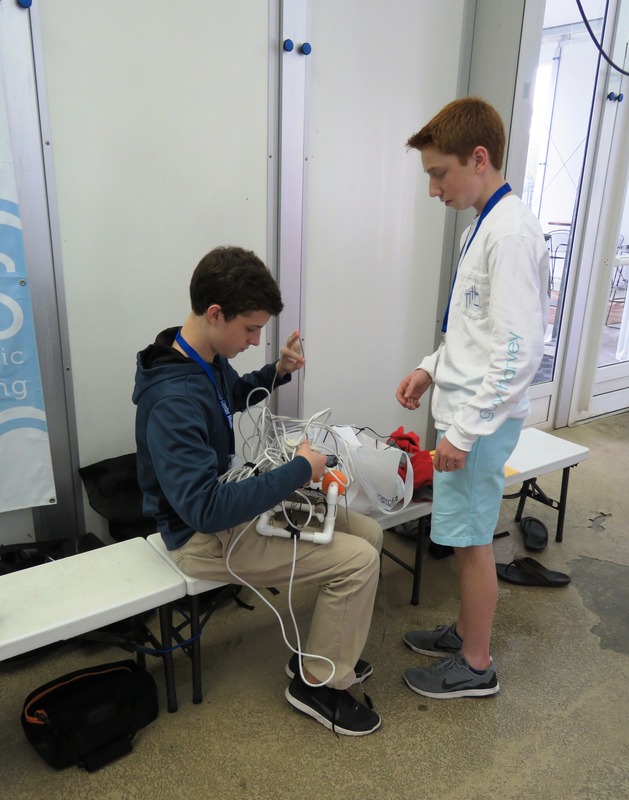 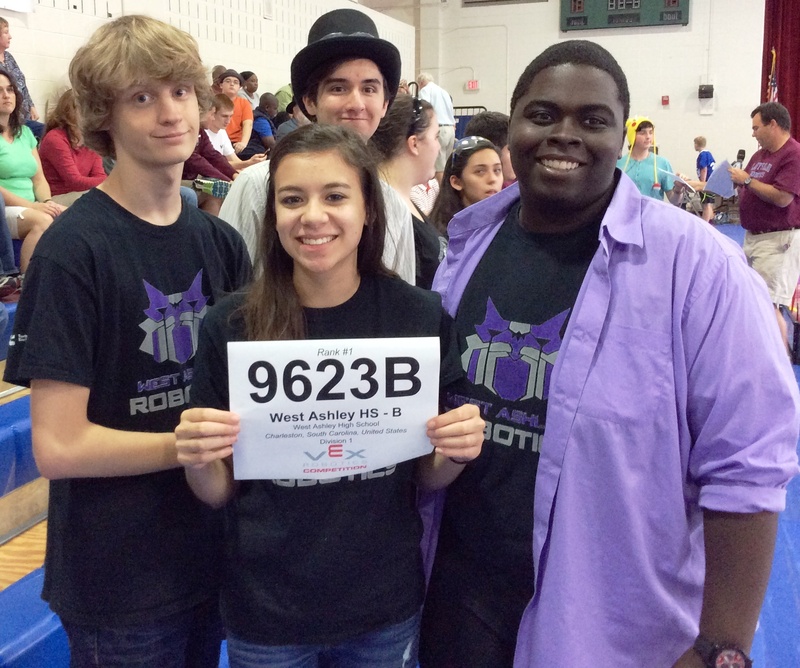 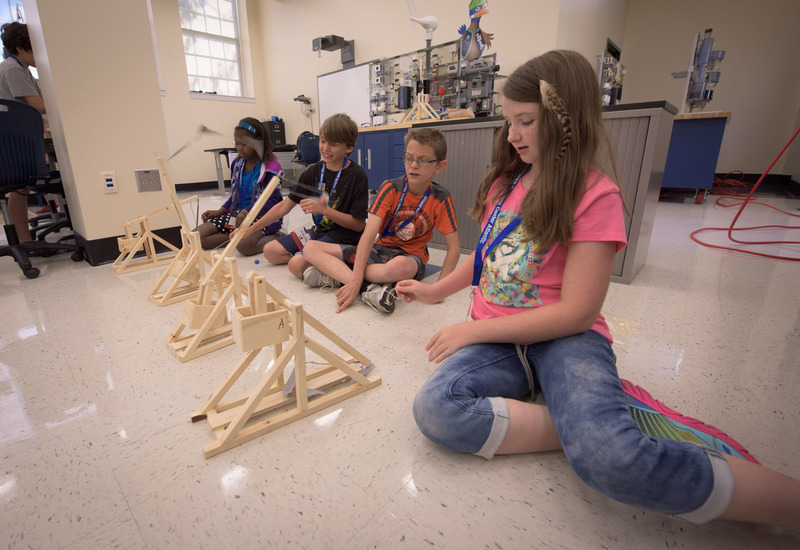 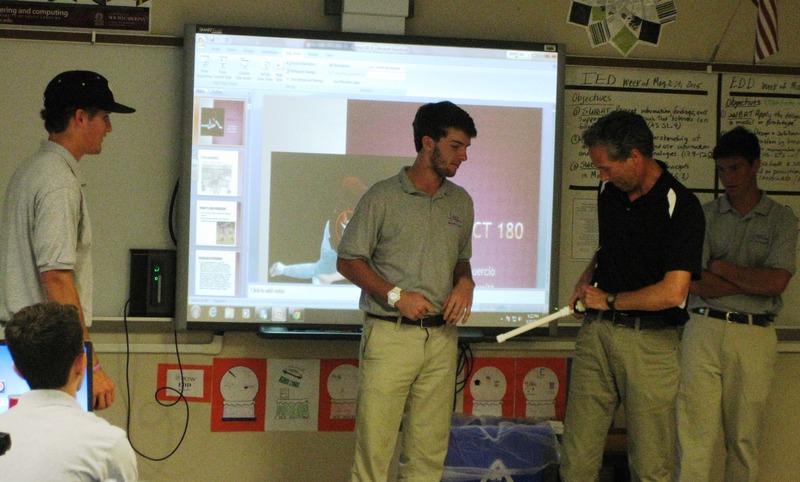 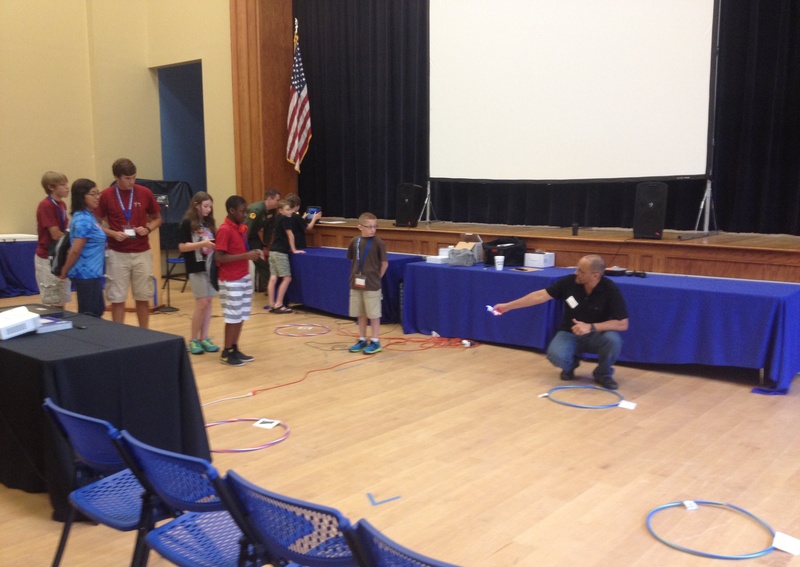 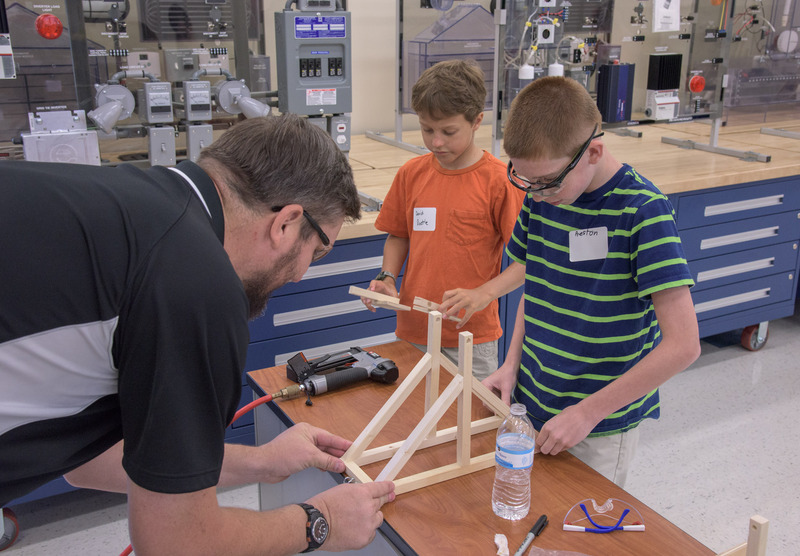 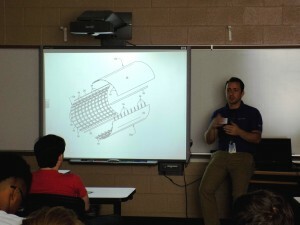 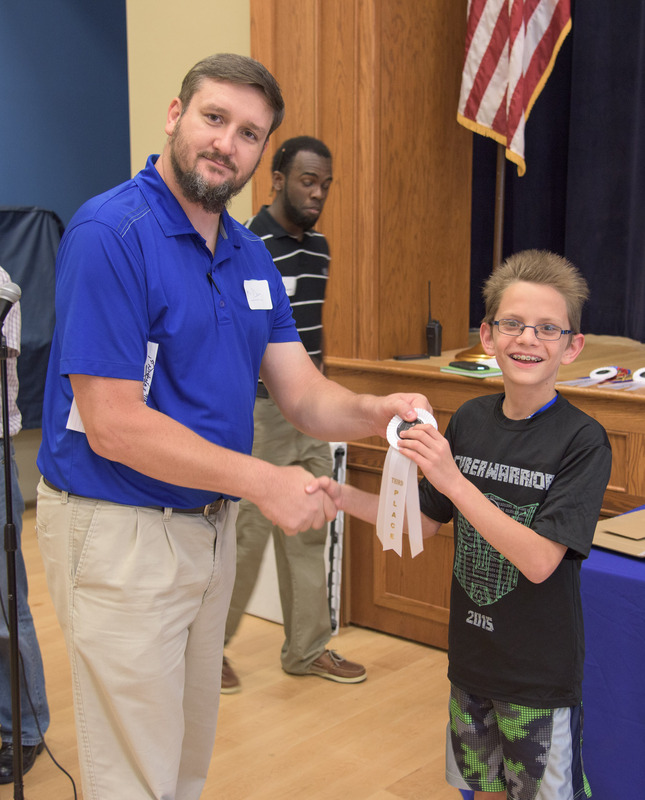 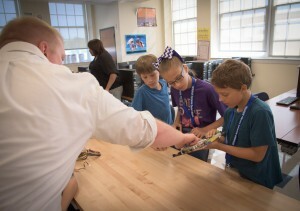 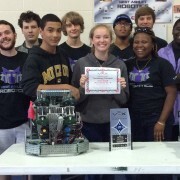 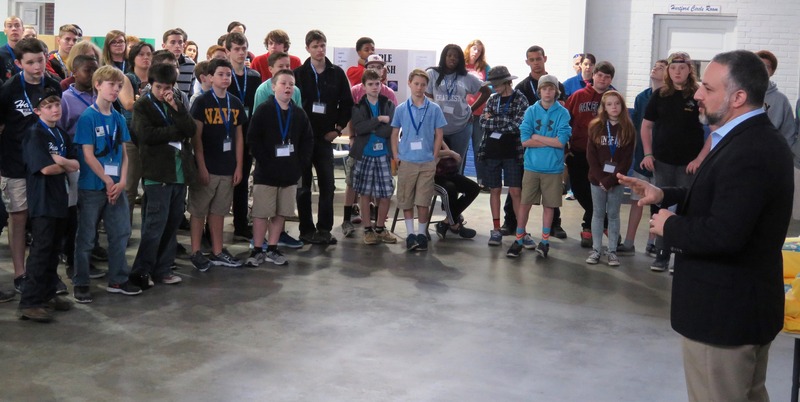 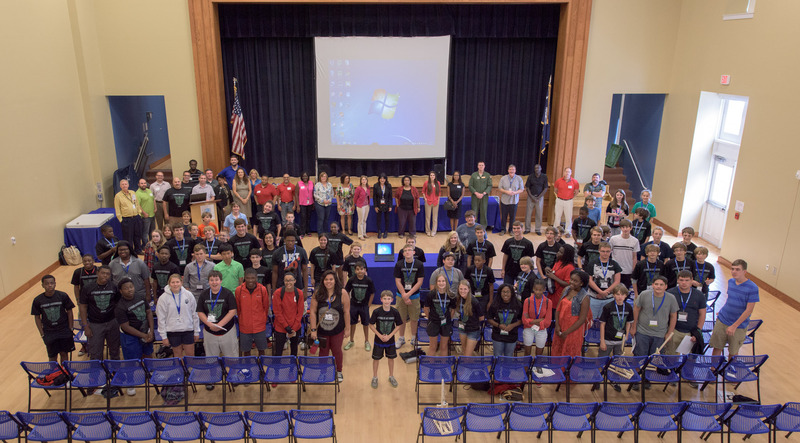 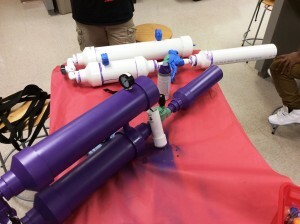 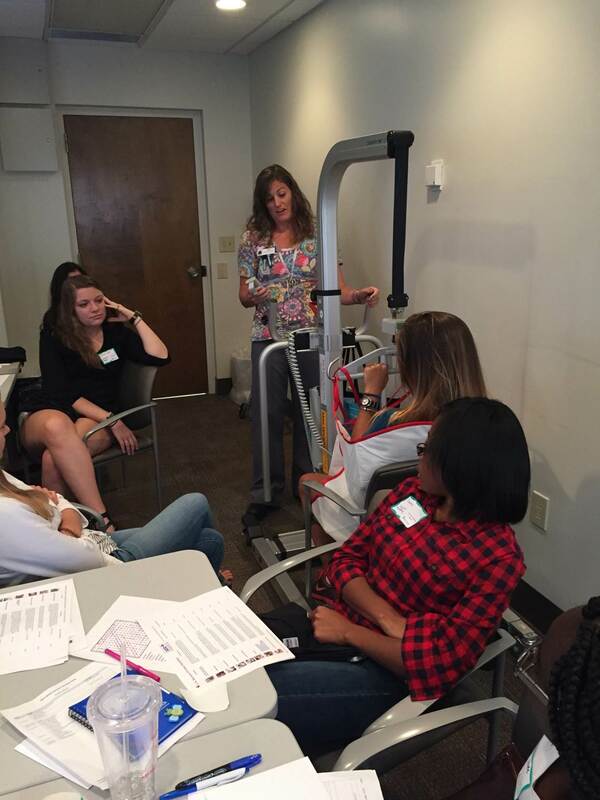 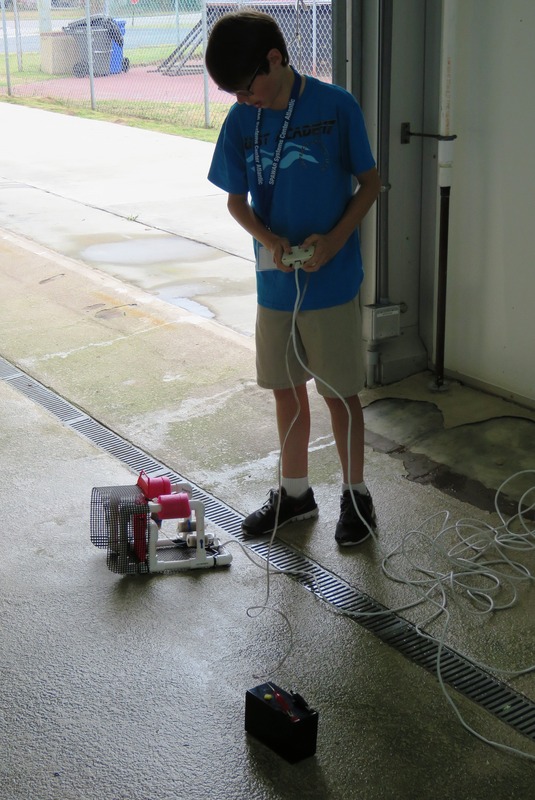 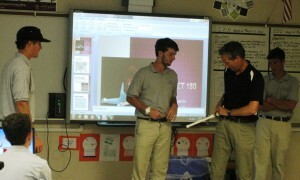 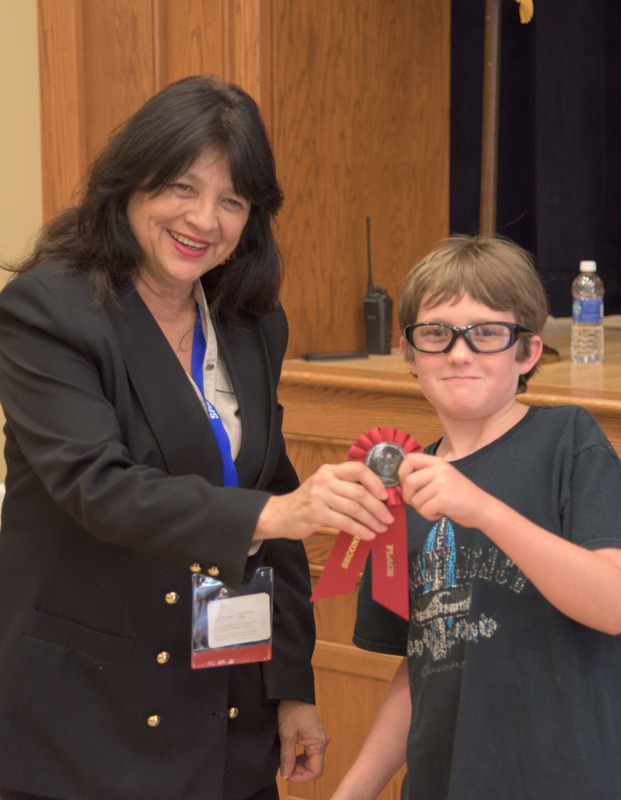 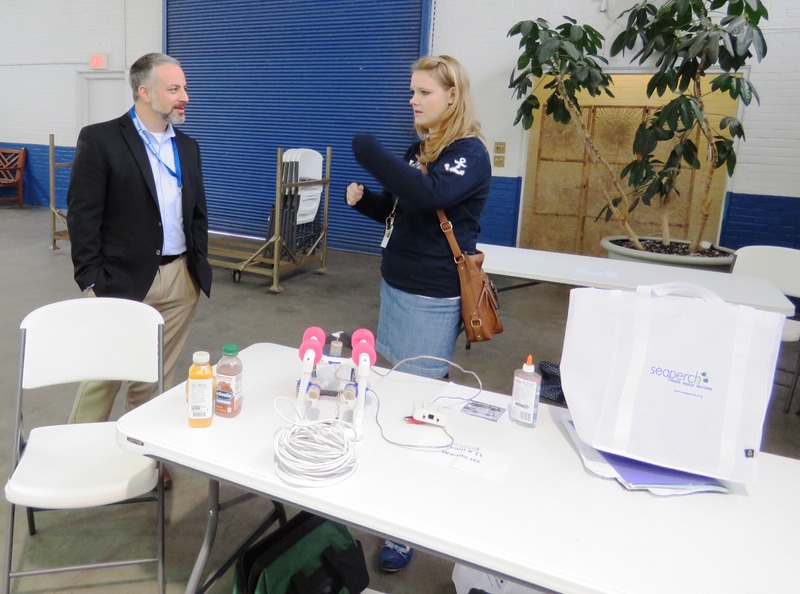 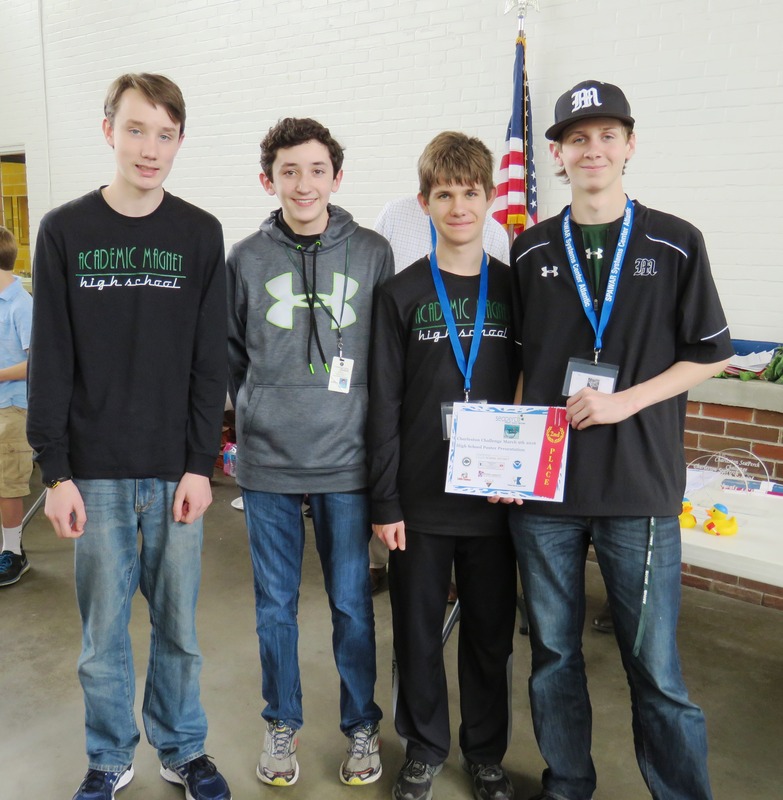 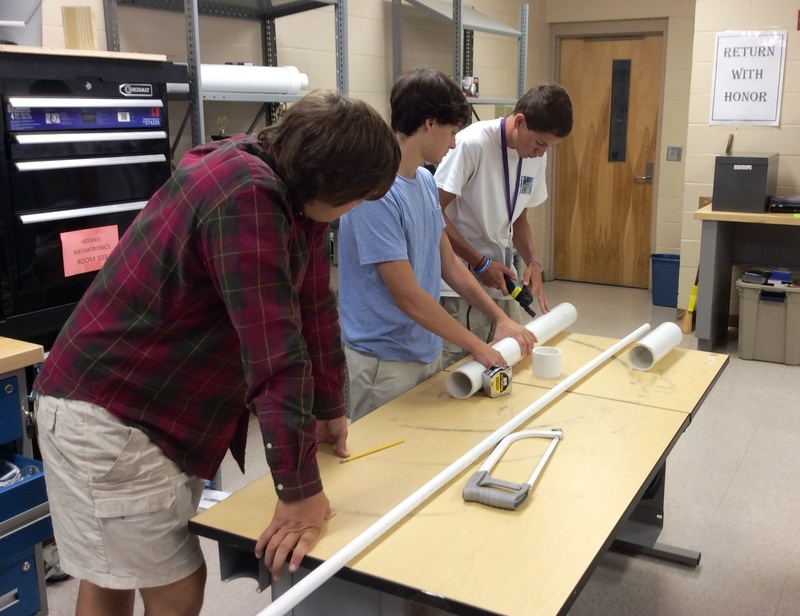 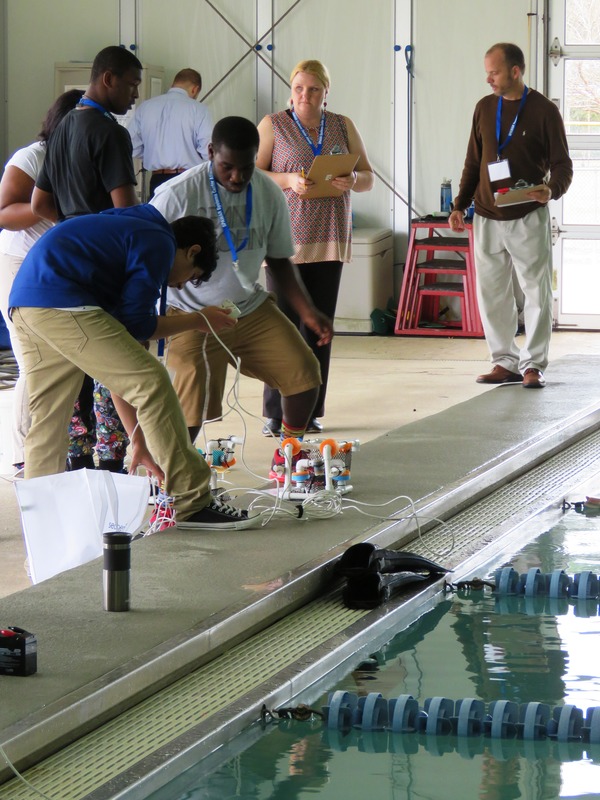 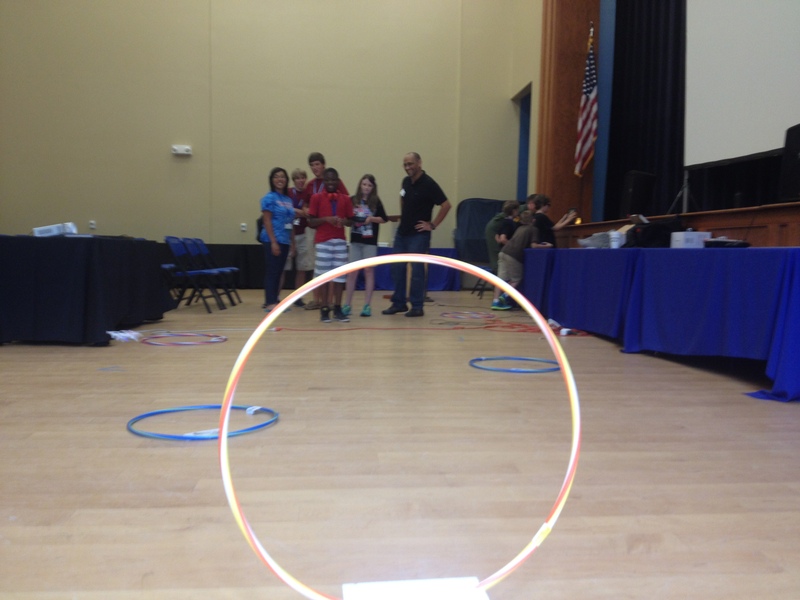 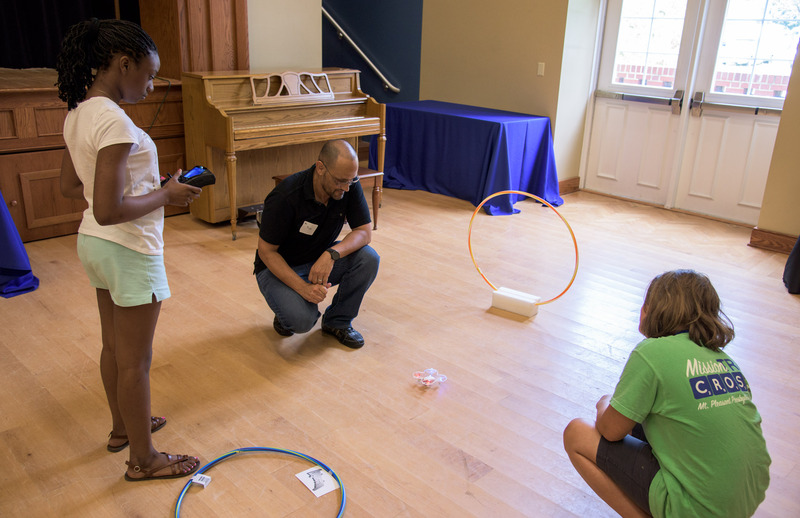 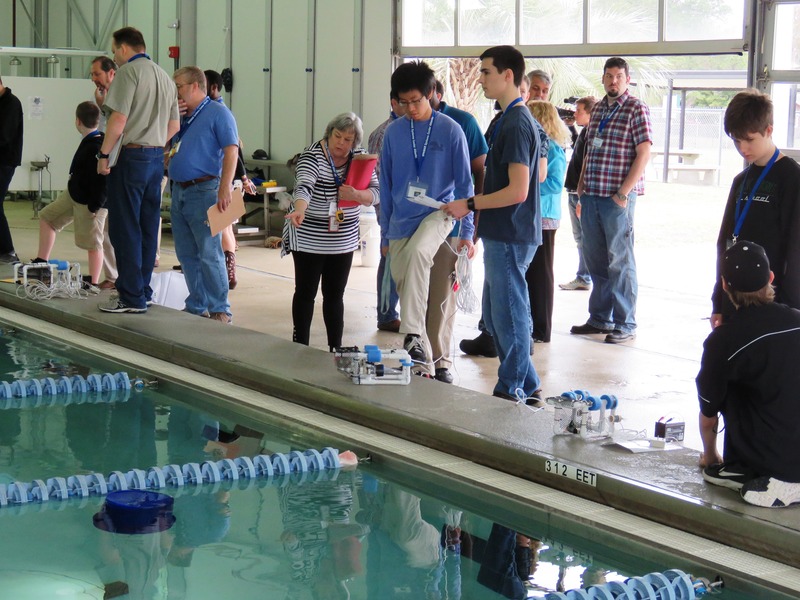 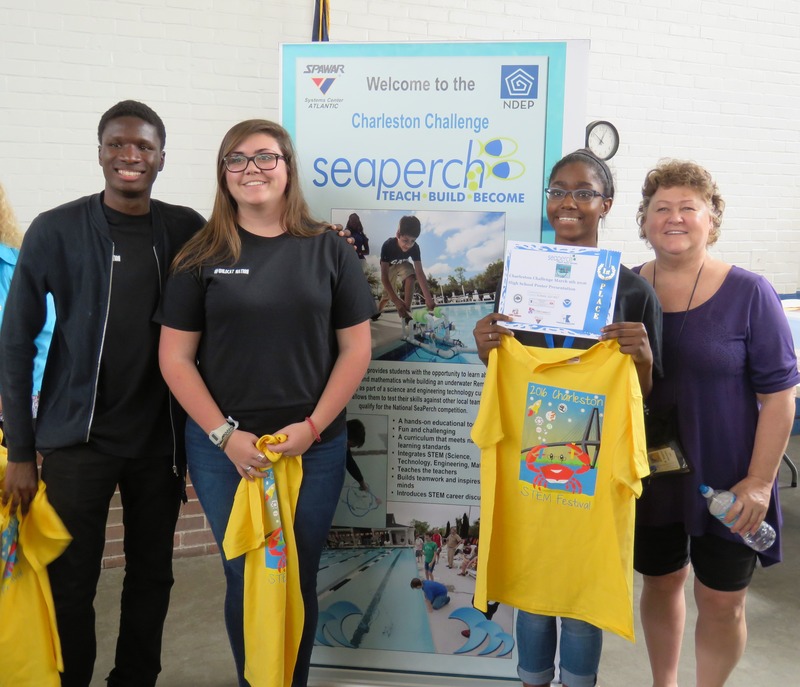 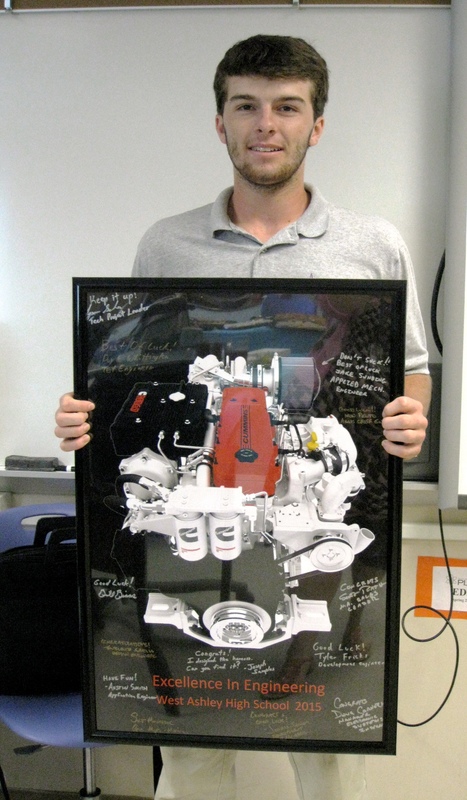 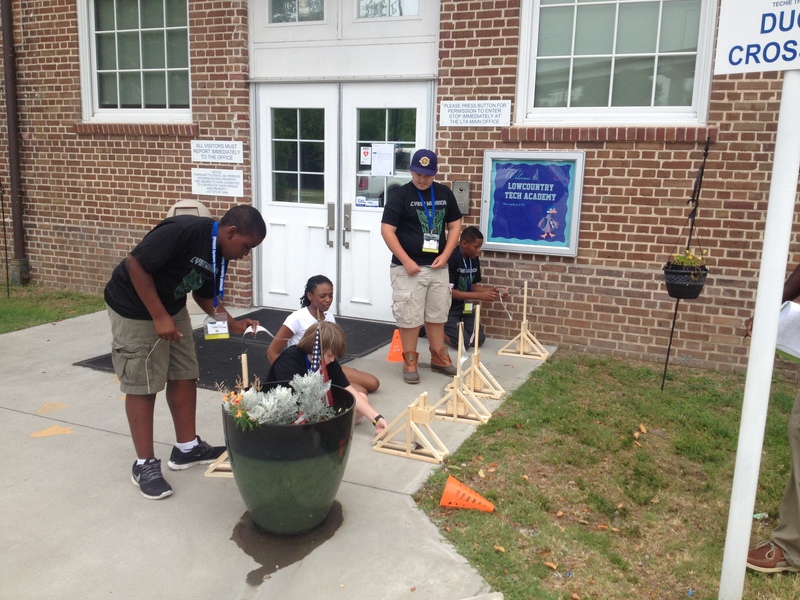 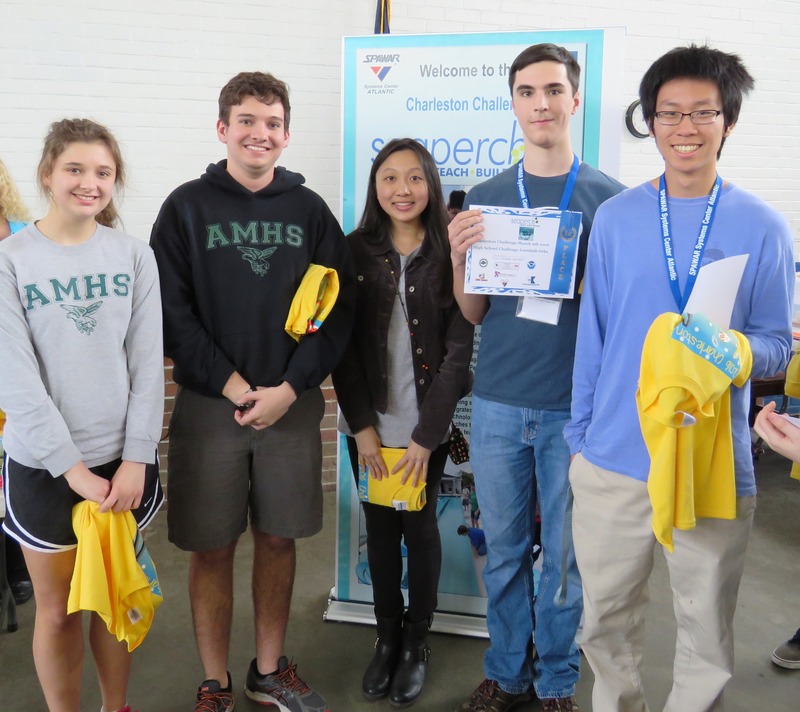 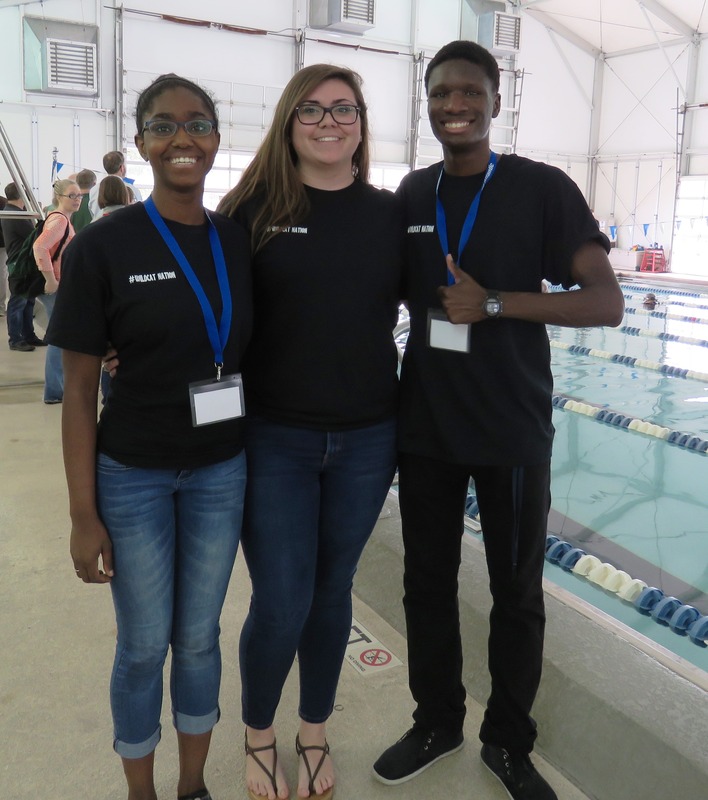 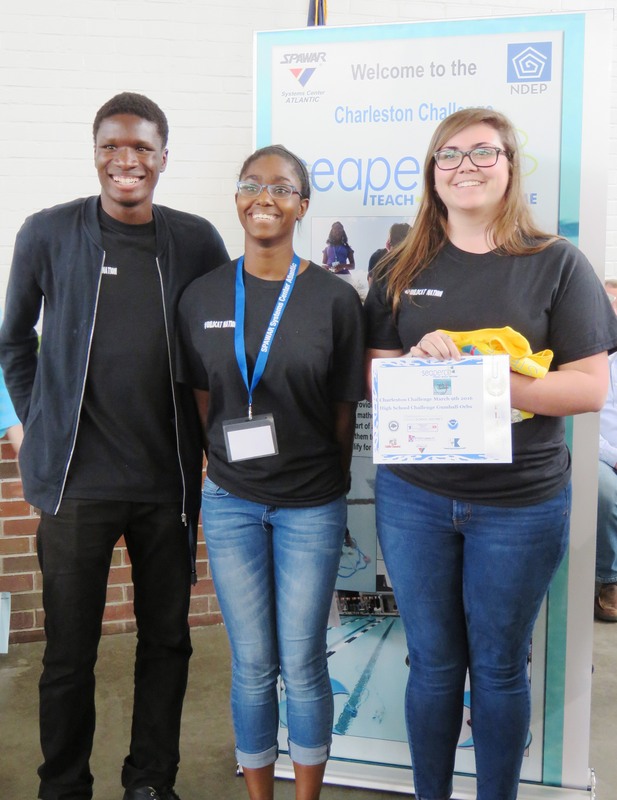 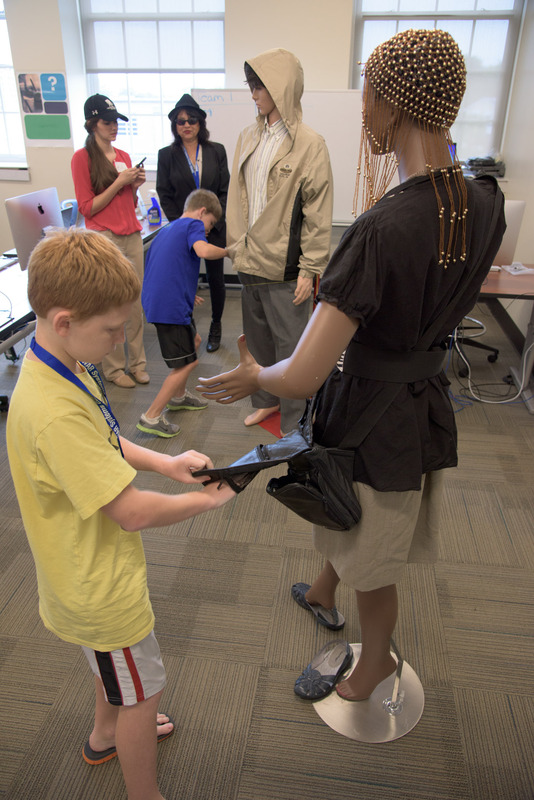 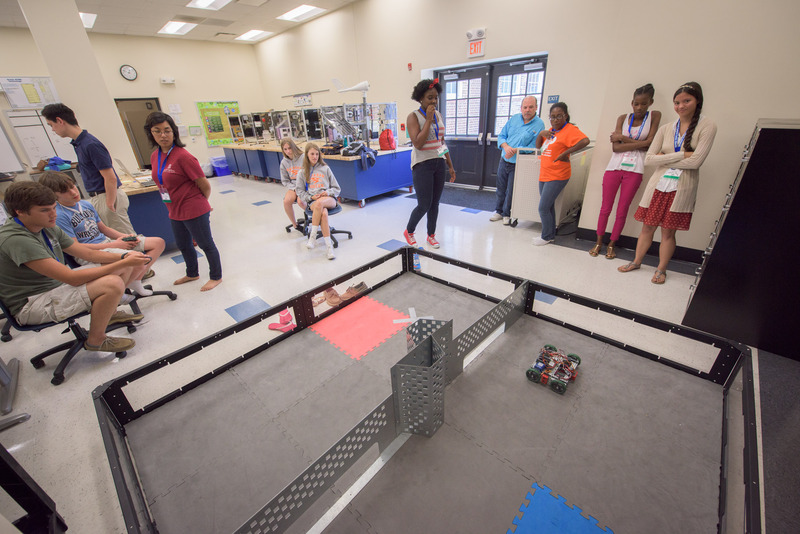 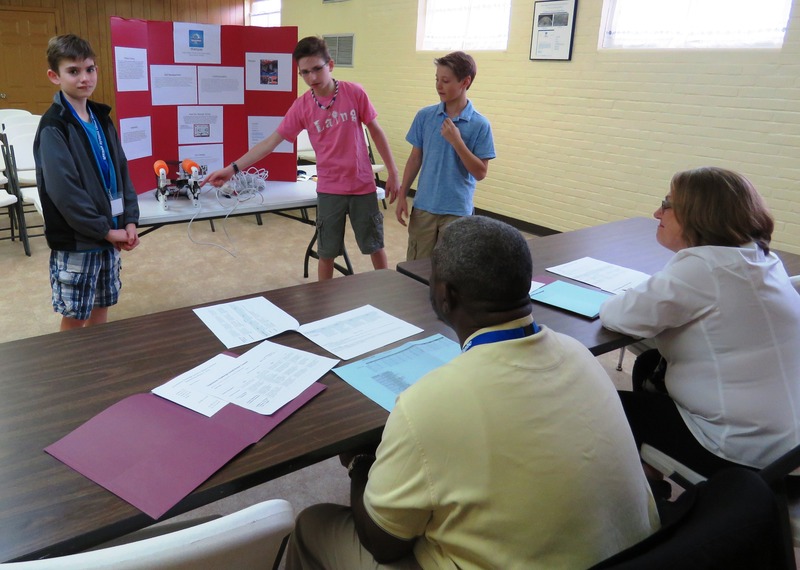 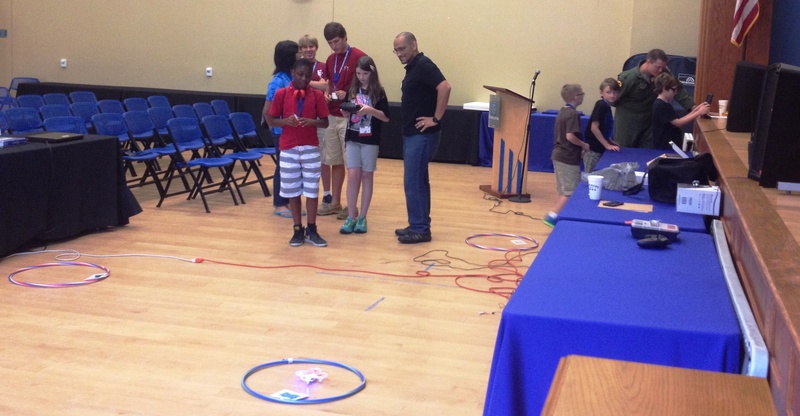 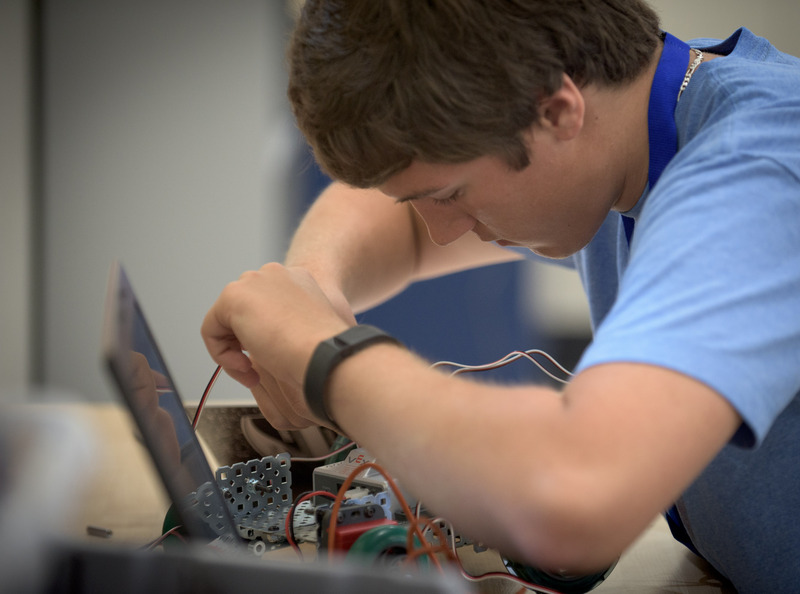 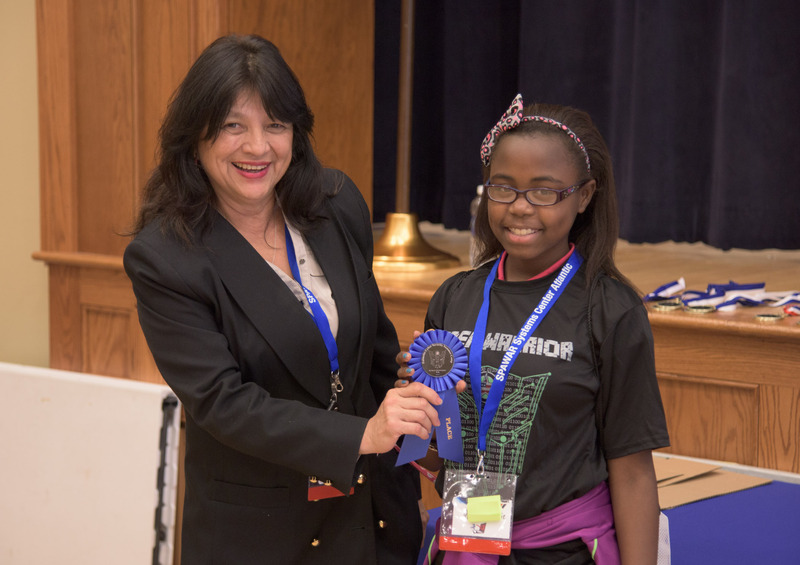 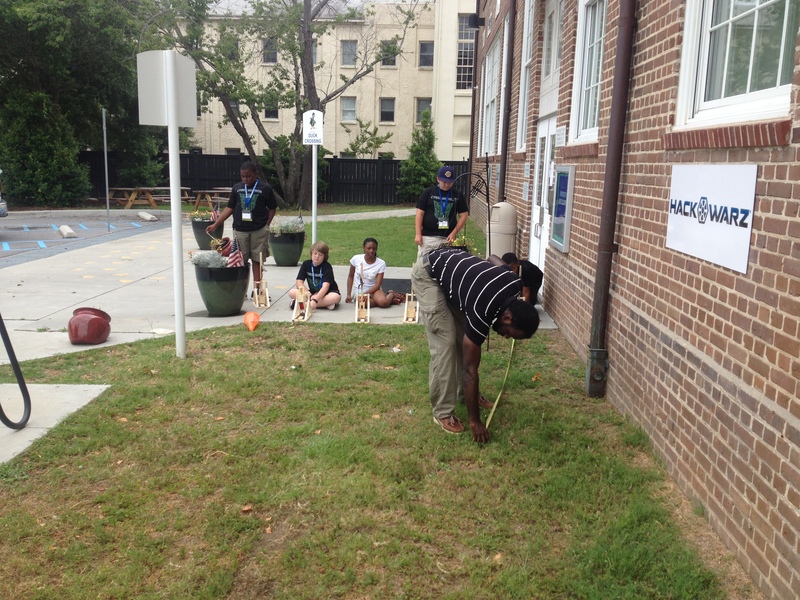 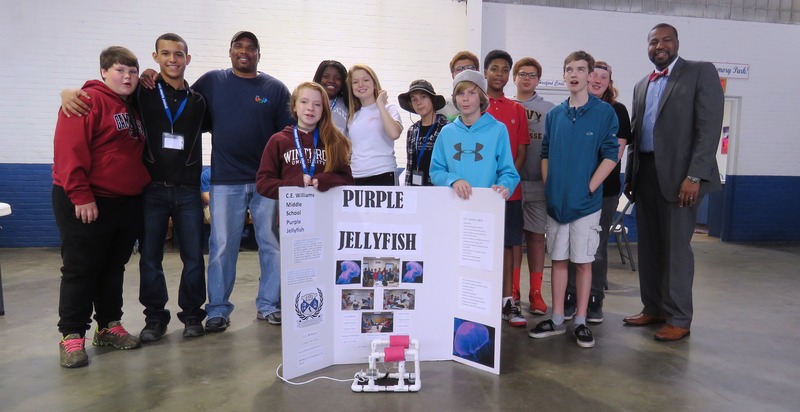 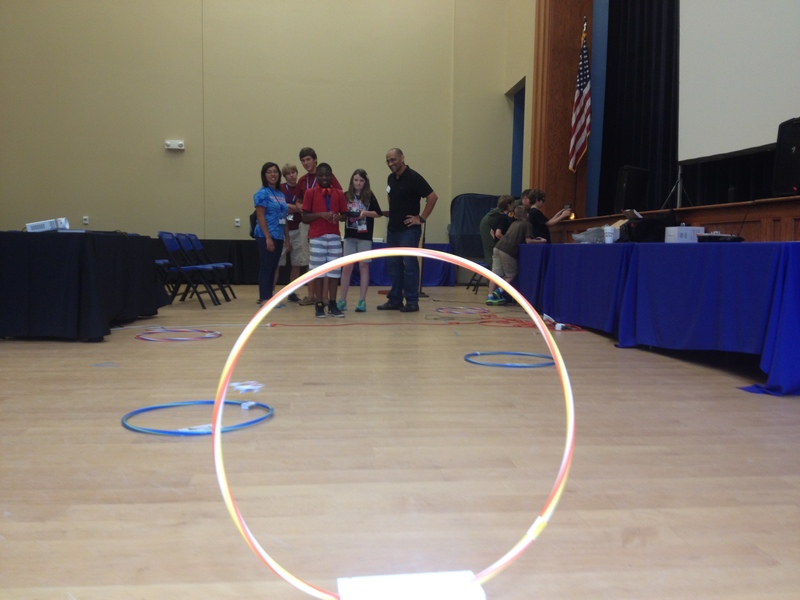 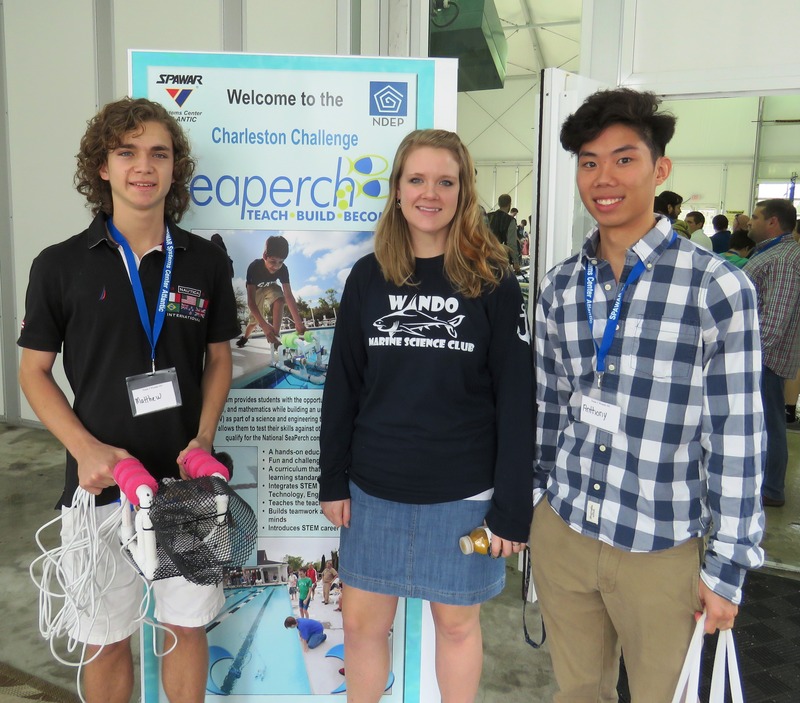 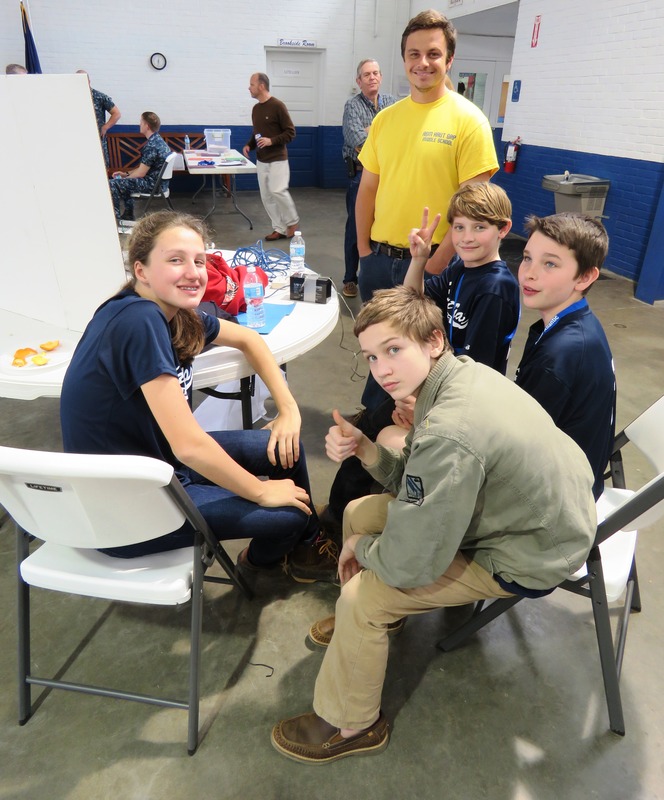 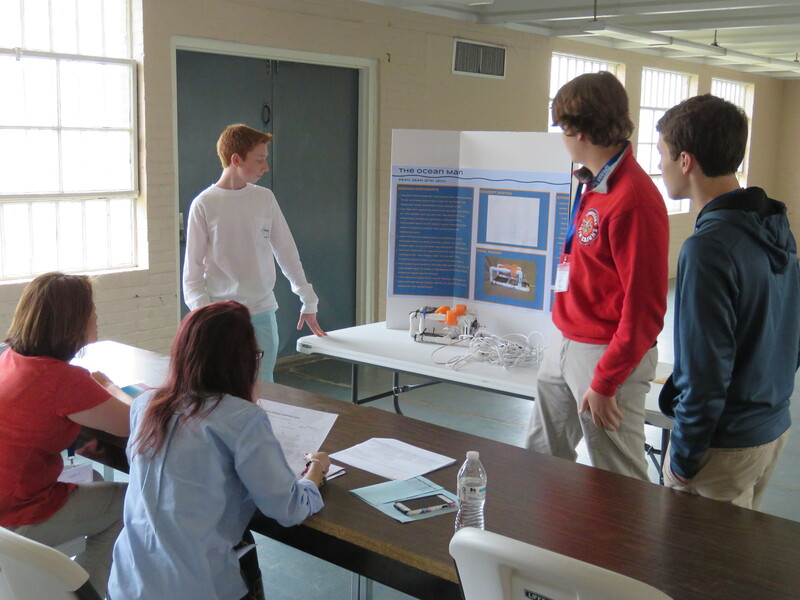 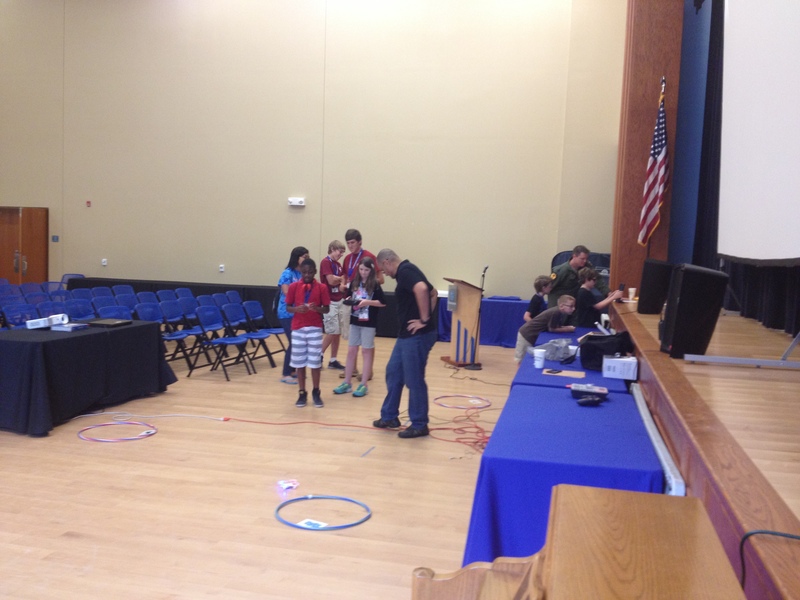 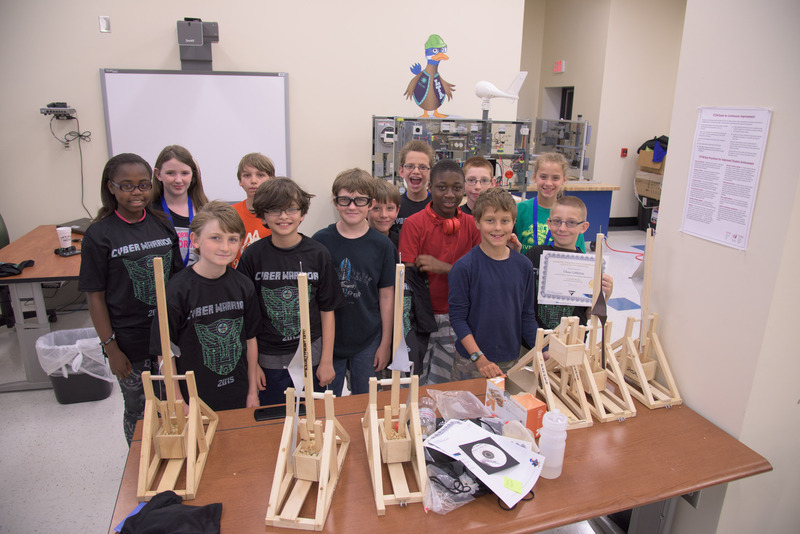 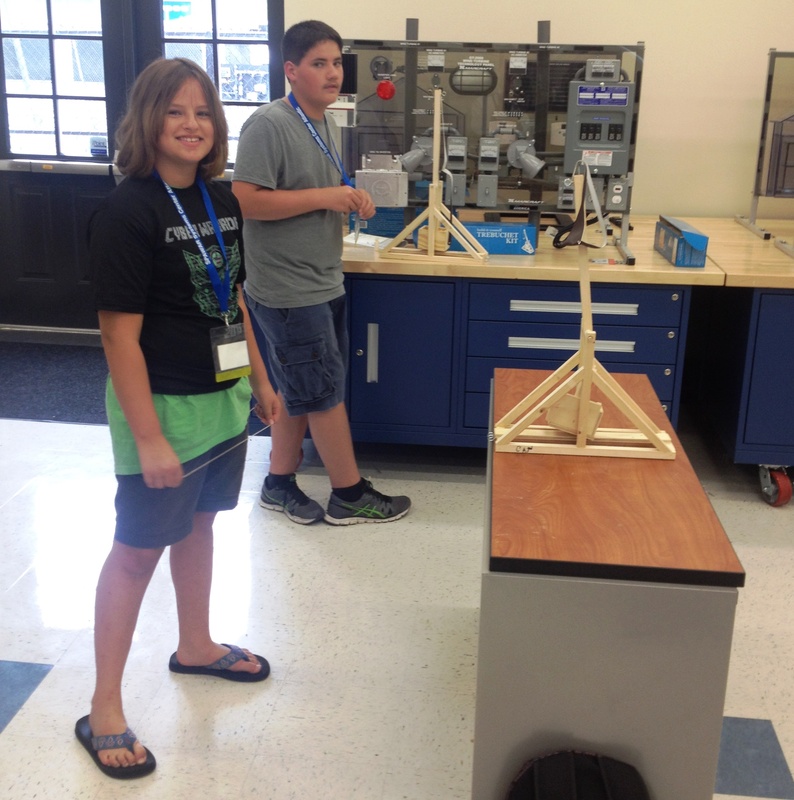 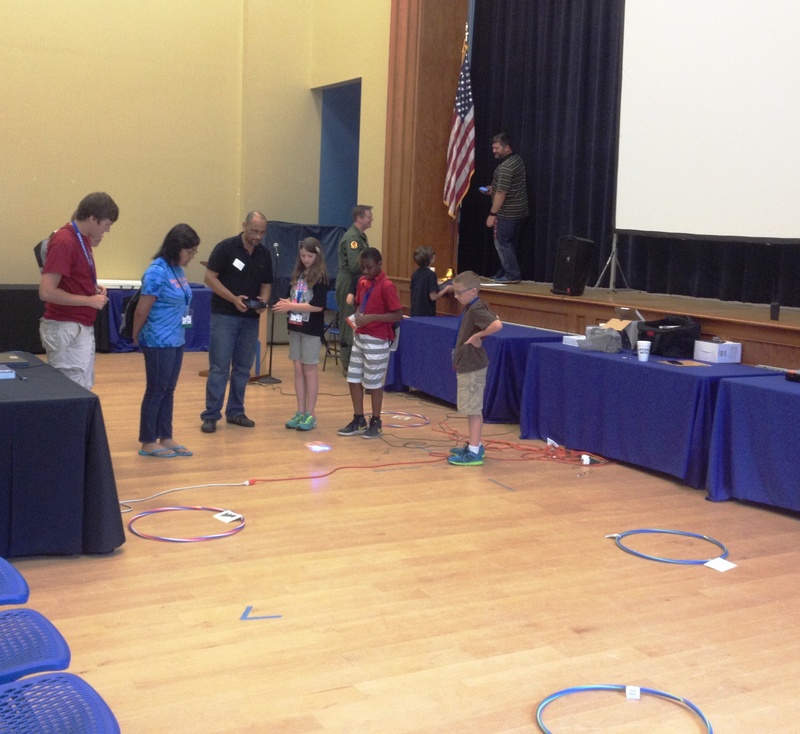 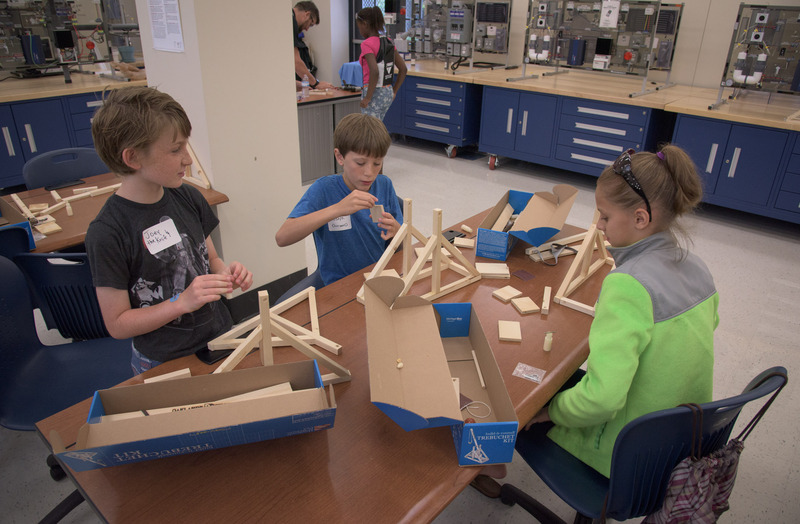 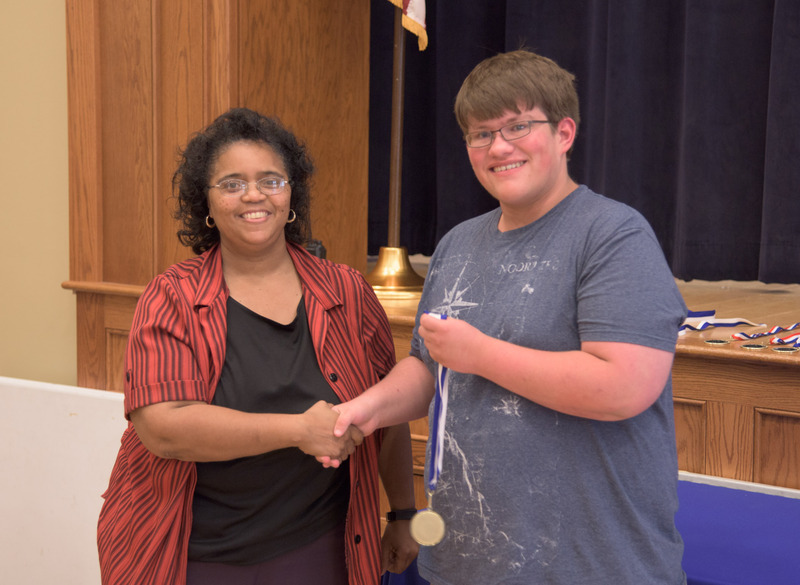 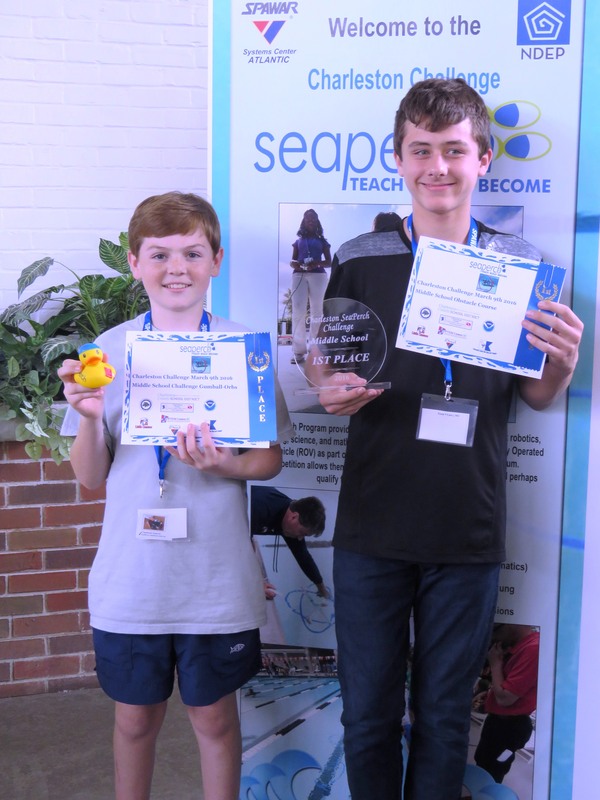 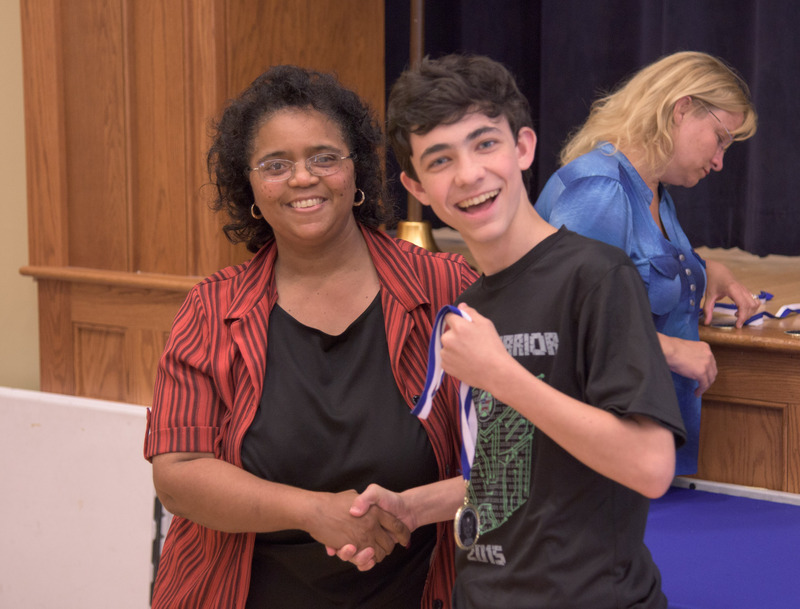 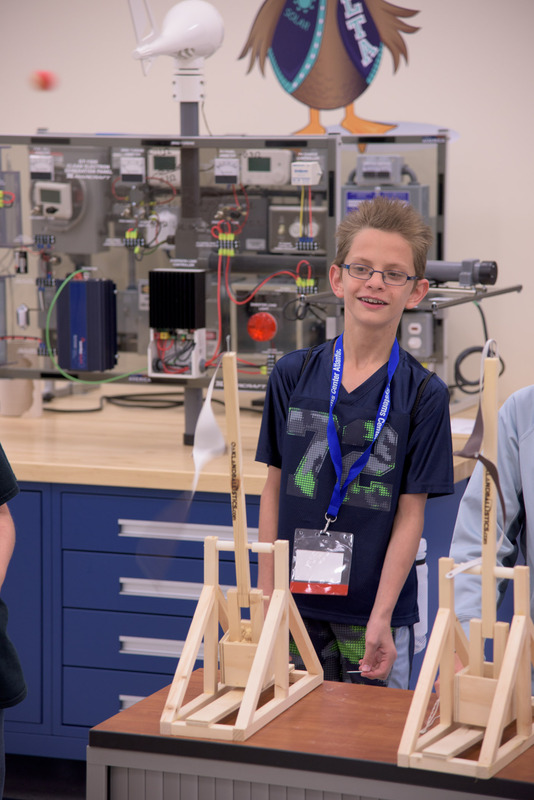 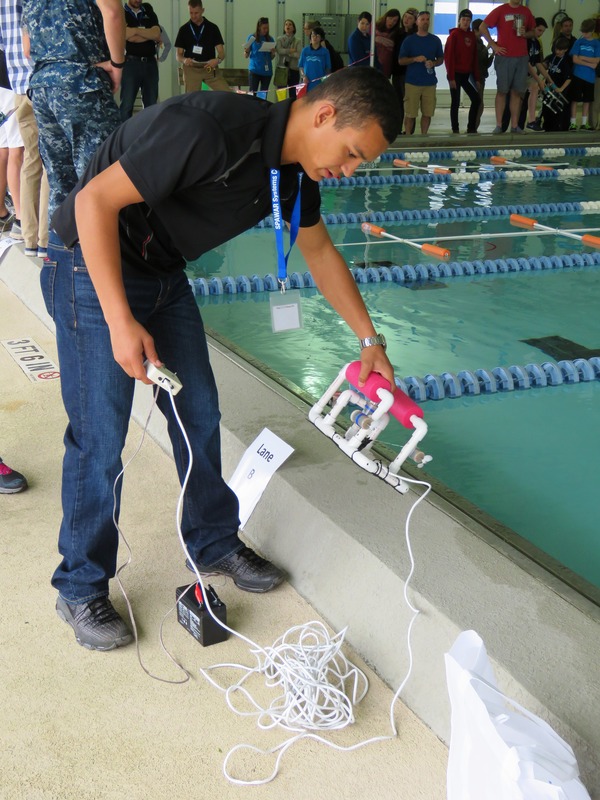 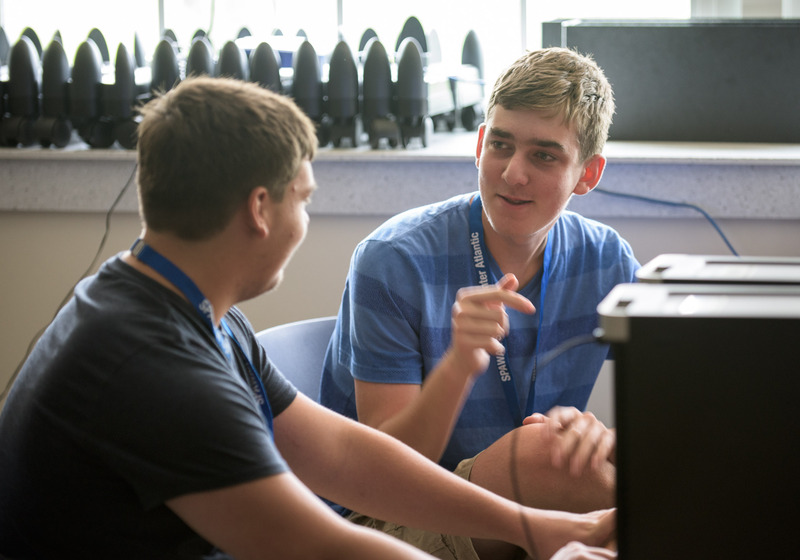 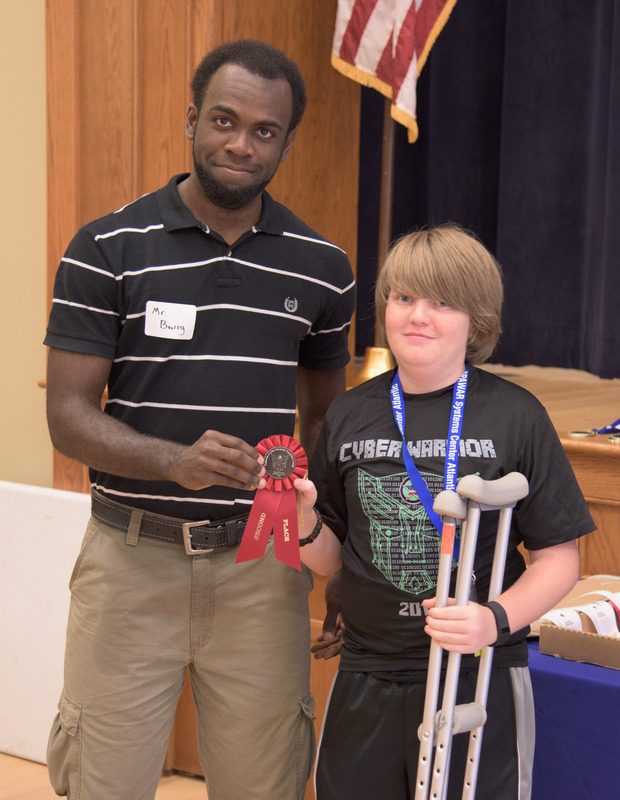 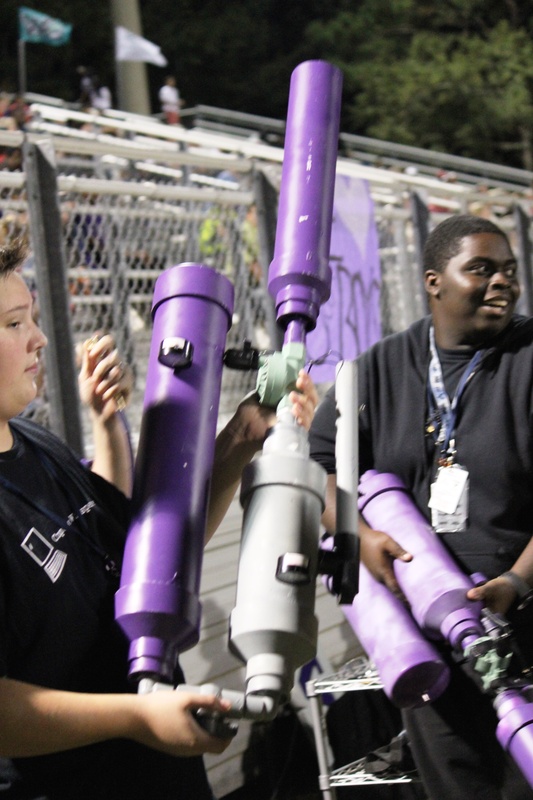 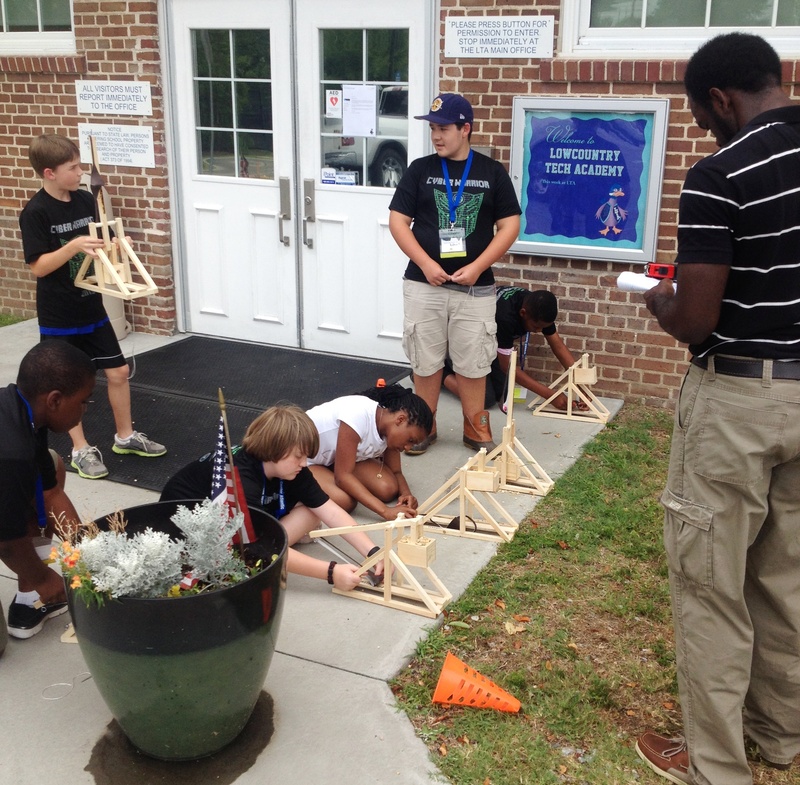 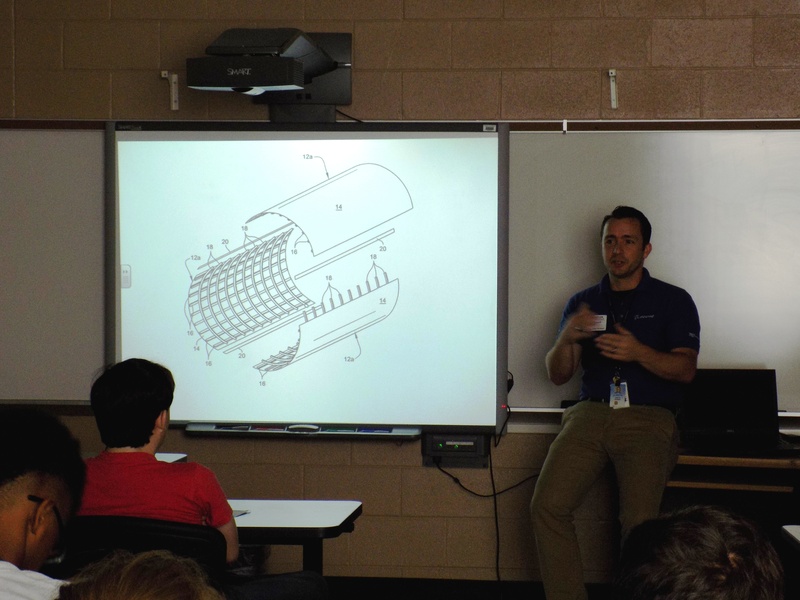 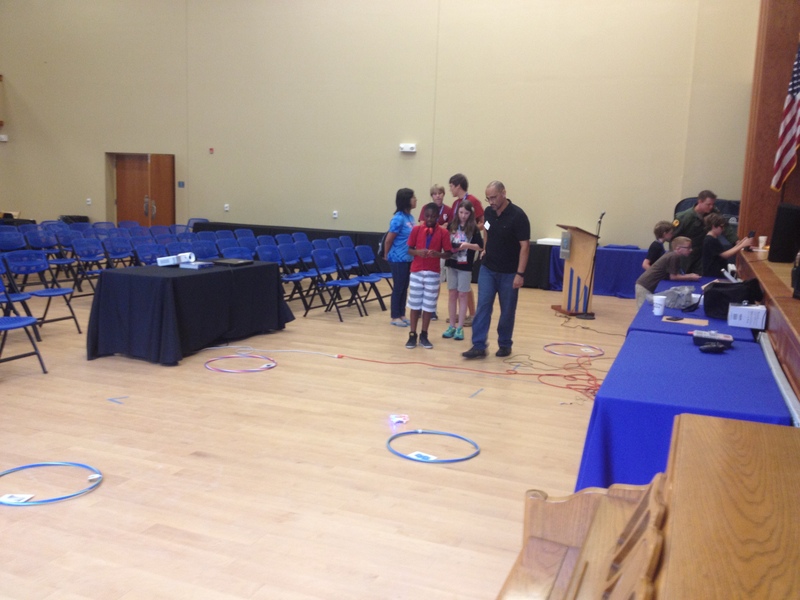 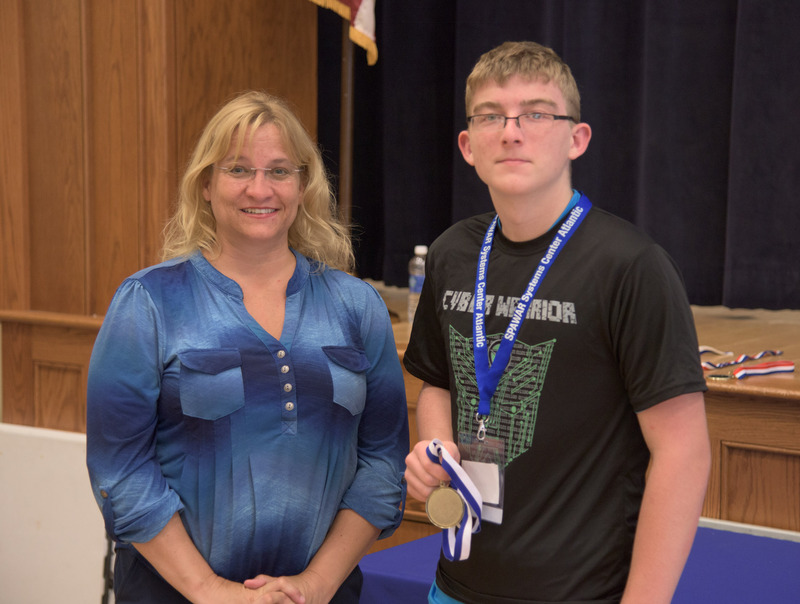 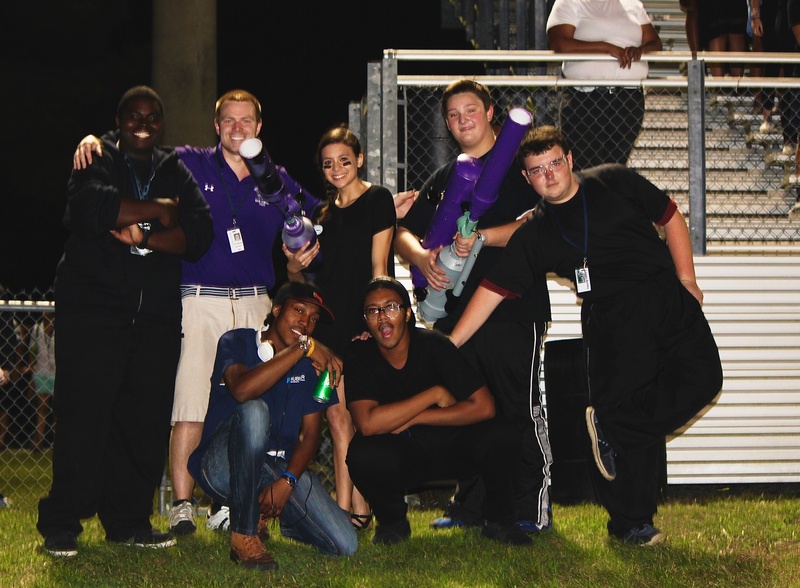 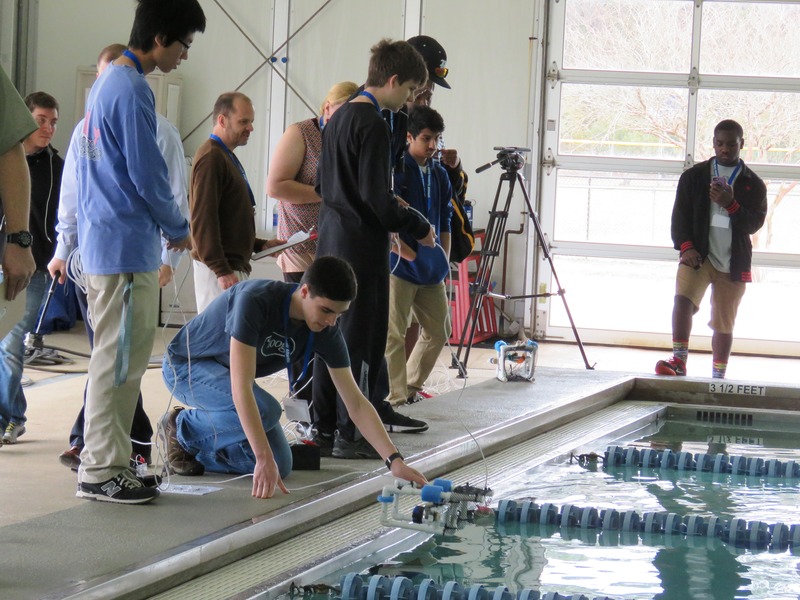 Charleston, SC – Sept 28, 2015 – Earlier this year, West Ashley High School’s Mechatronics instructor Nicholas Holmes received an exciting request from his principal Lee Runyan, “Build a t-shirt launcher to use at athletic events”. 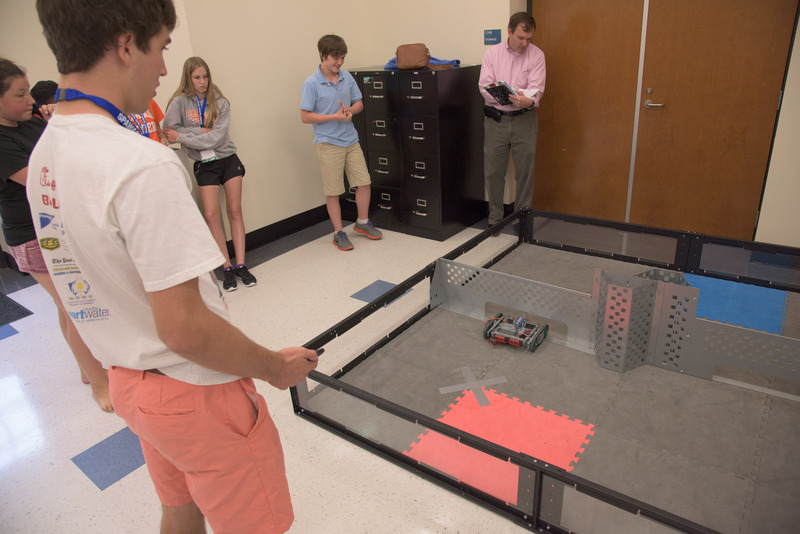 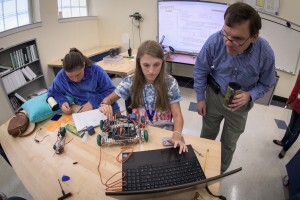 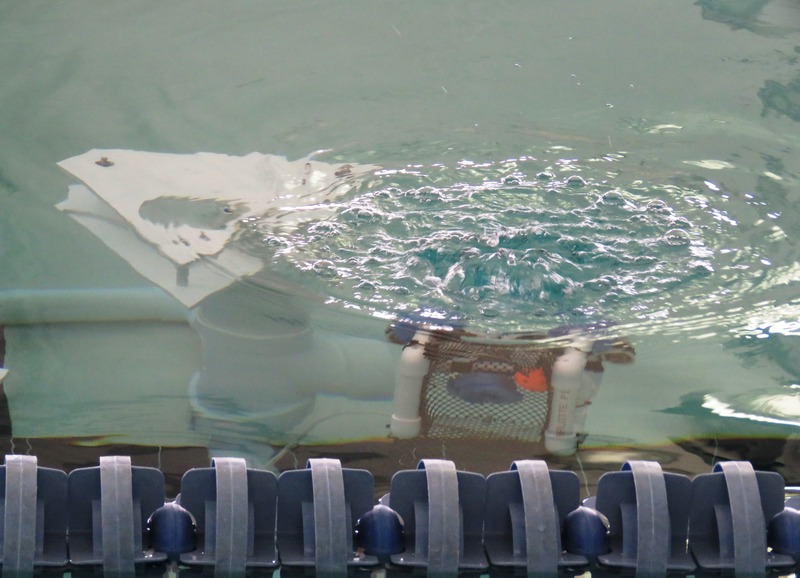 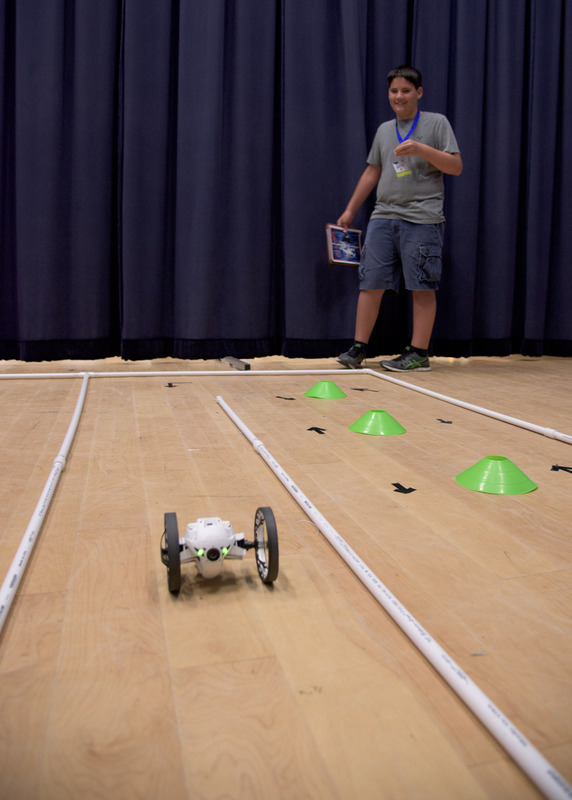 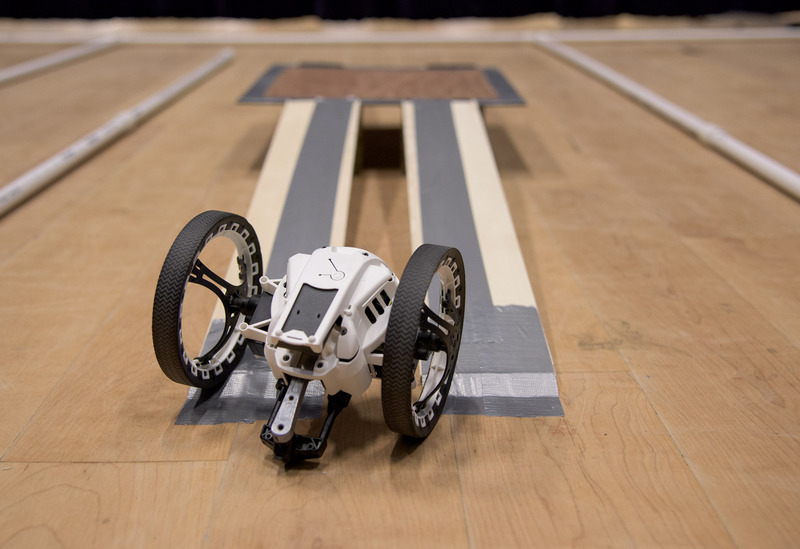 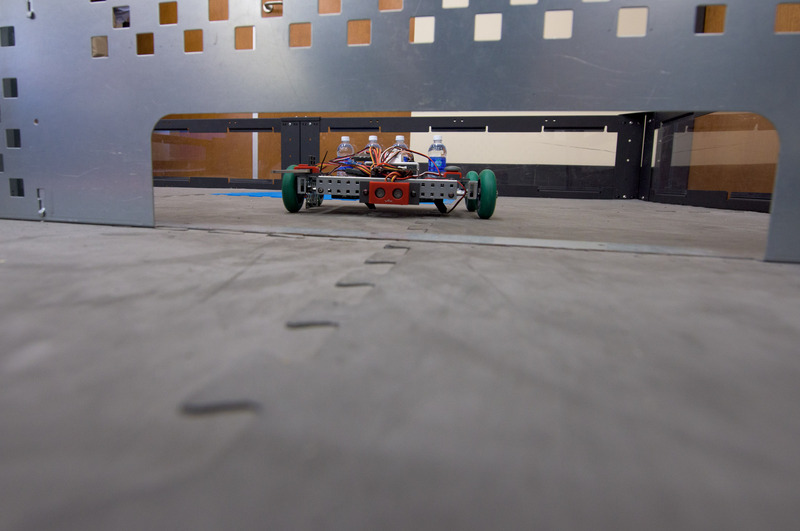 So that’s what he and his students did – and then they built another version, and another, and even a robot that can launch t-shirts remotely. 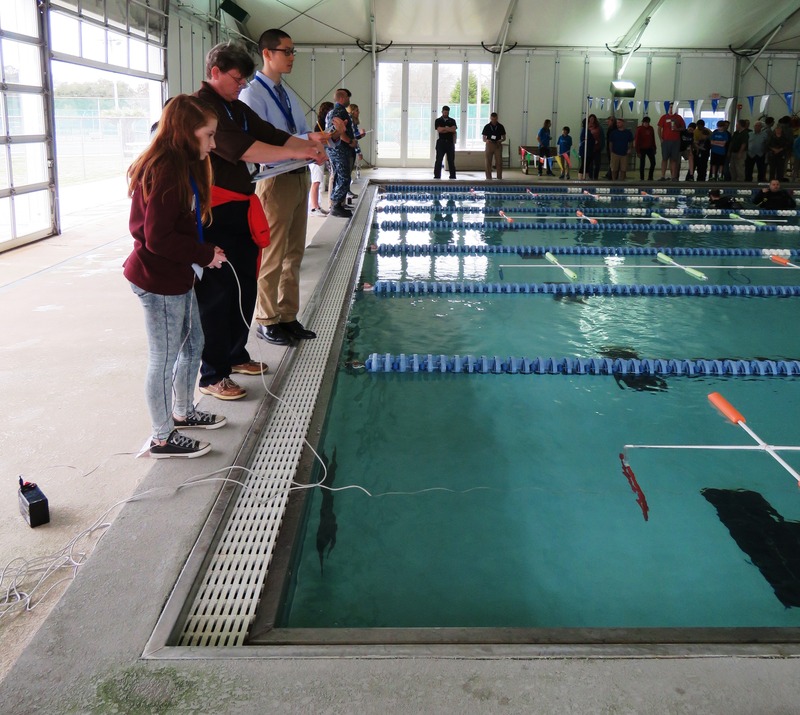 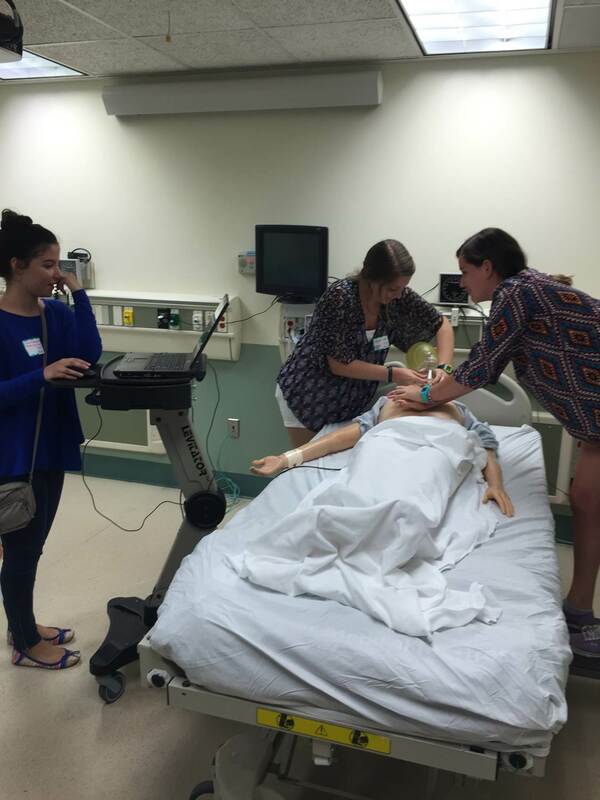 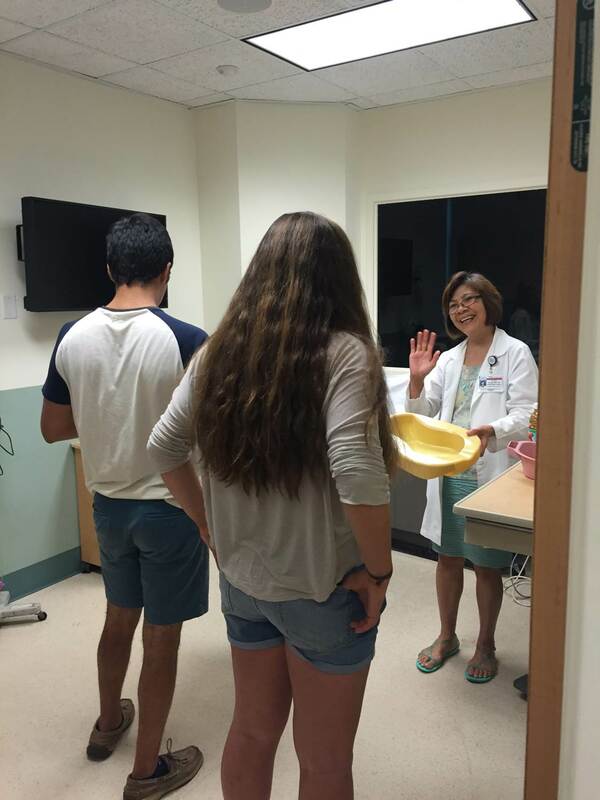 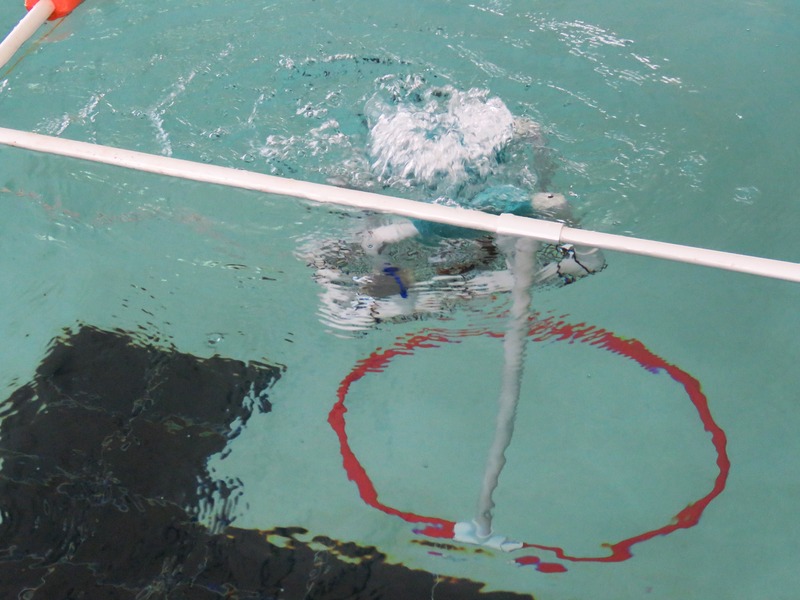 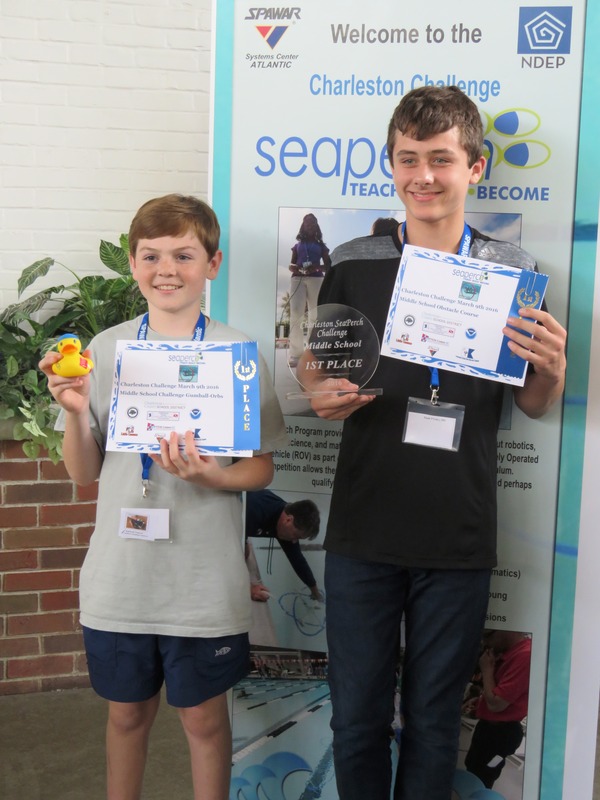 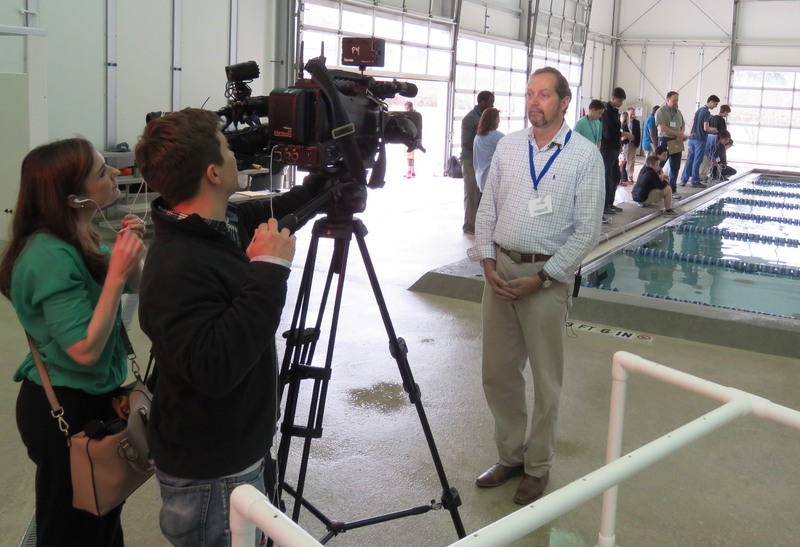 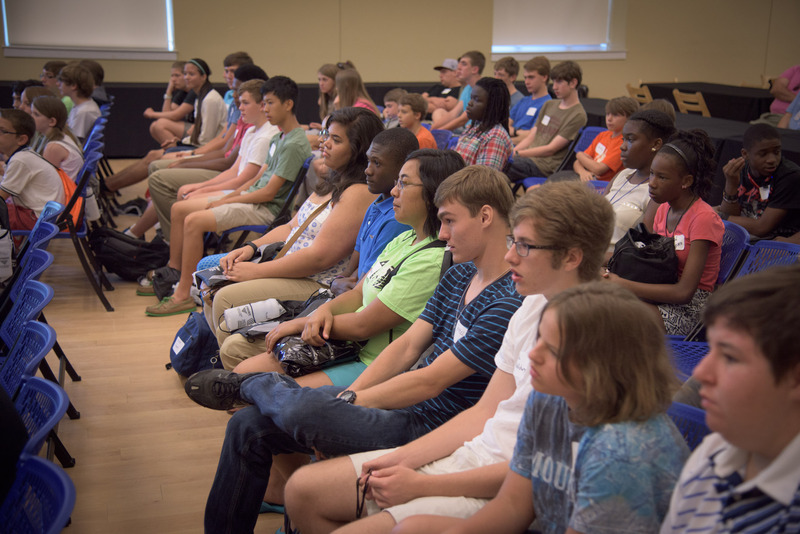 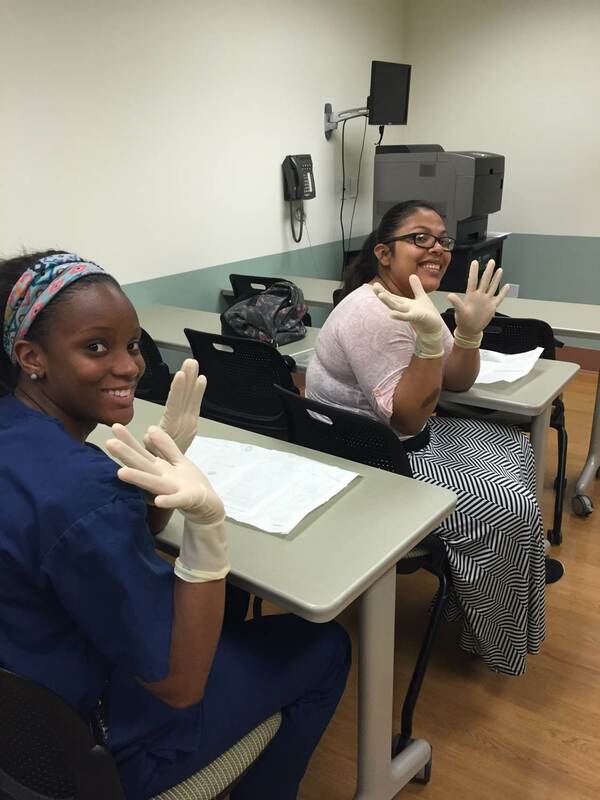 “The experience for the students has been fantastic” said Holmes. 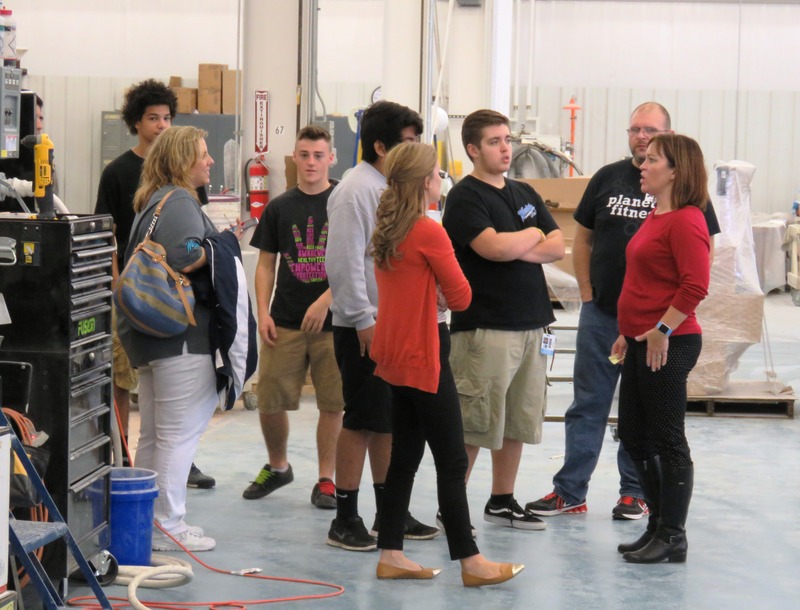 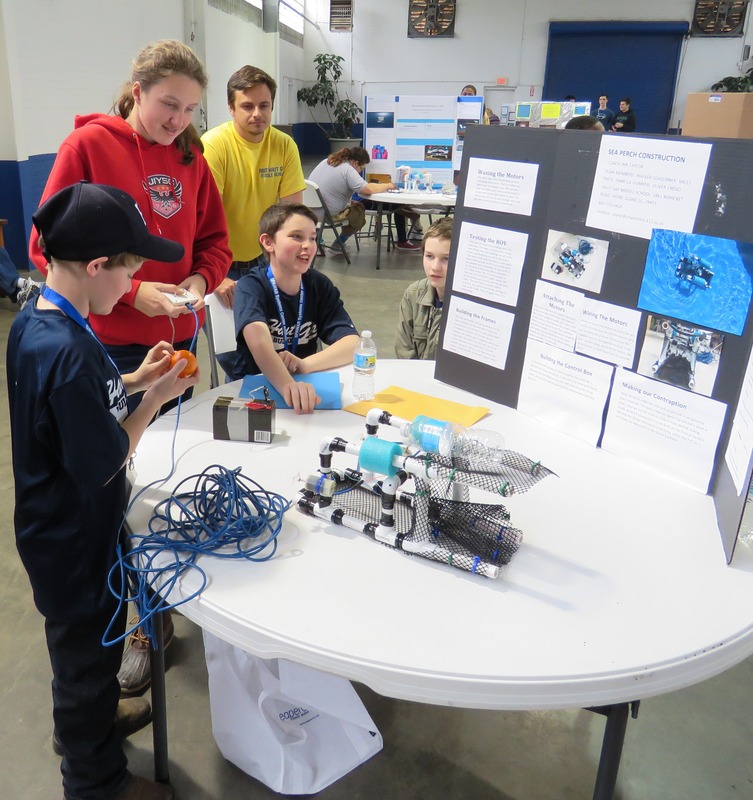 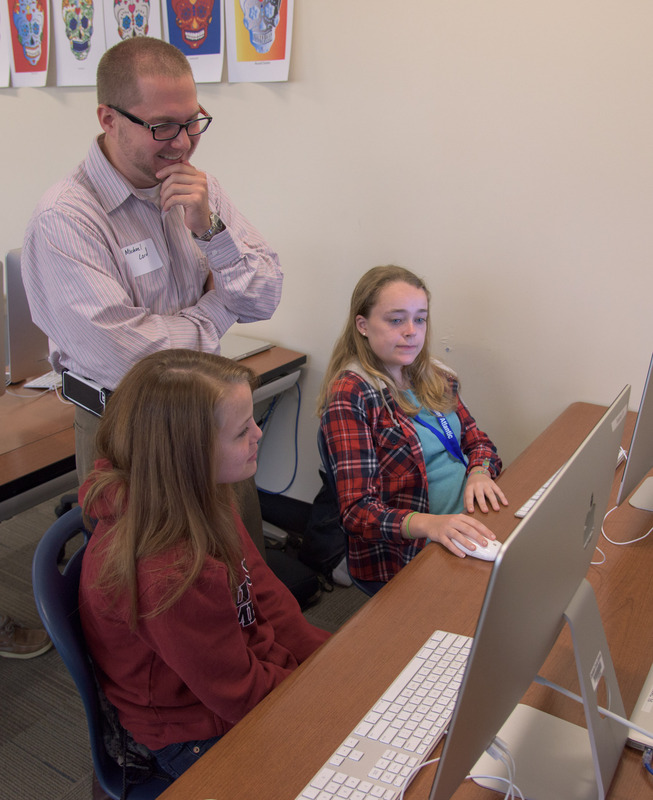 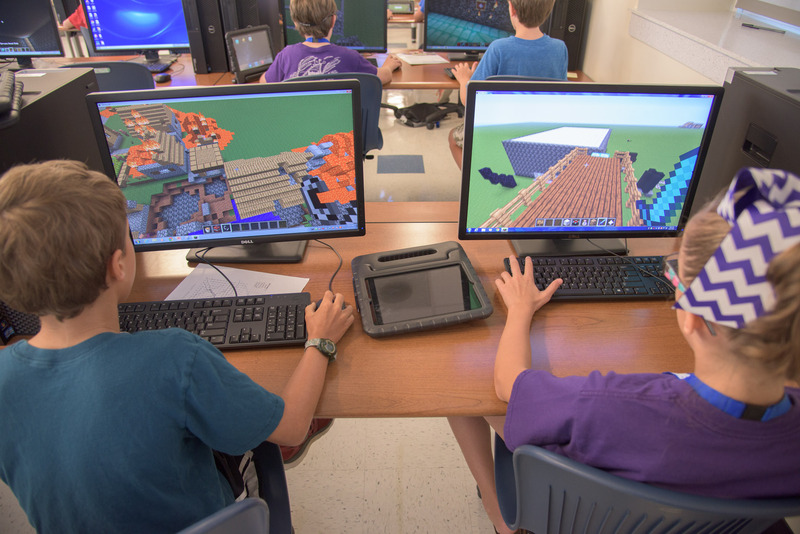 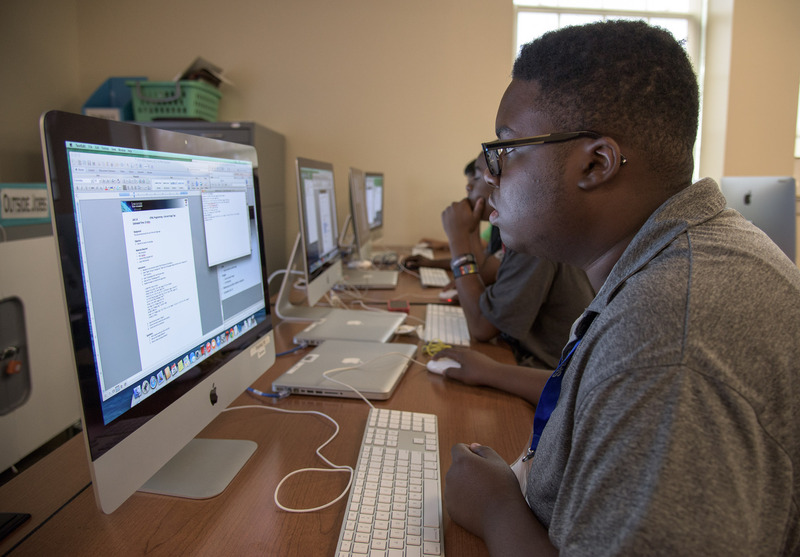 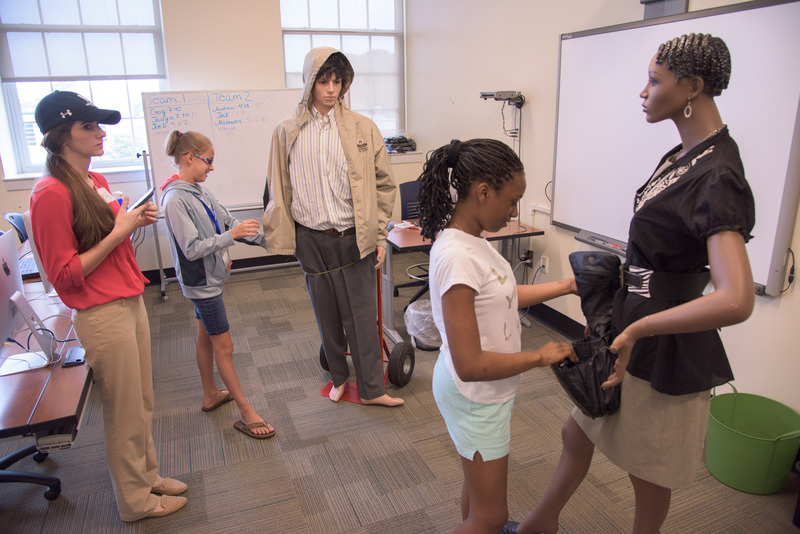 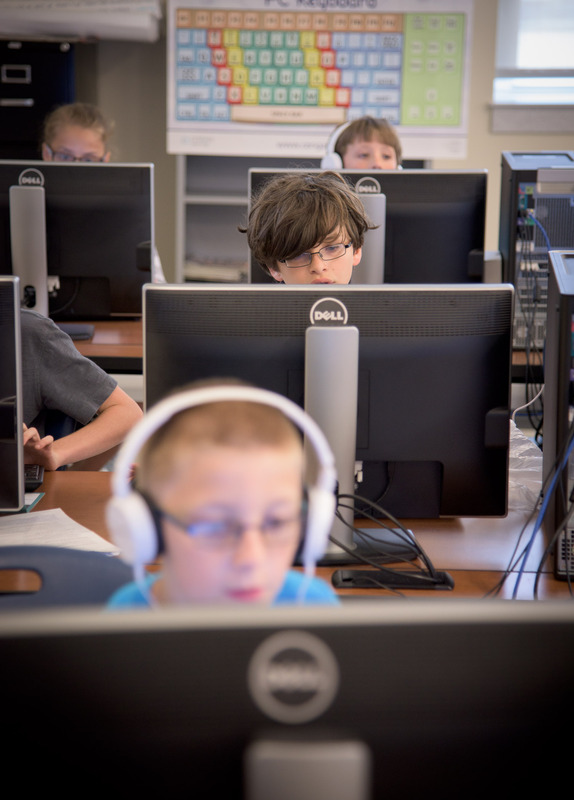 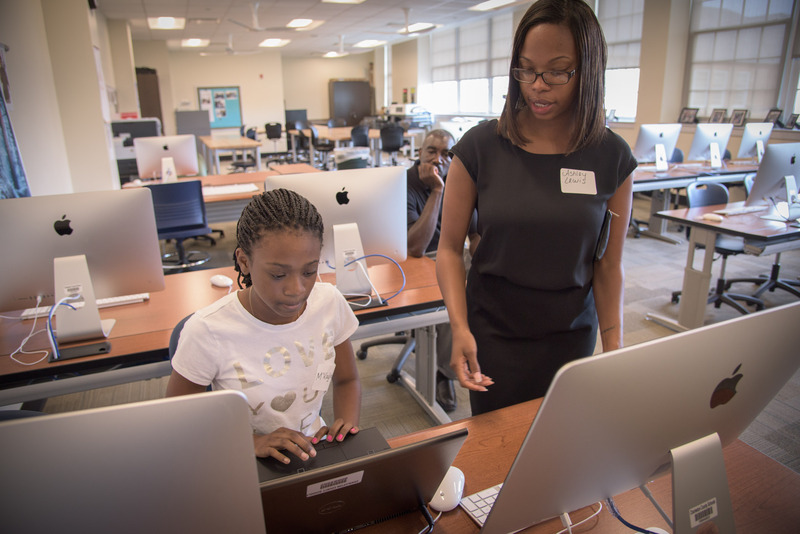 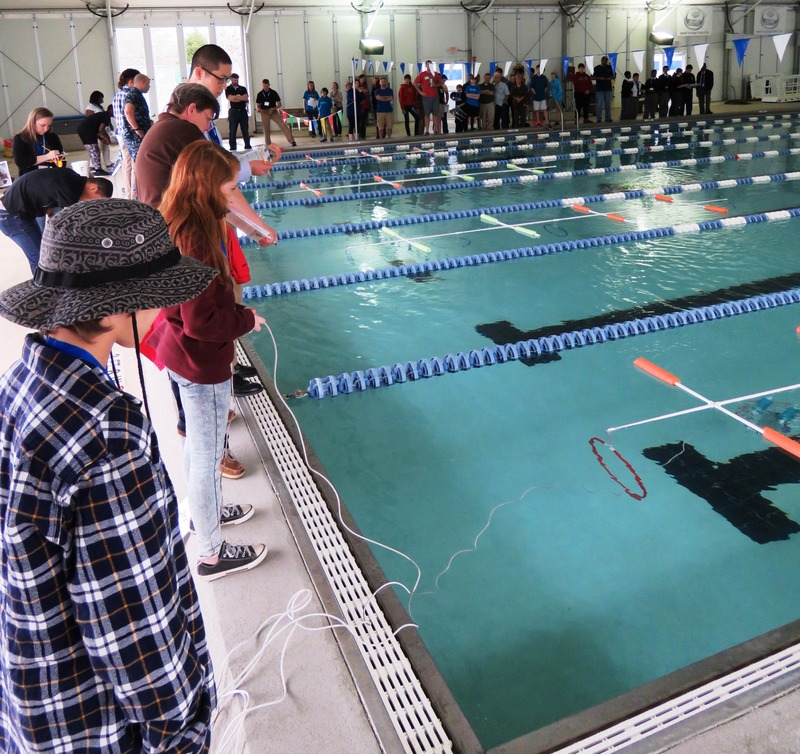 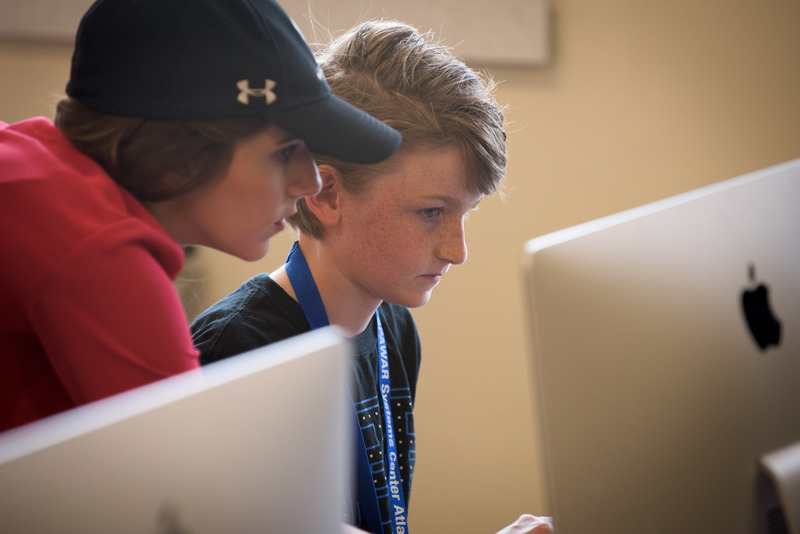 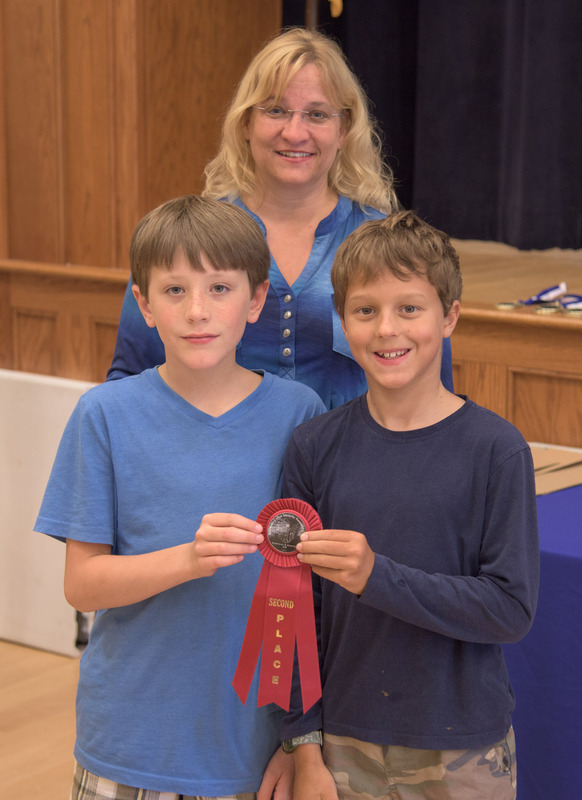 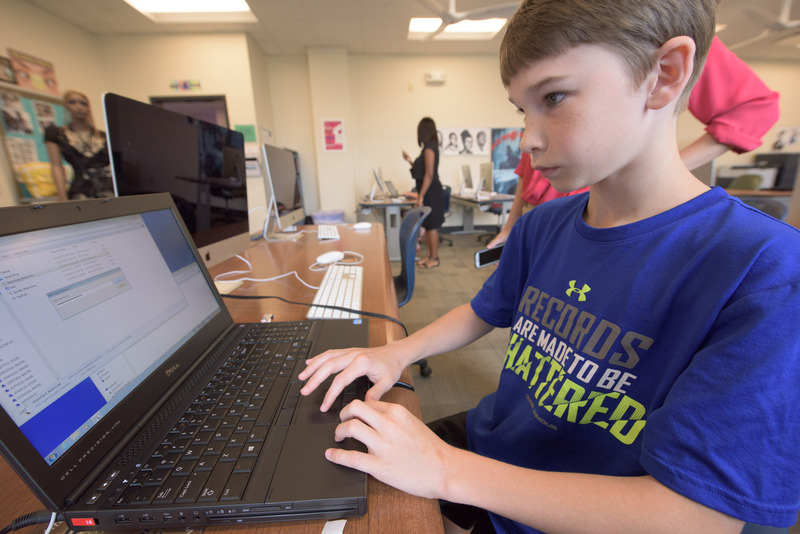 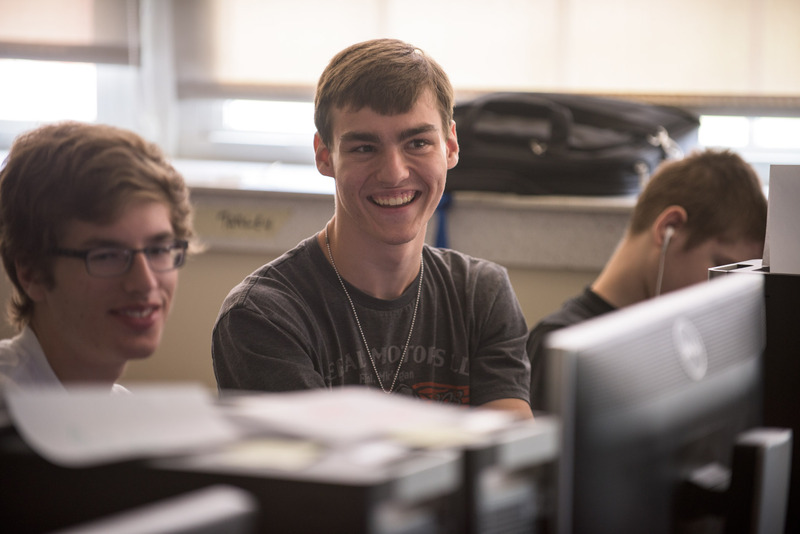 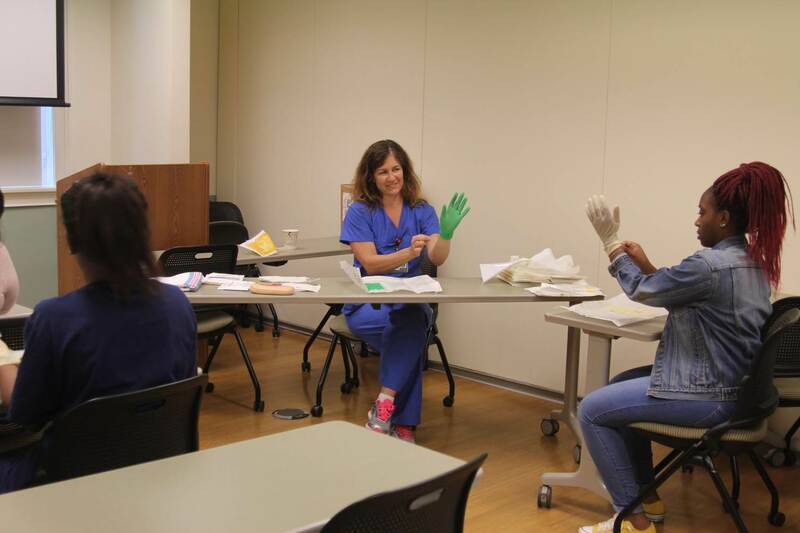 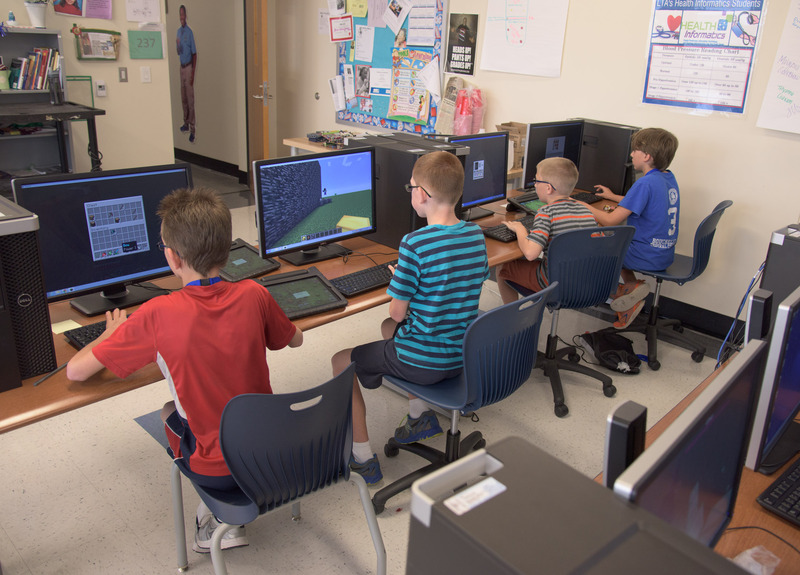 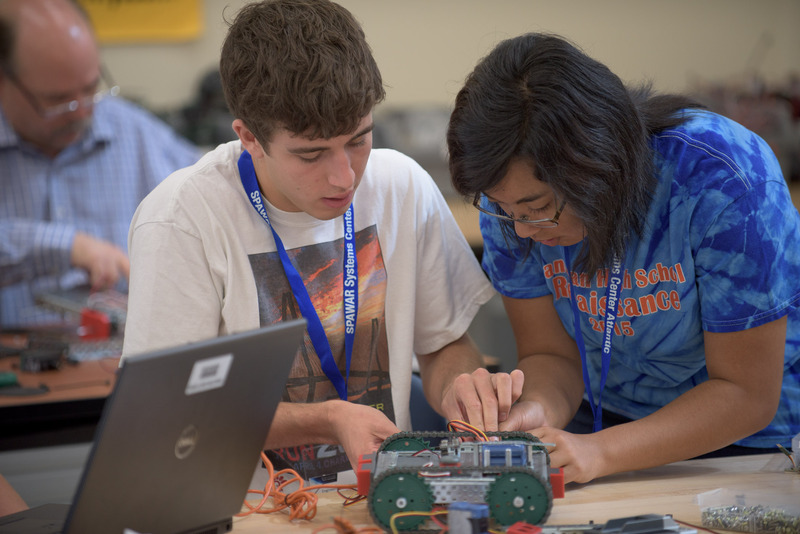 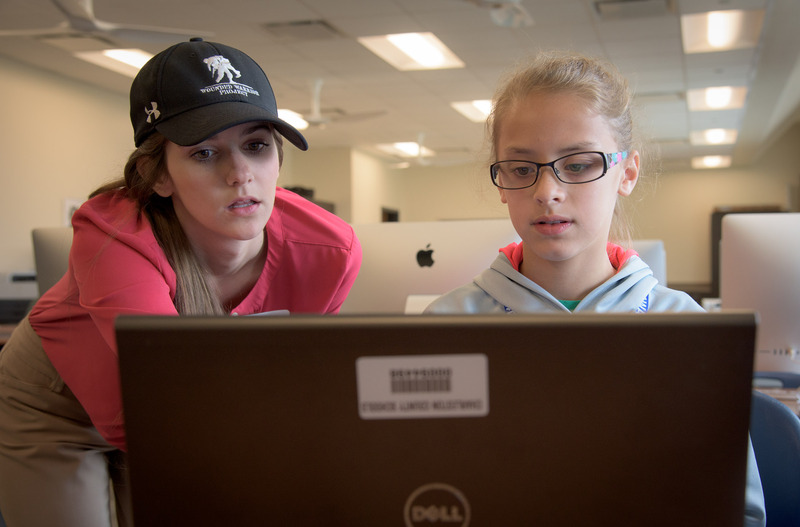 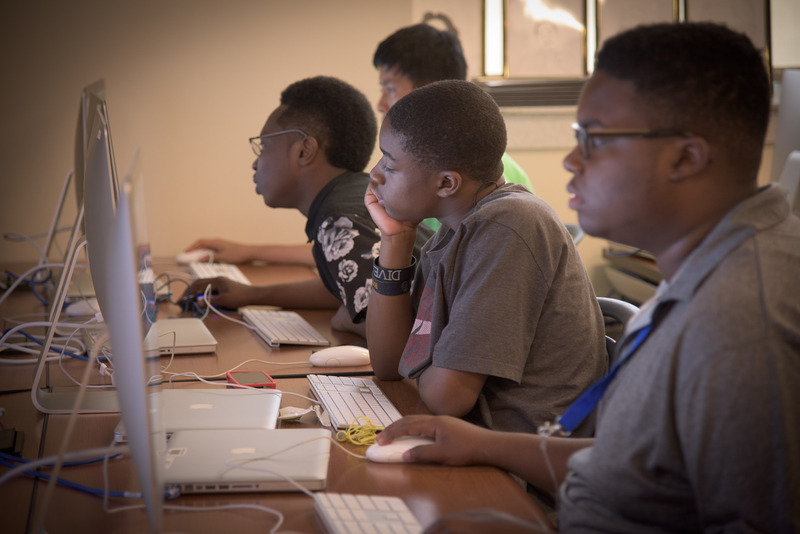 “They’ve fully embraced this project-based learning opportunity, and the creative solutions to challenges are flowing freely,” Holmes added. Now, at the WAHS pep rallies, football games, and many other Wildcat athletic events, the launchers help get the crowds cheering! “Perhaps the next step is producing these for other schools”, said Holmes. 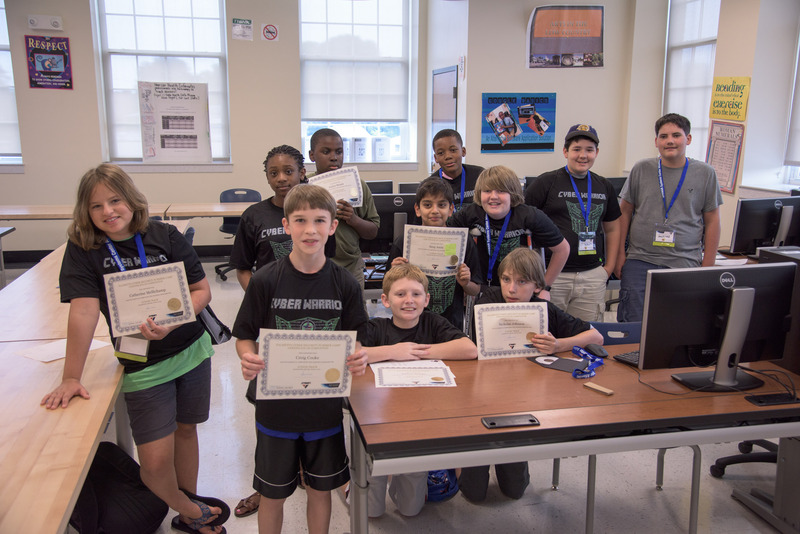 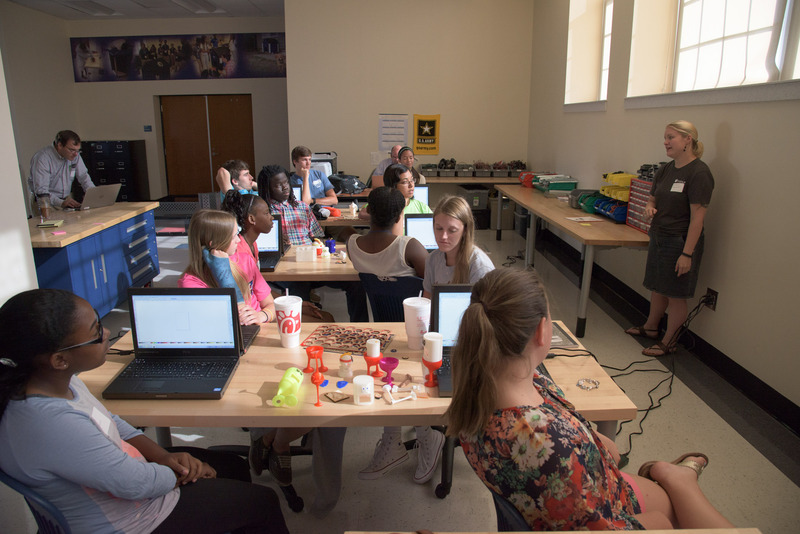 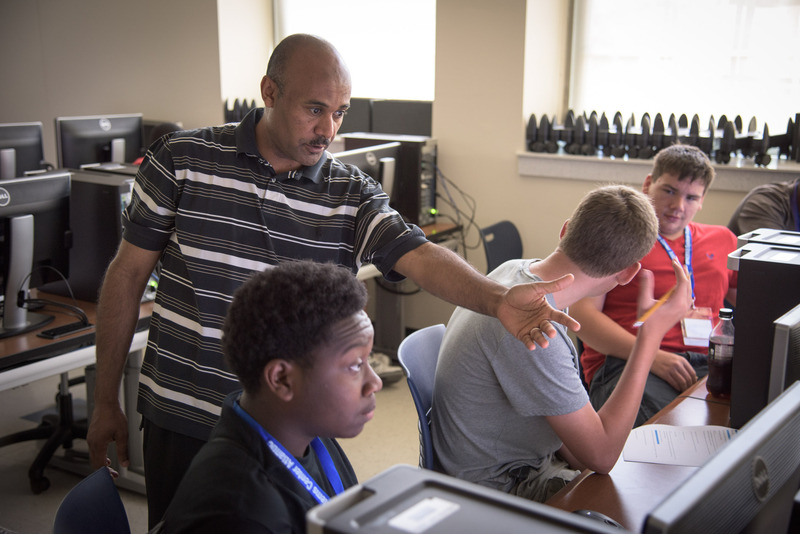 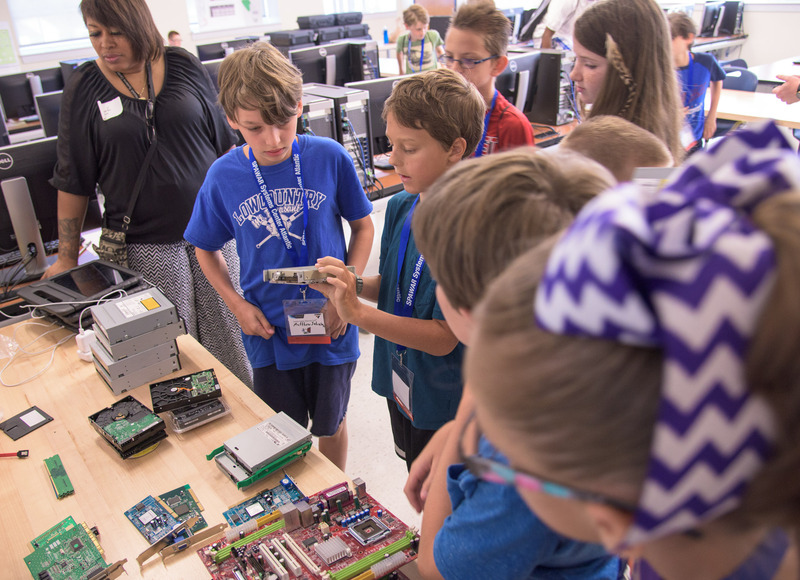 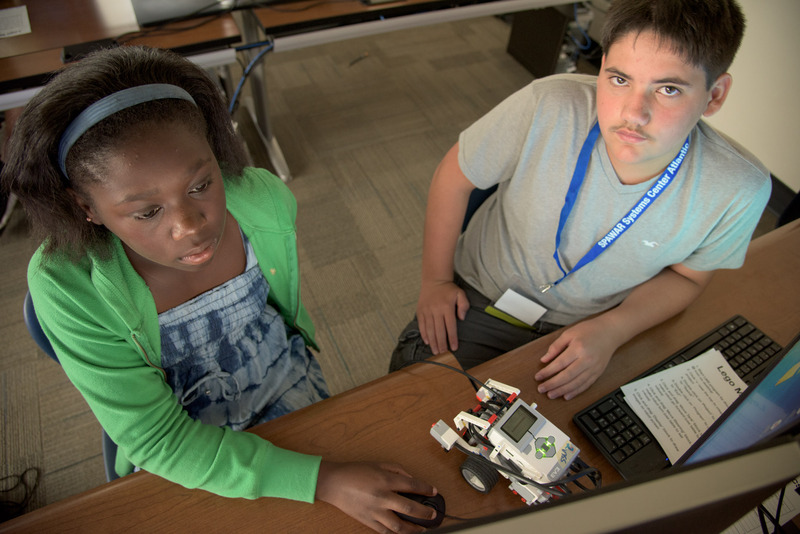 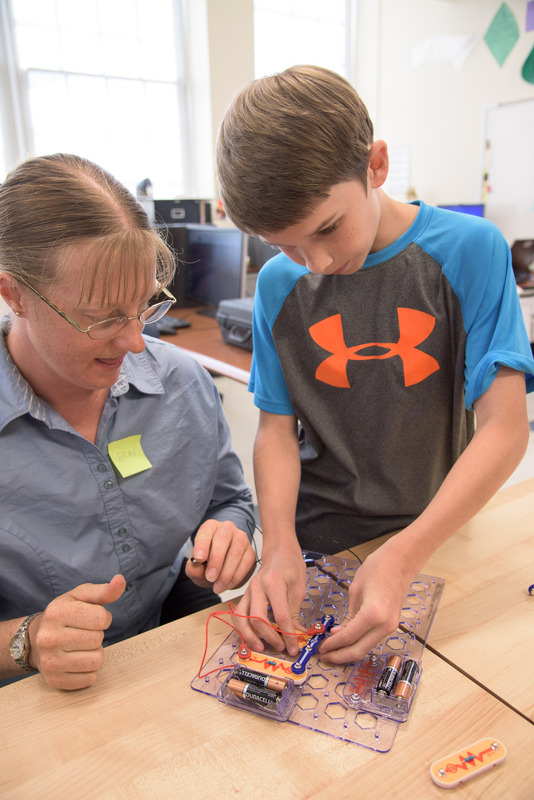 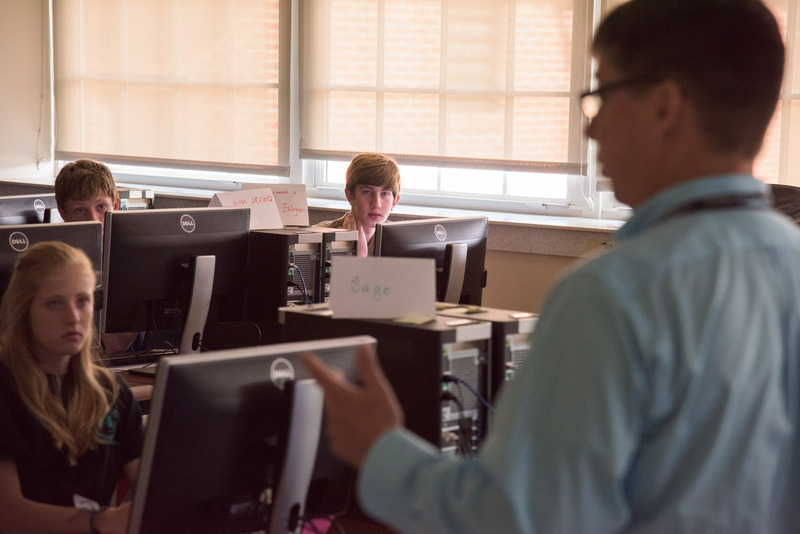 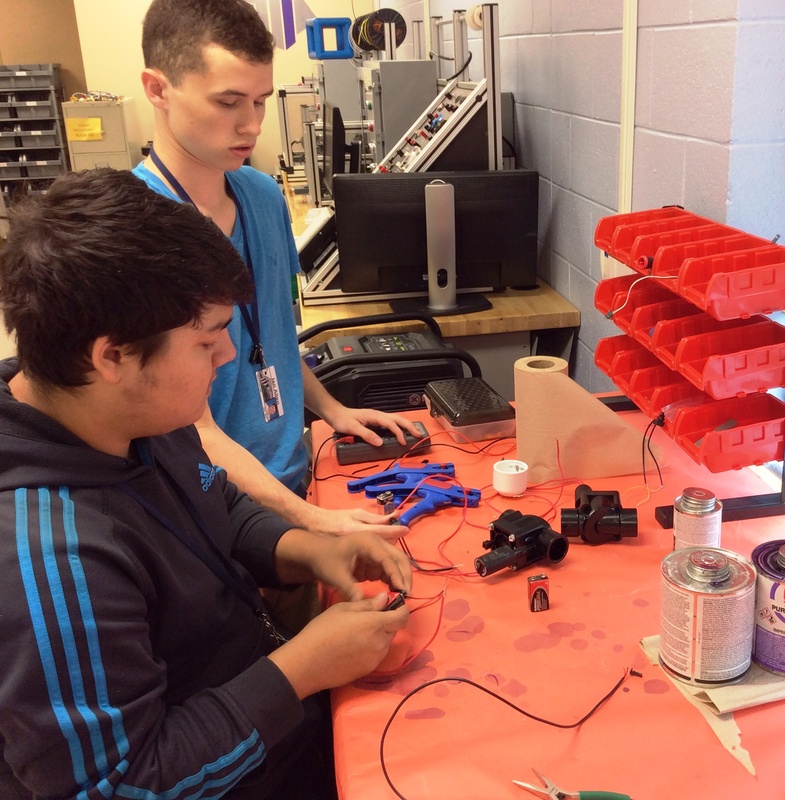 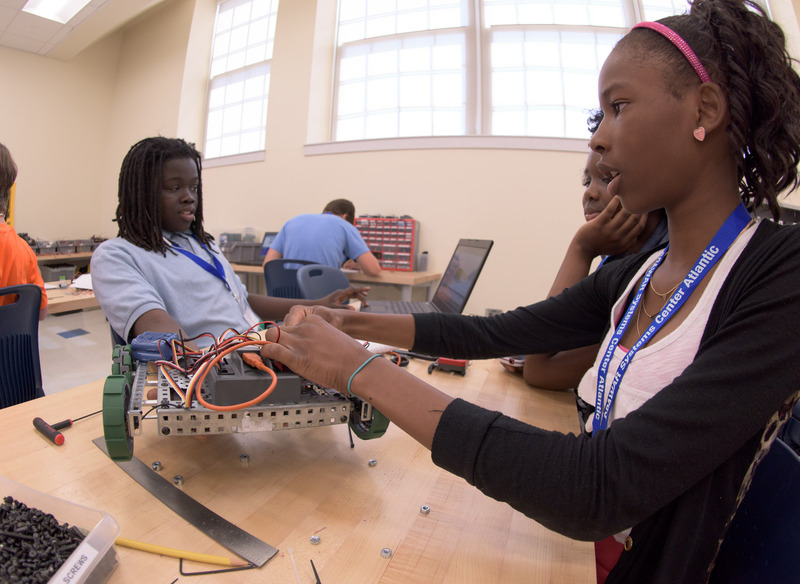 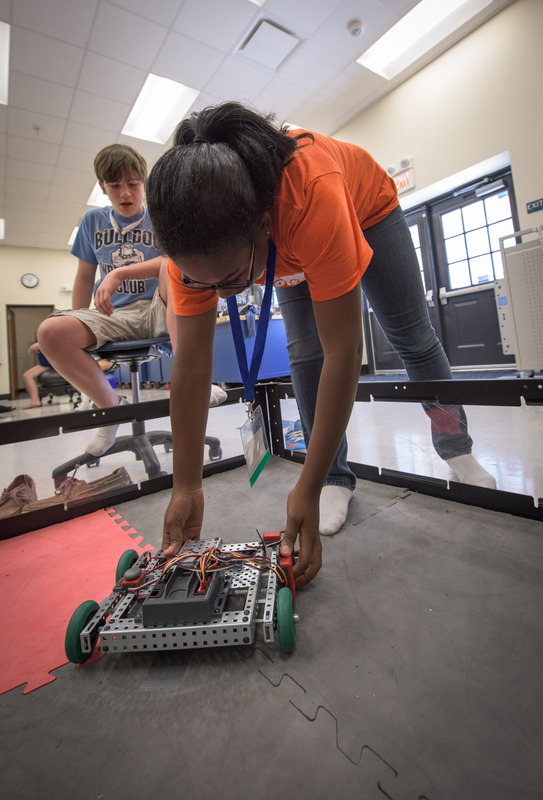 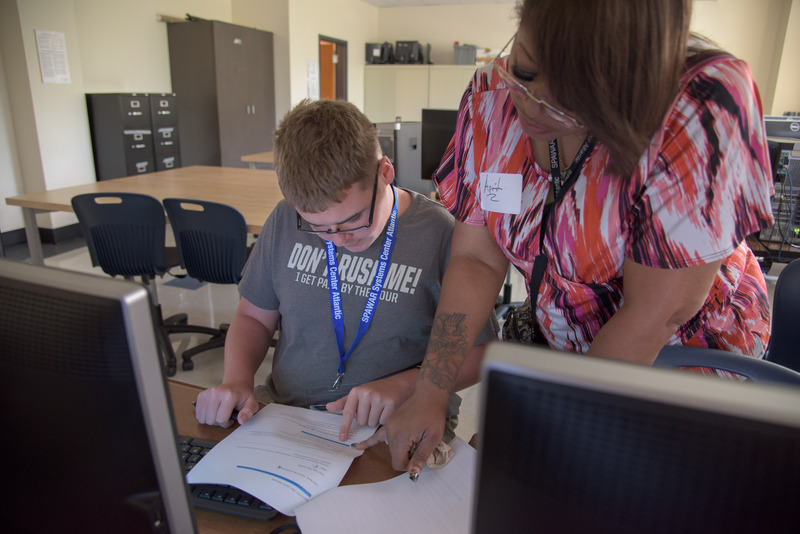 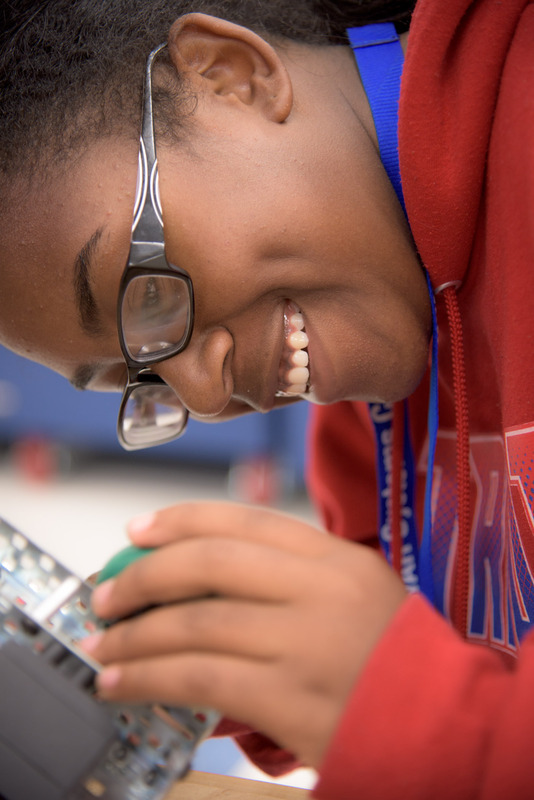 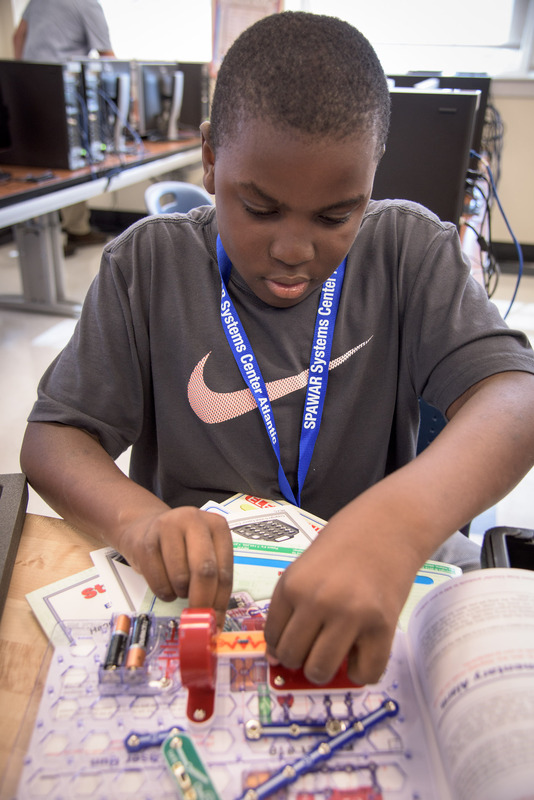 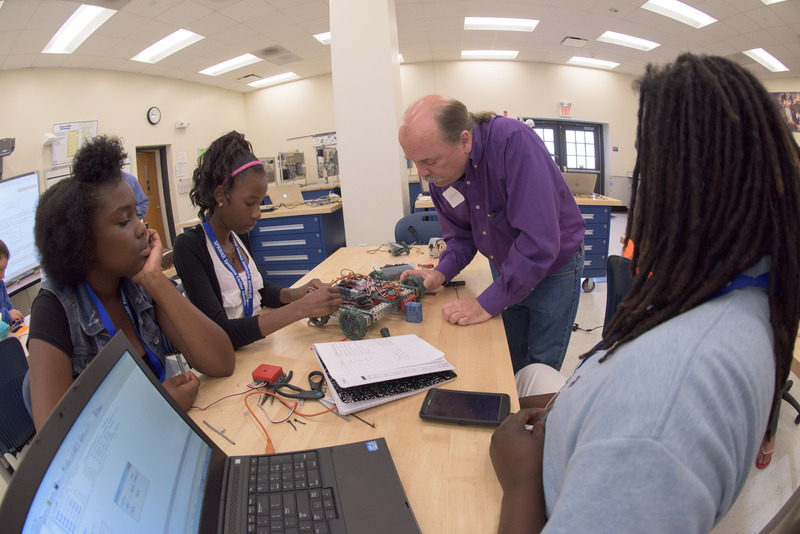 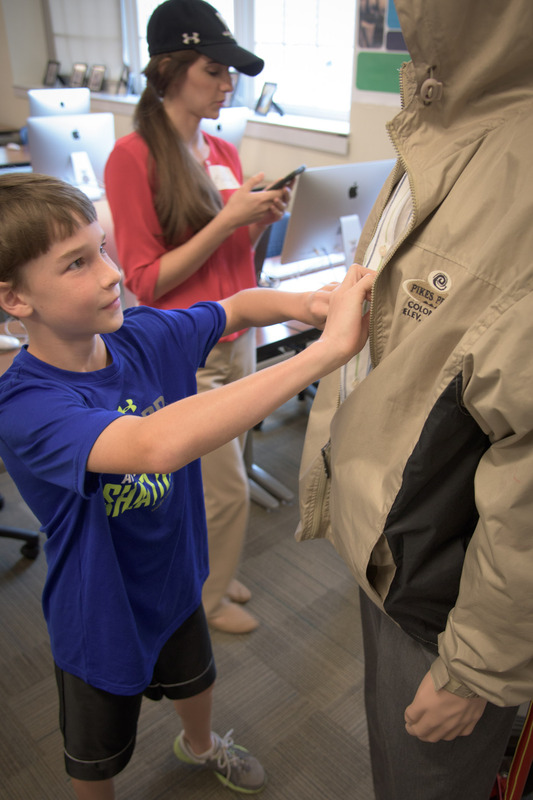 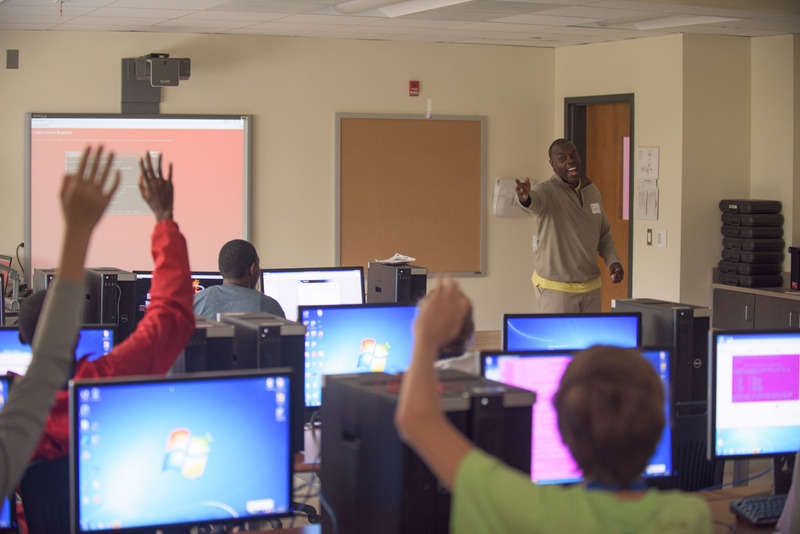 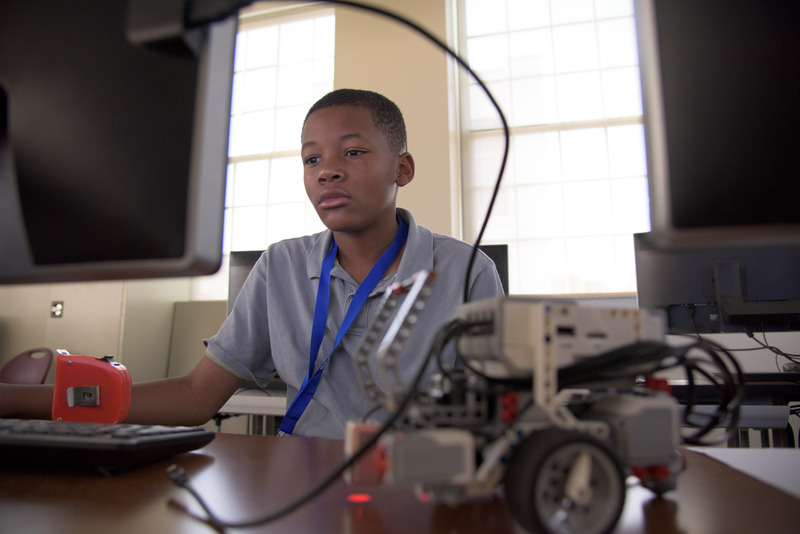 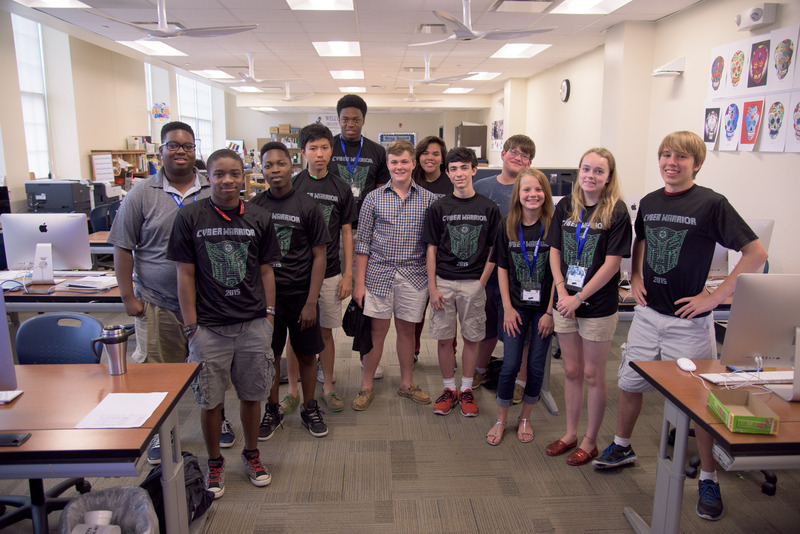 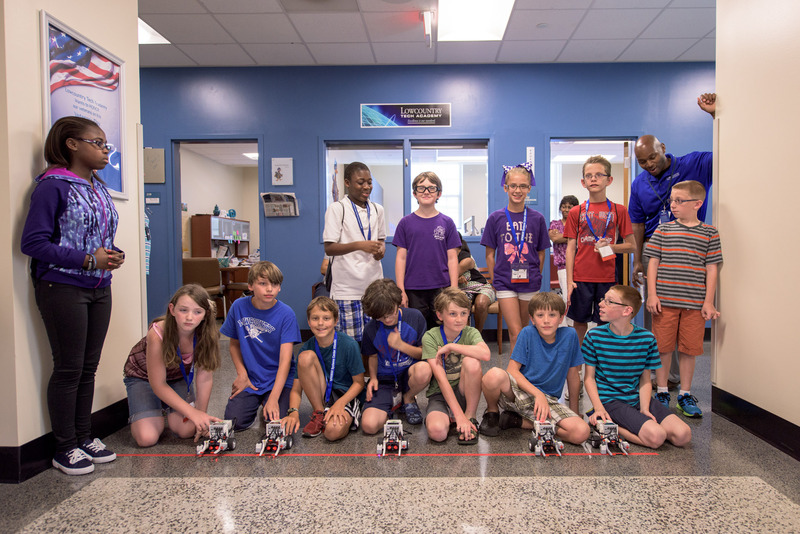 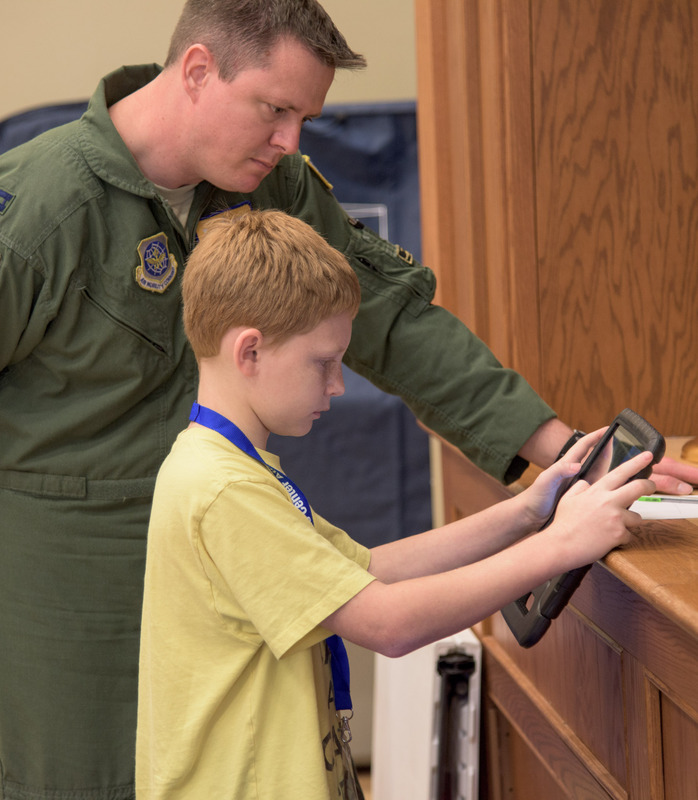 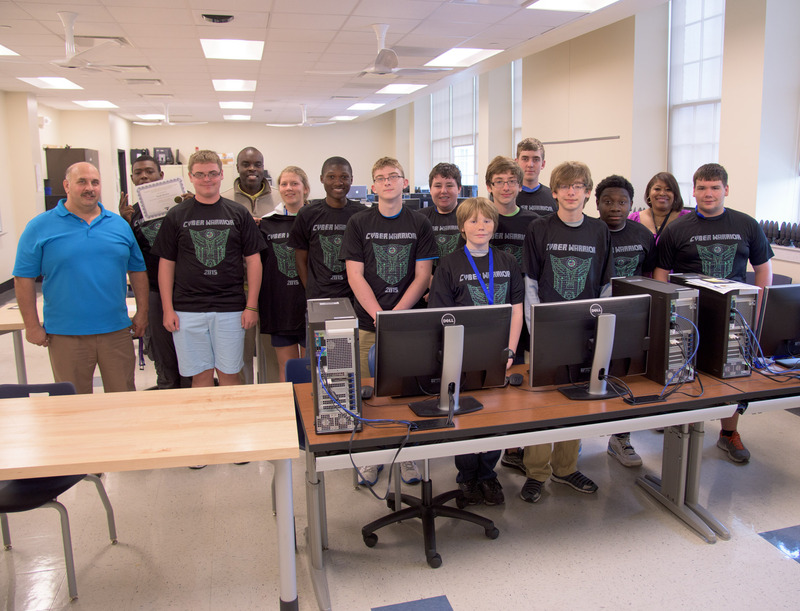 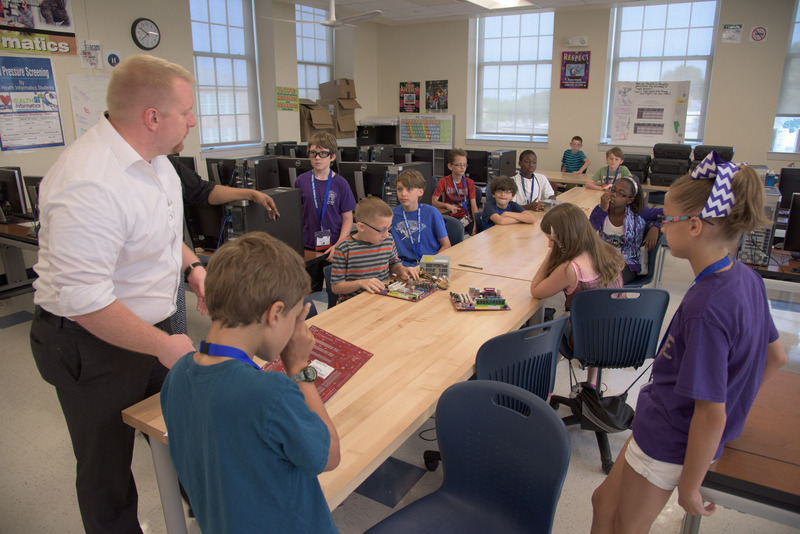 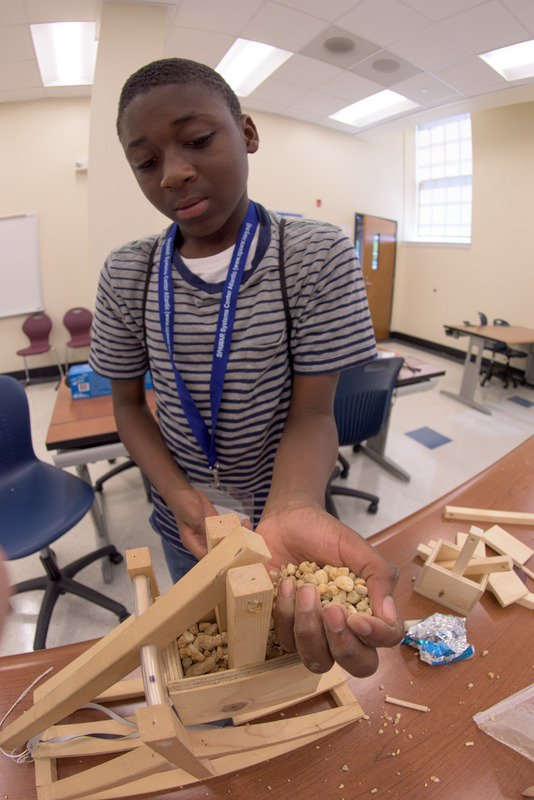 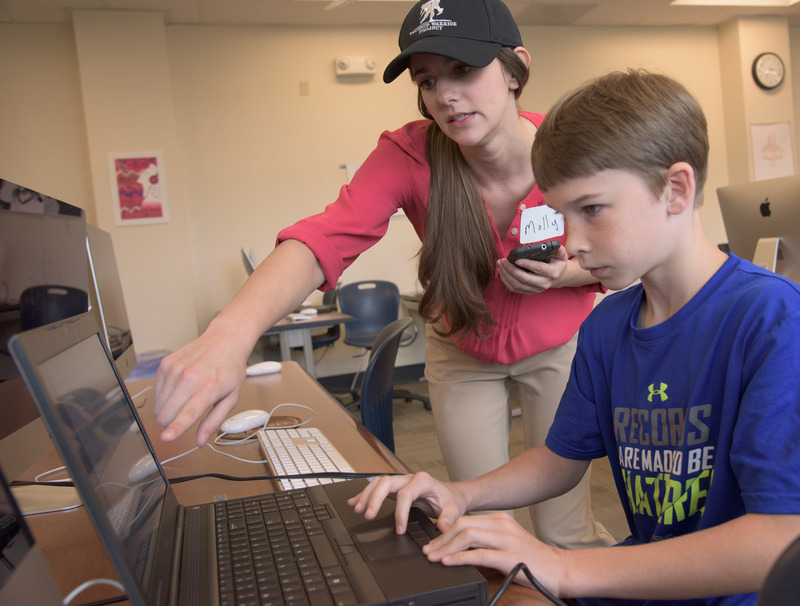 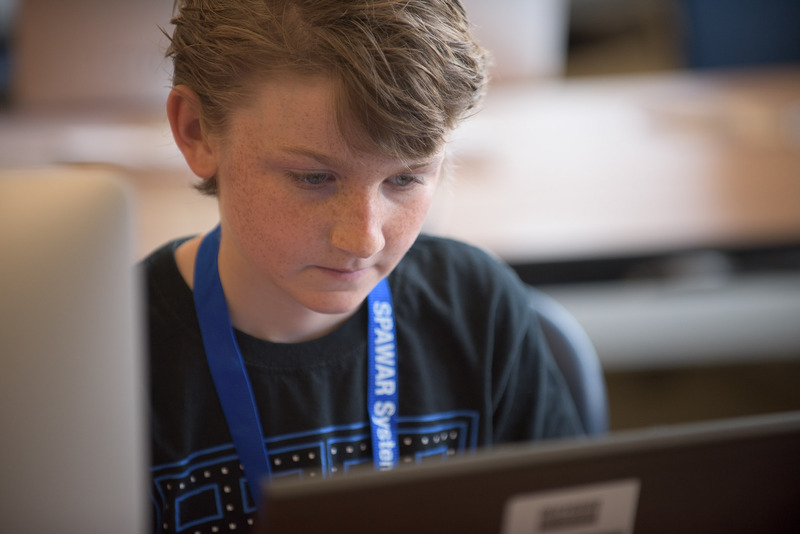 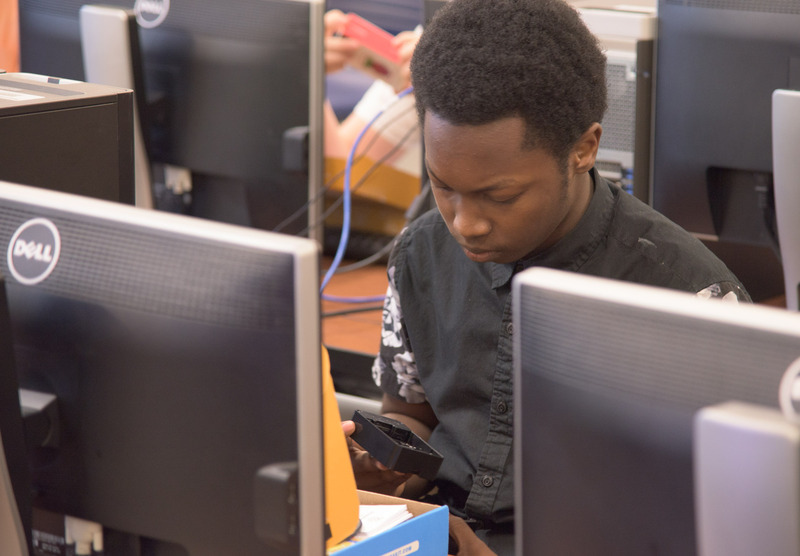 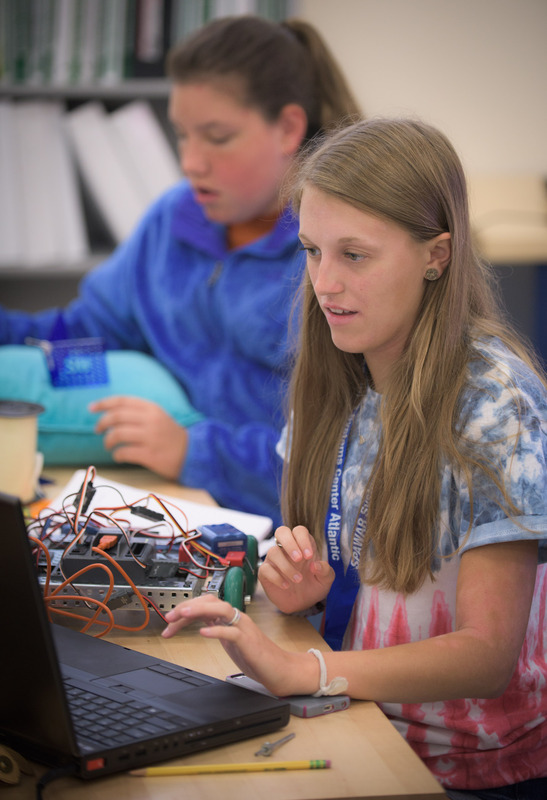 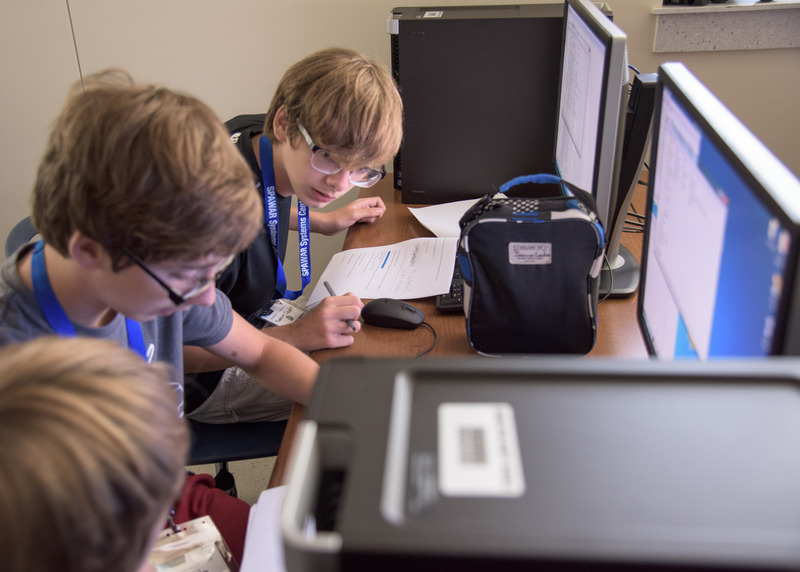 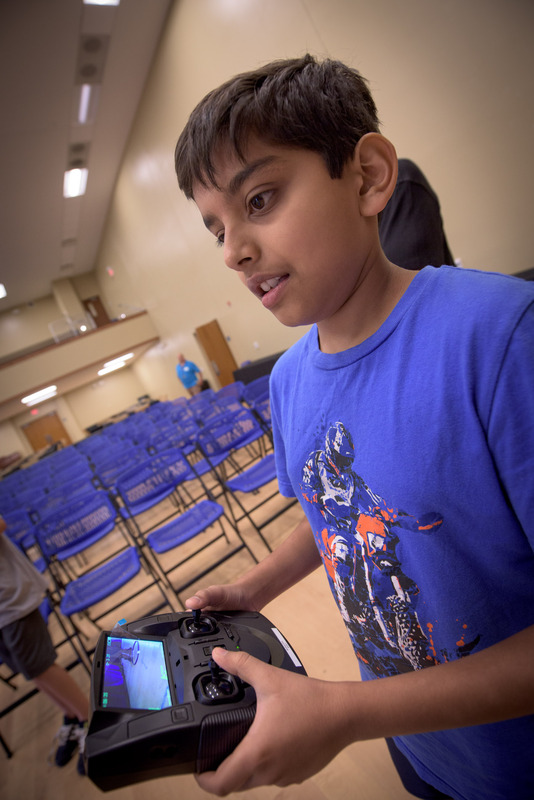 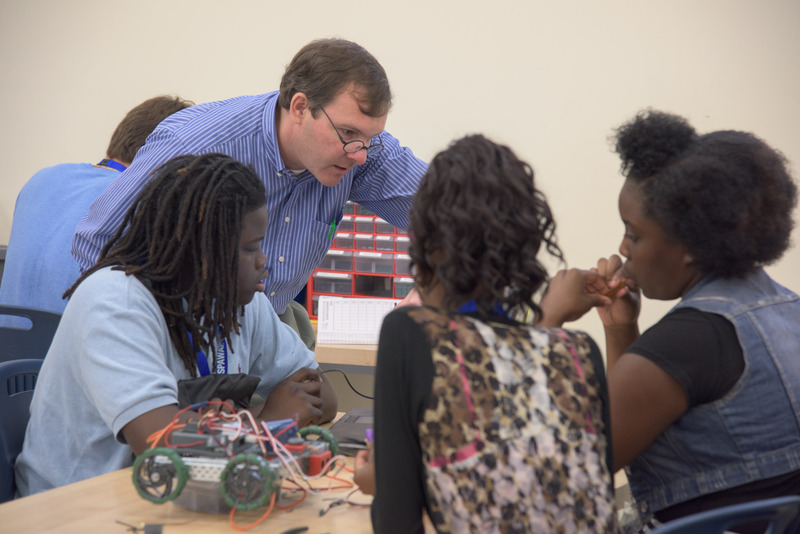 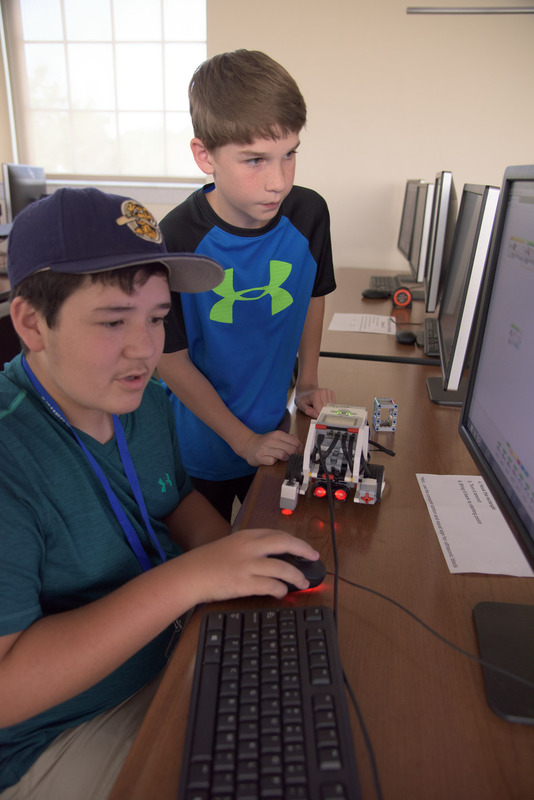 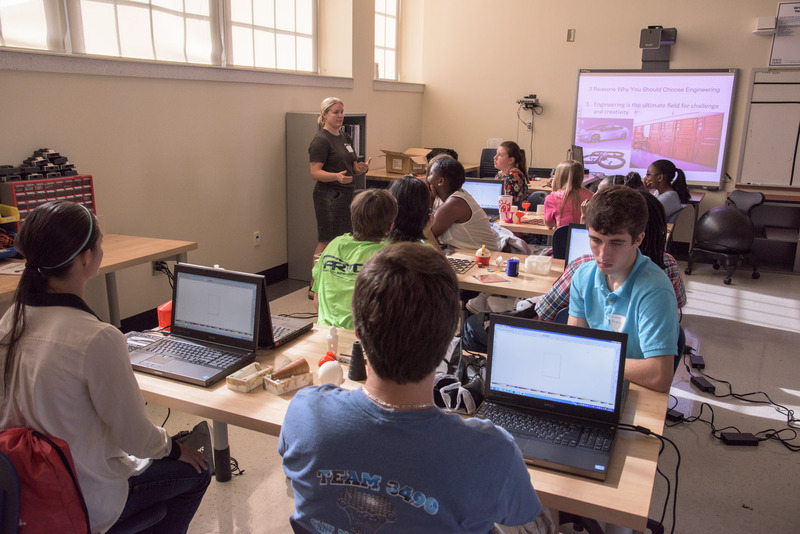 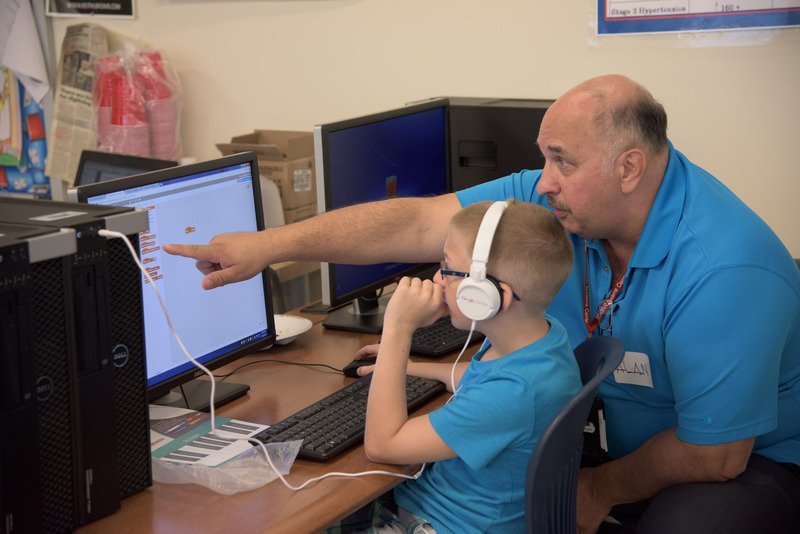 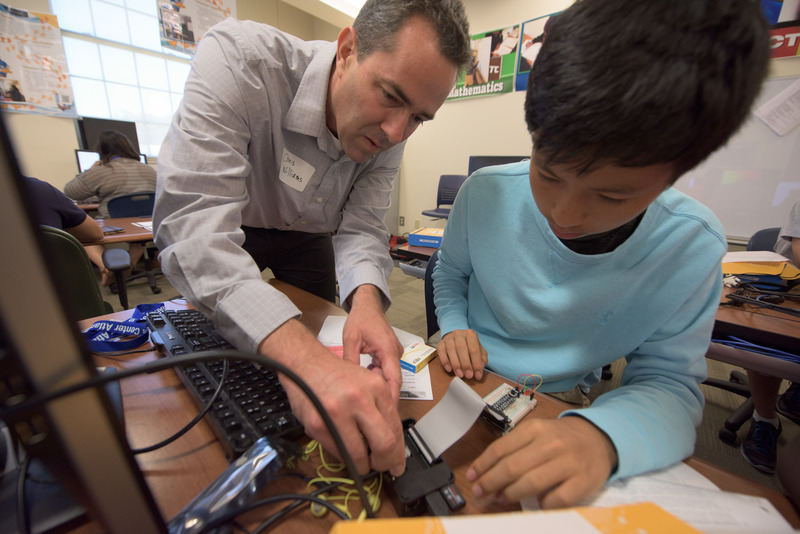 Using a 3D printer donated to Mr. Kevin Fast’s Engineering and Robotics classroom by Boeing SC, the next generation of Charleston engineers is getting powerful hands-on experience at Jerry Zucker Middle School of Science. 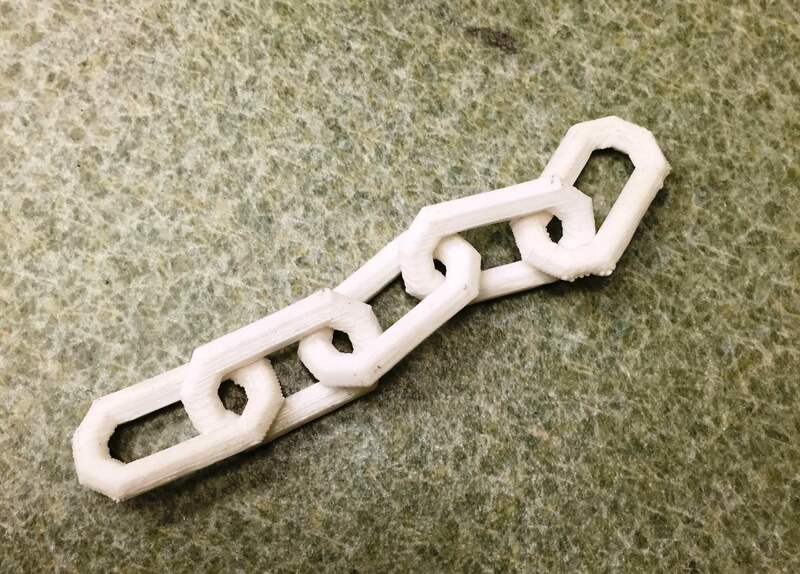 “It is amazing how this 3D printer that’s smaller than the HP printer on the same table can produce such terrific models for the students to see and hold.” said Mr. Fast. 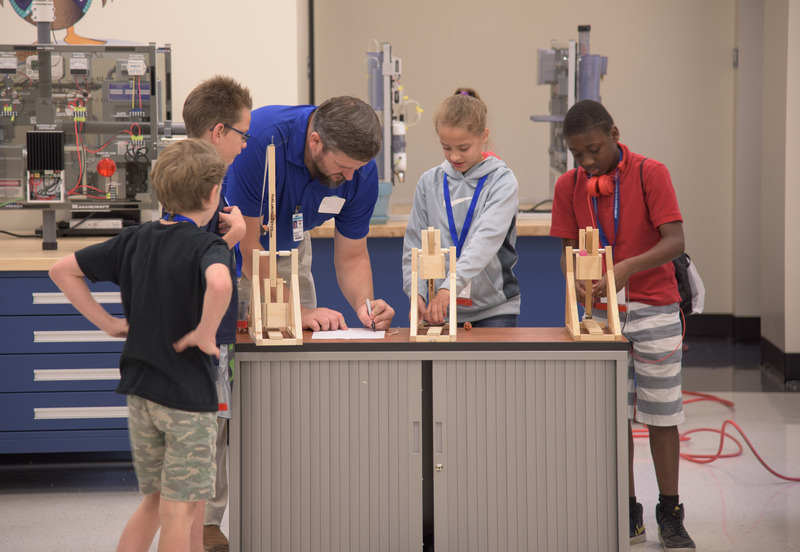 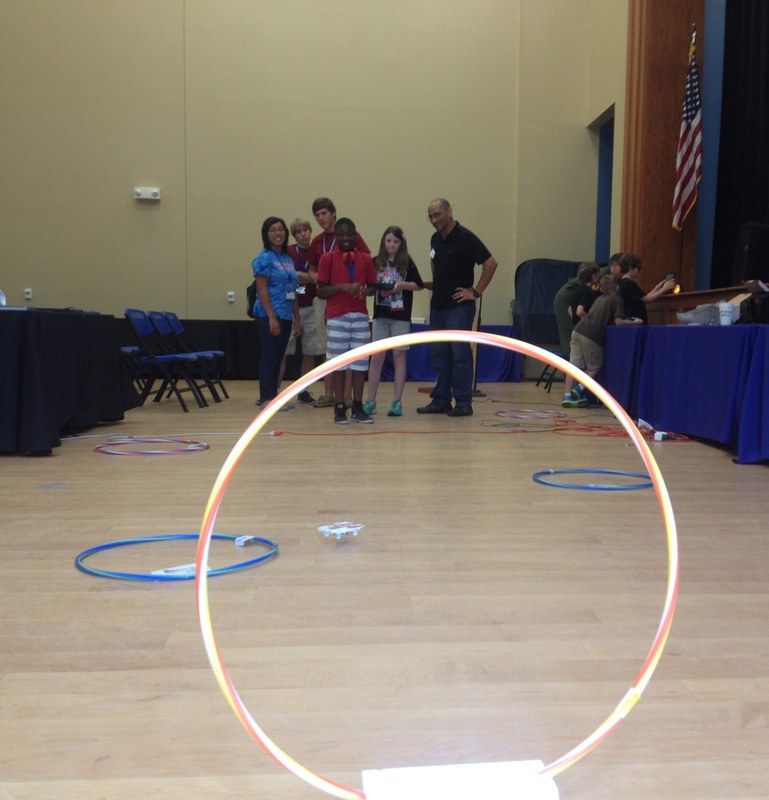 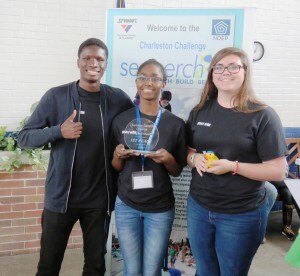 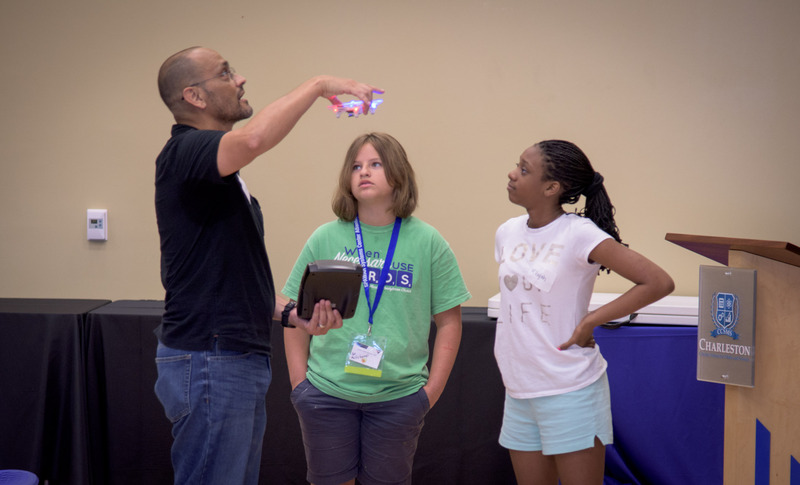 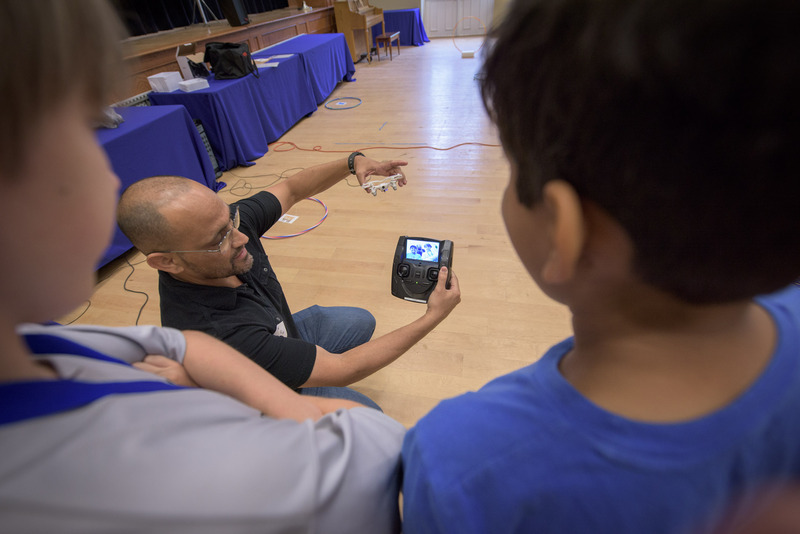 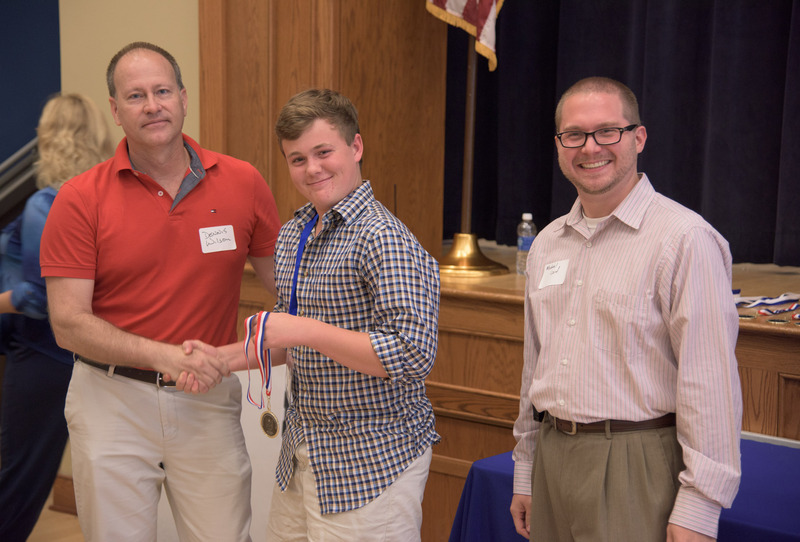 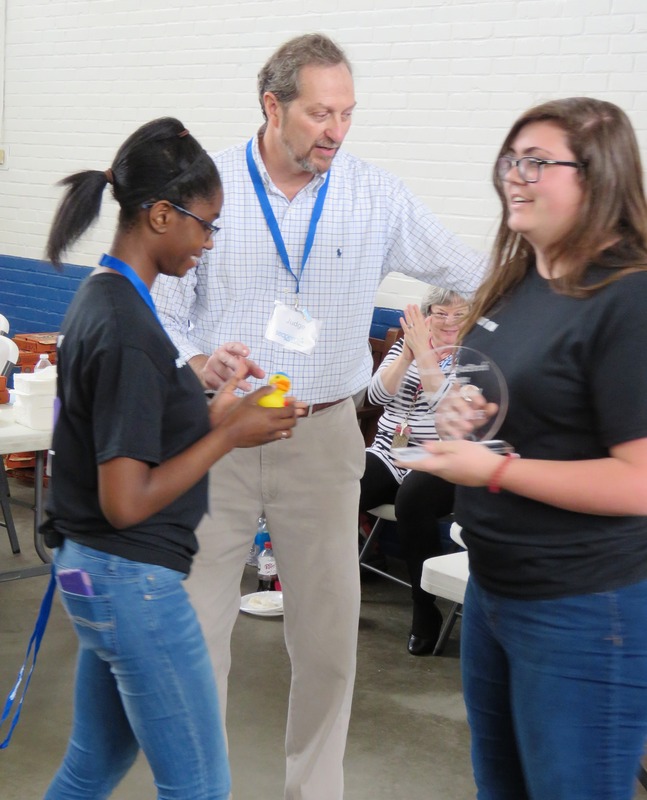 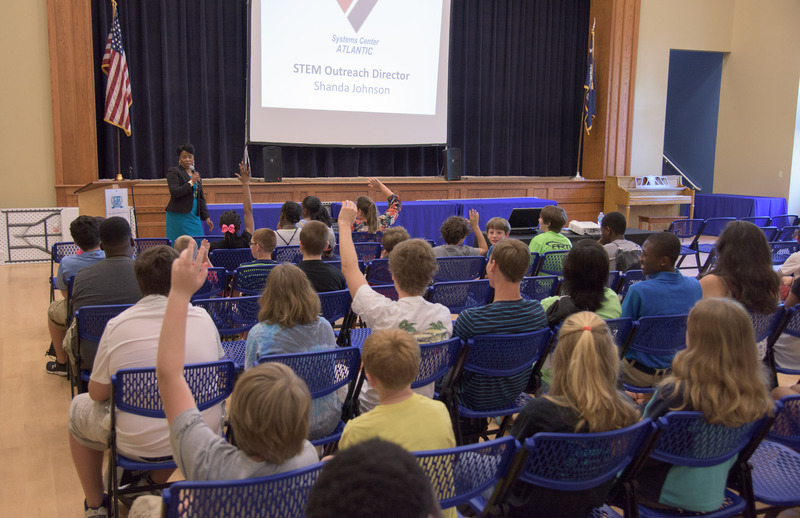 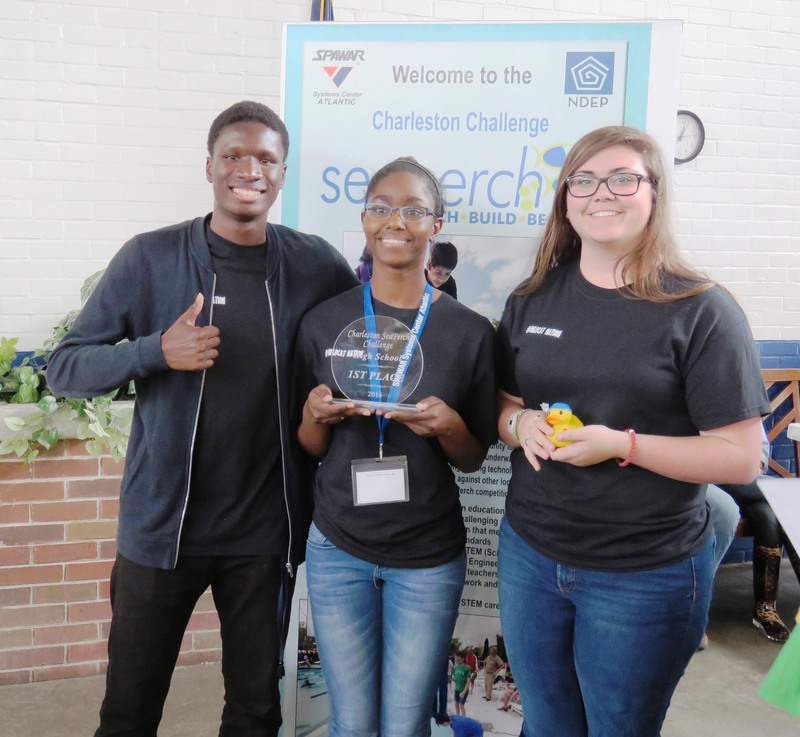 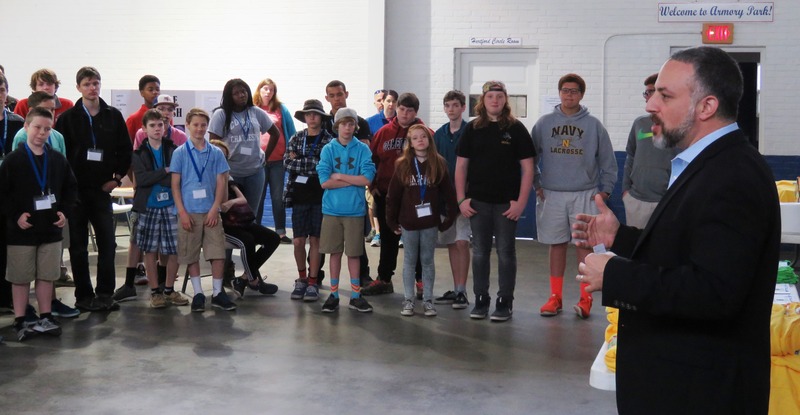 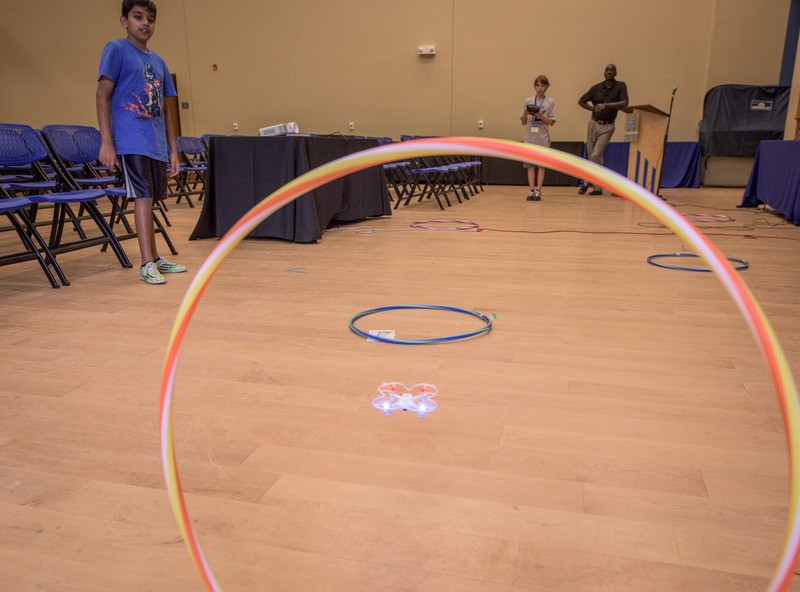 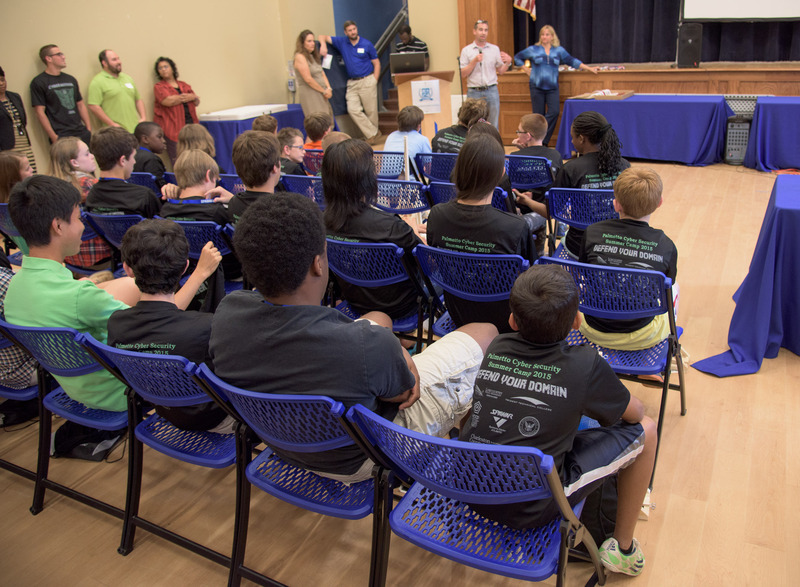 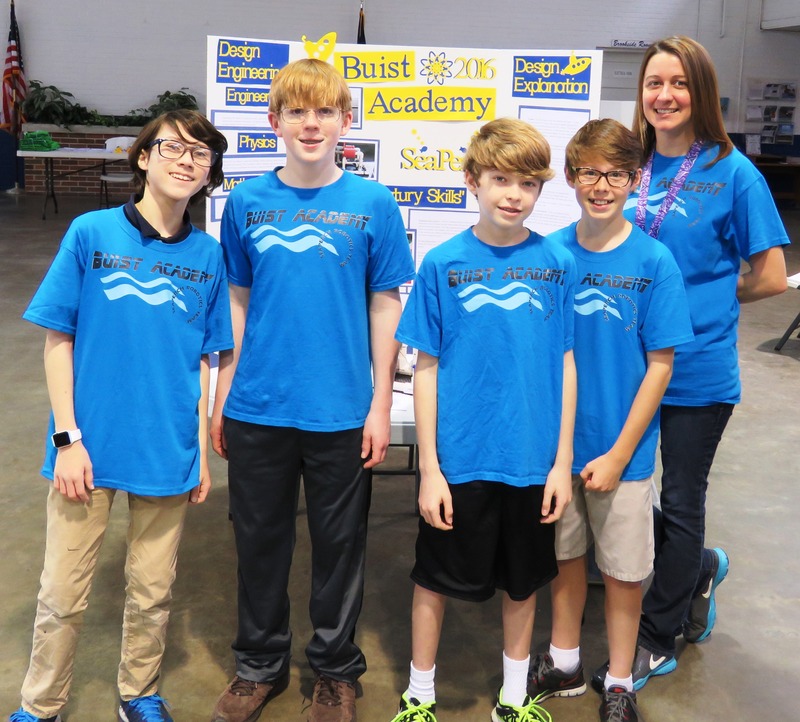 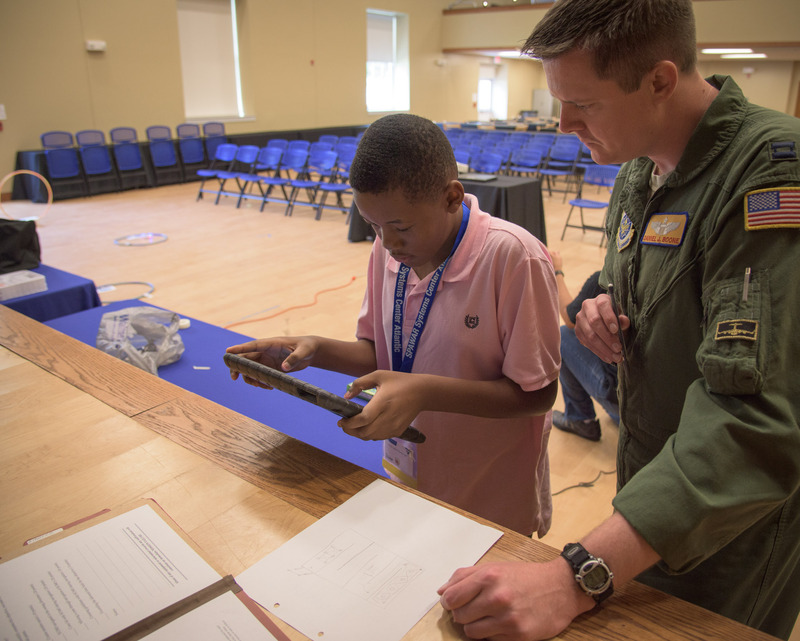 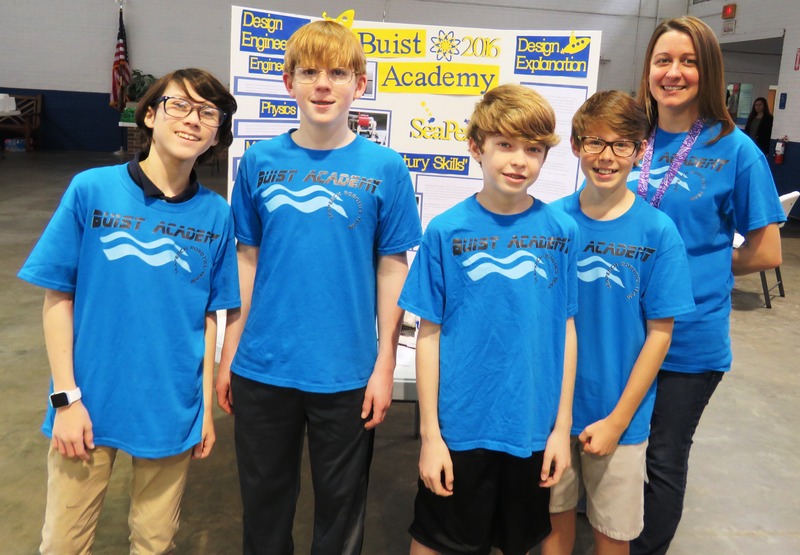 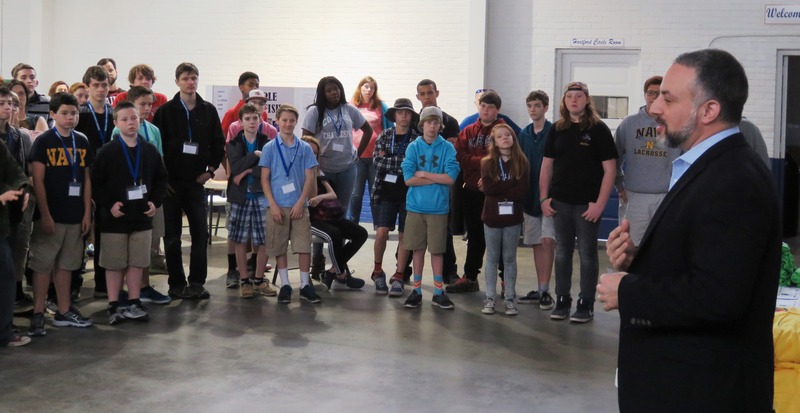 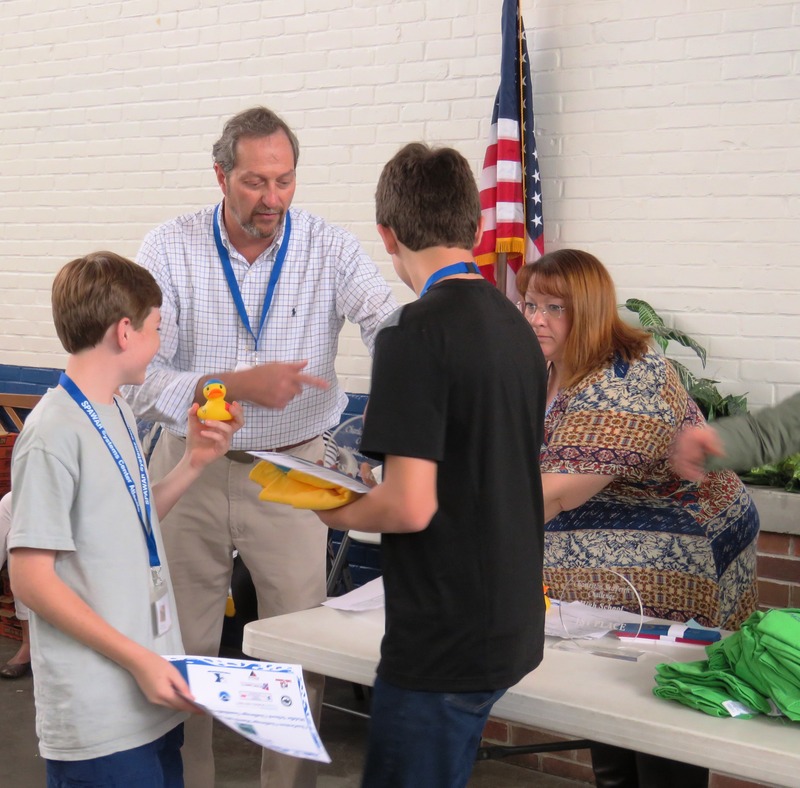 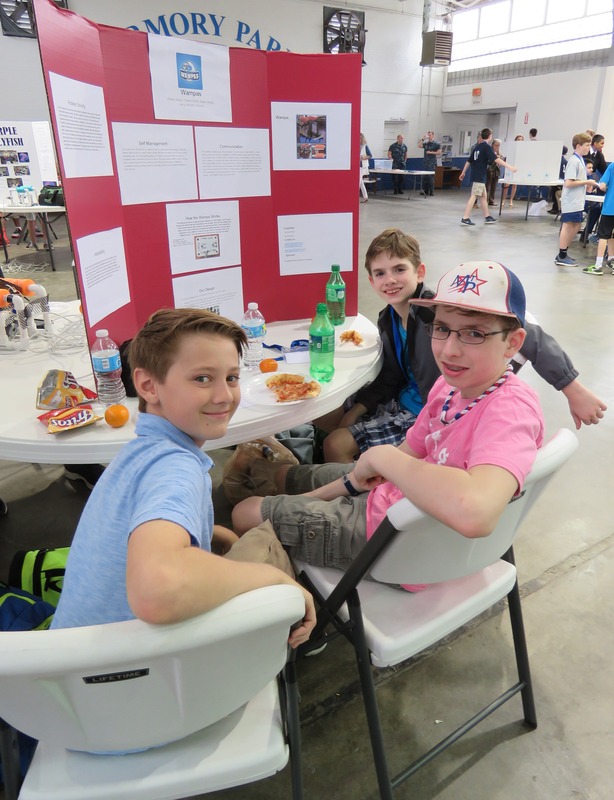 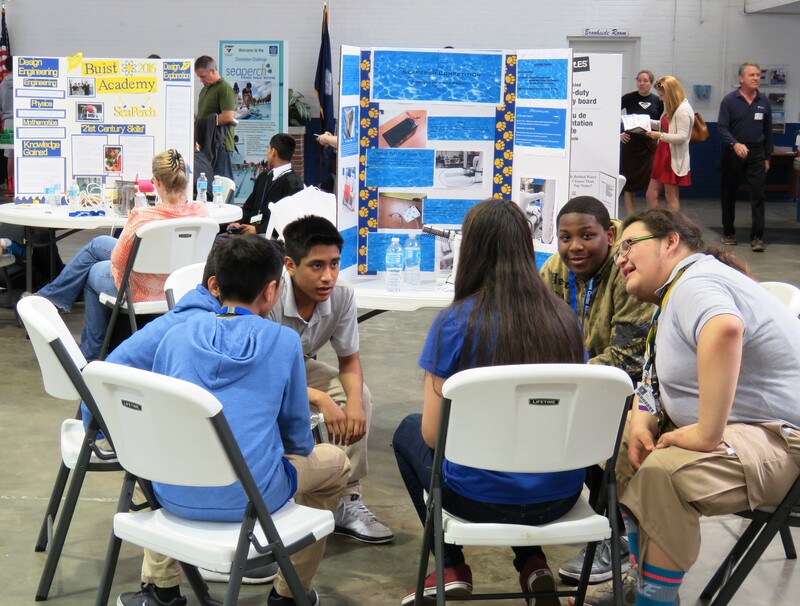 “We remain extremely thankful to Boeing SC for their support of STEM education at Jerry Zucker Middle School, and throughout Charleston County schools”, added Mr. Fast.